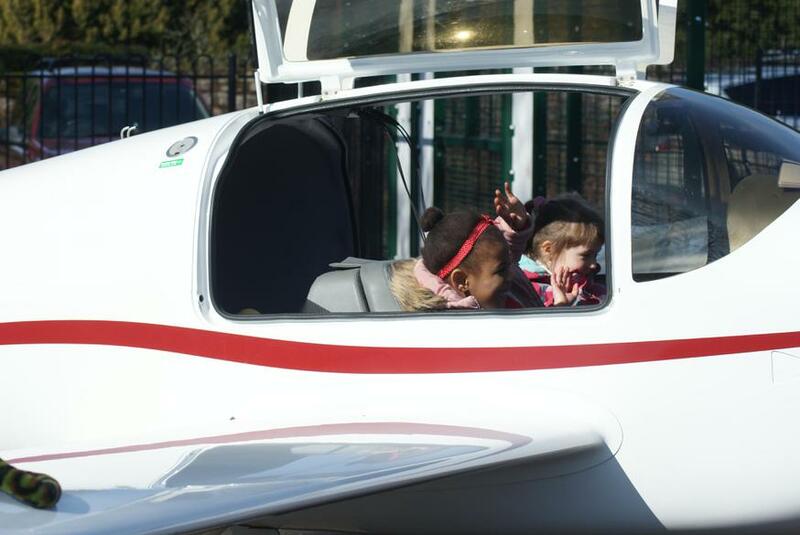 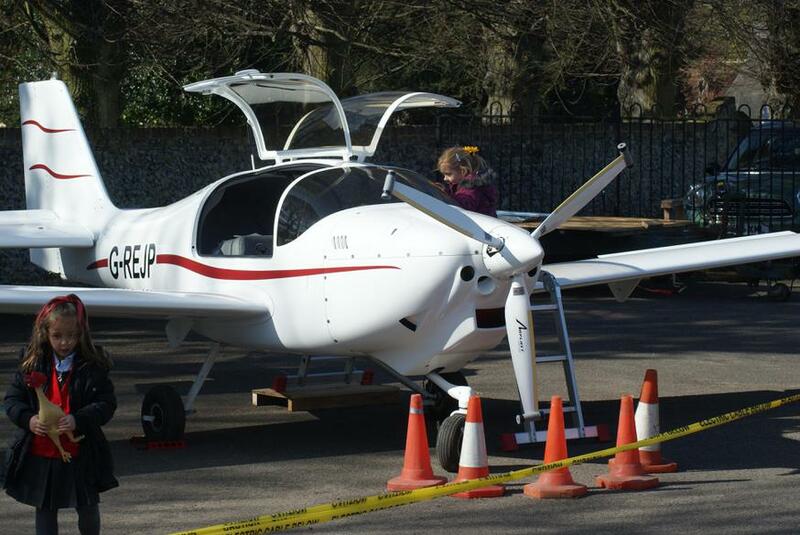 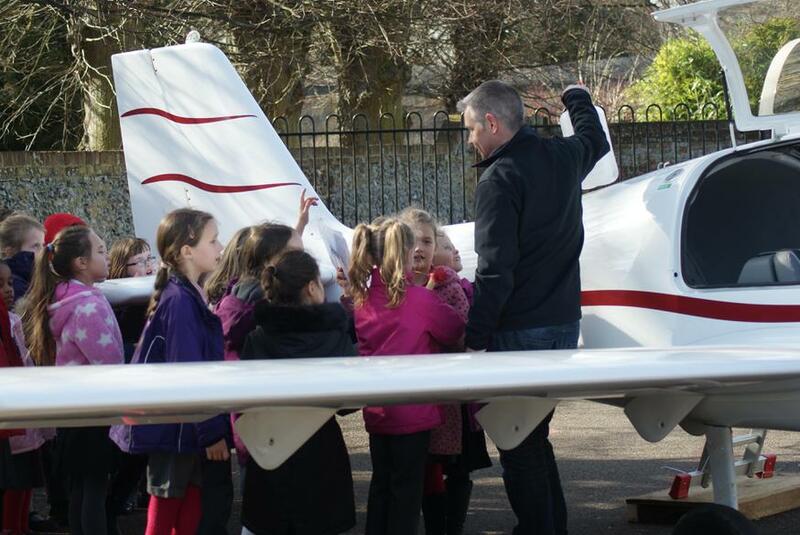 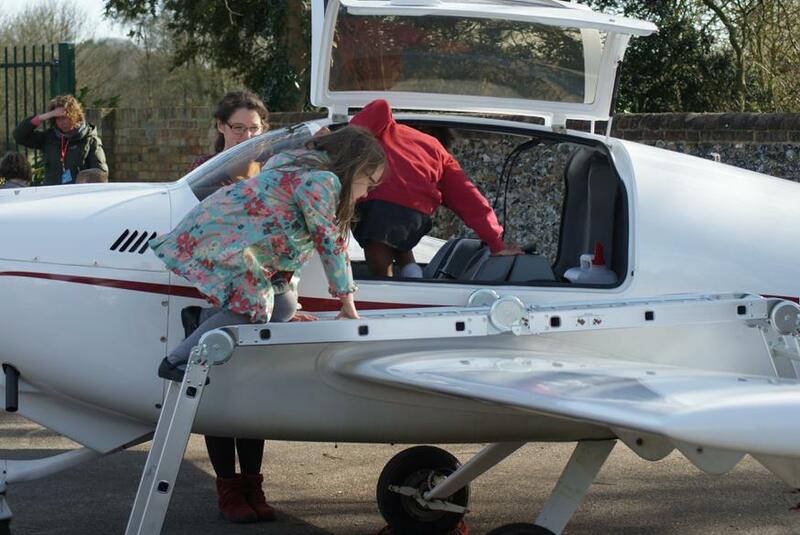 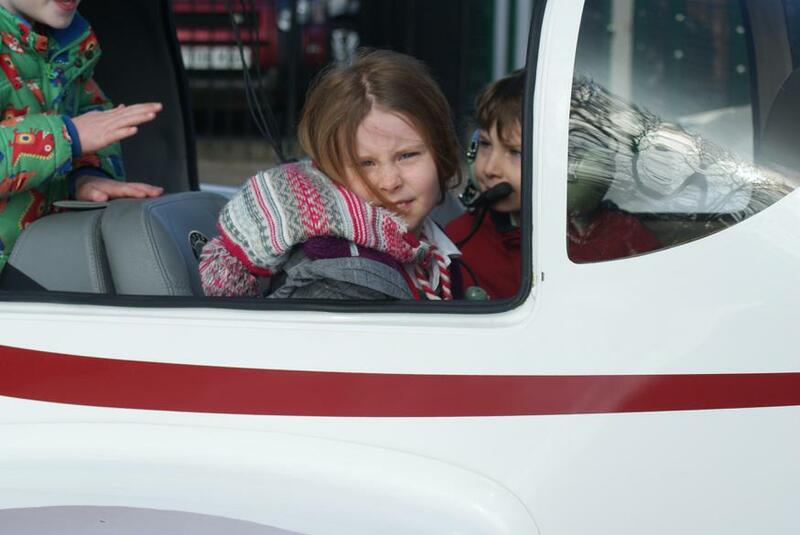 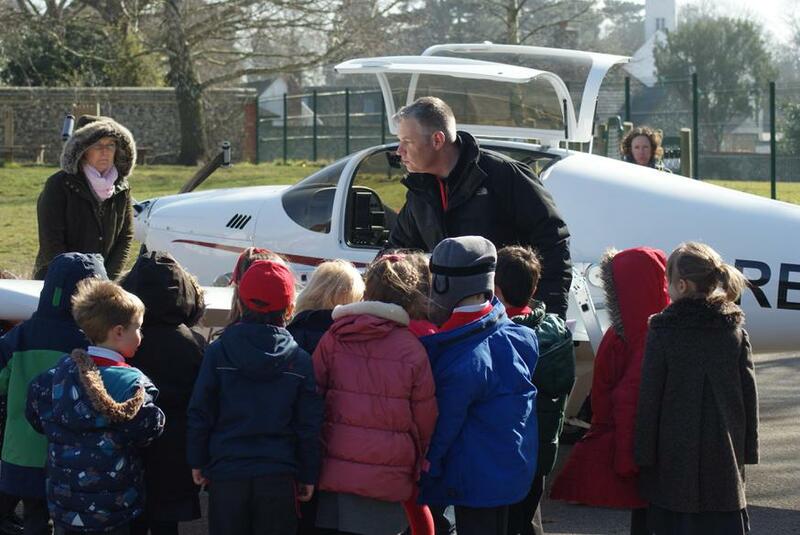 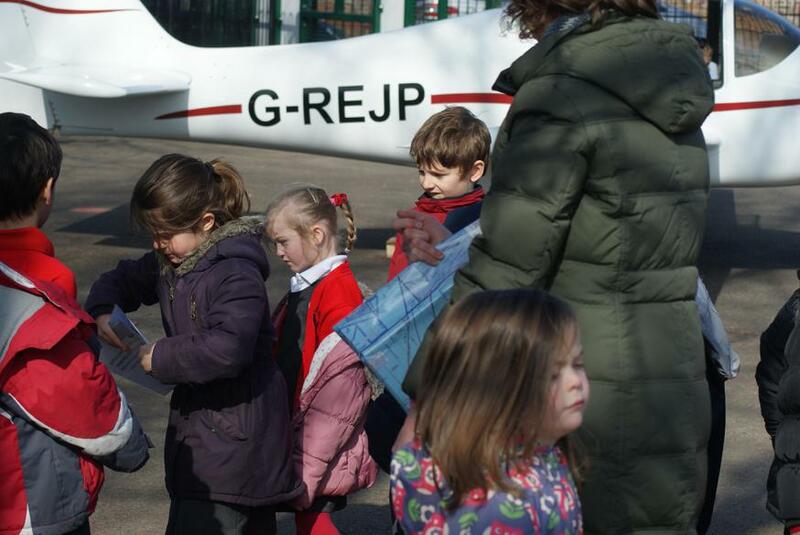 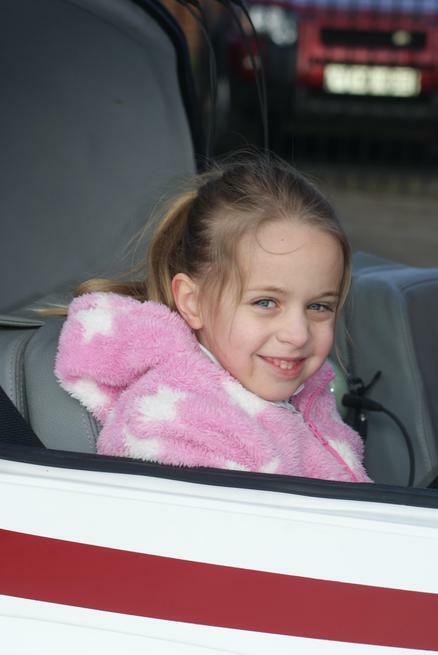 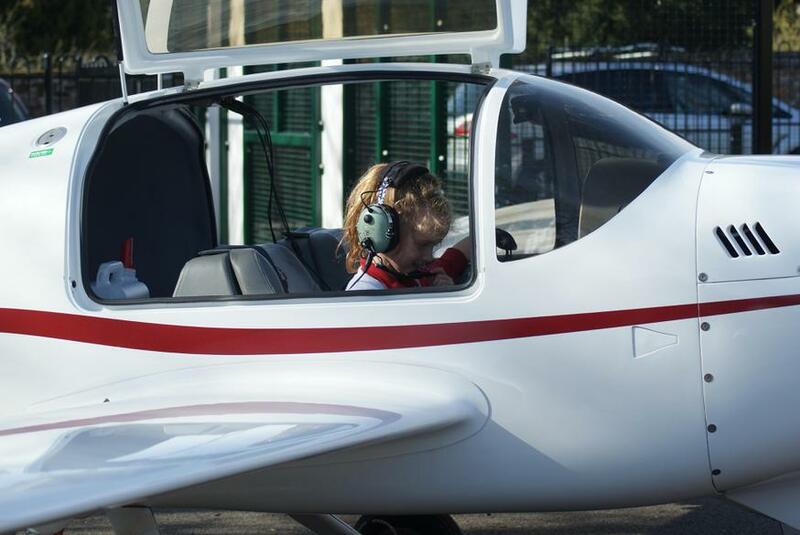 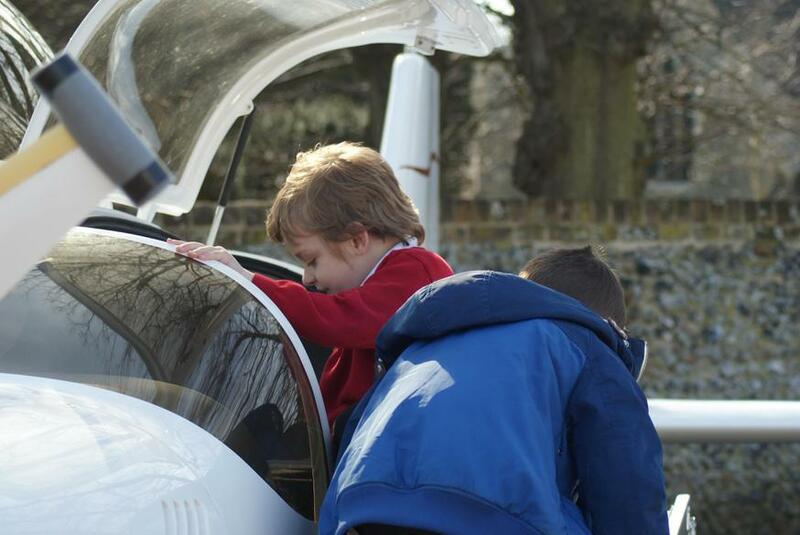 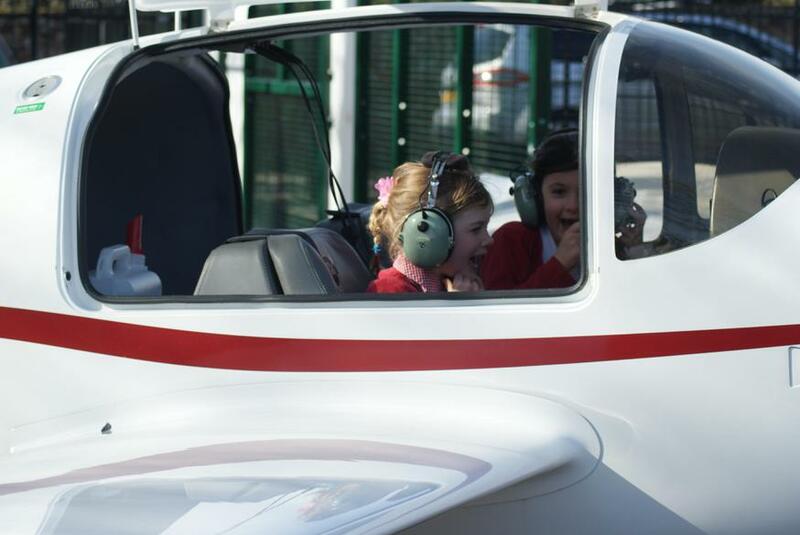 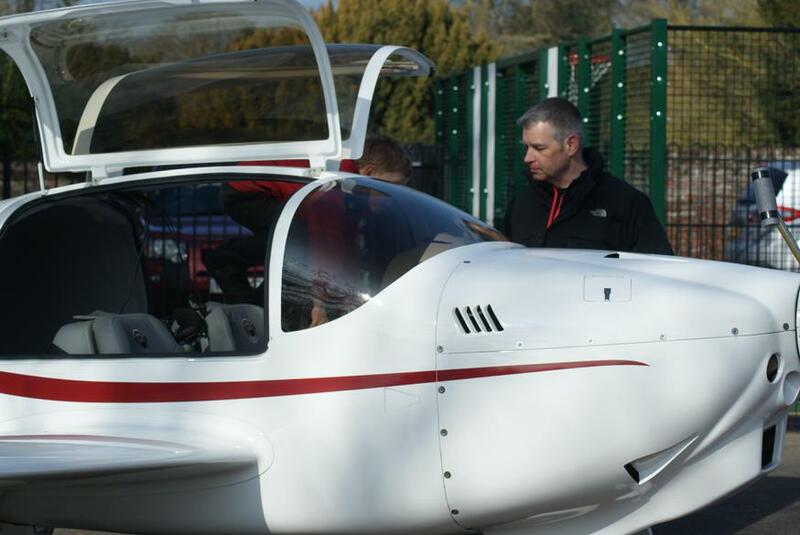 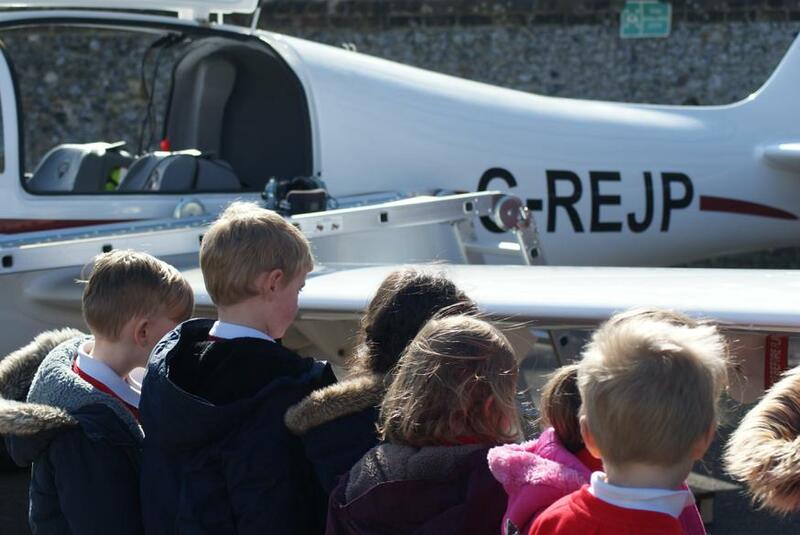 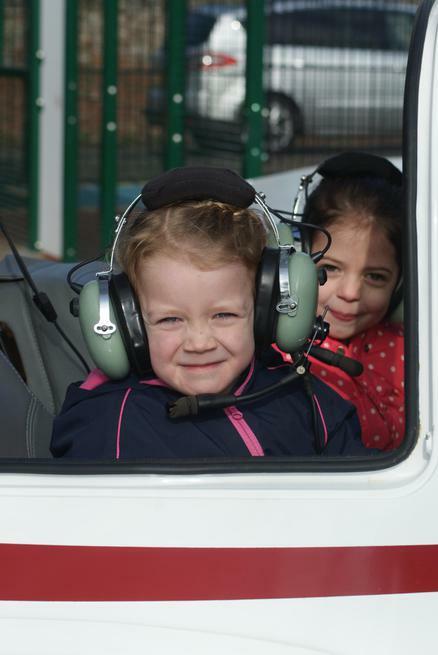 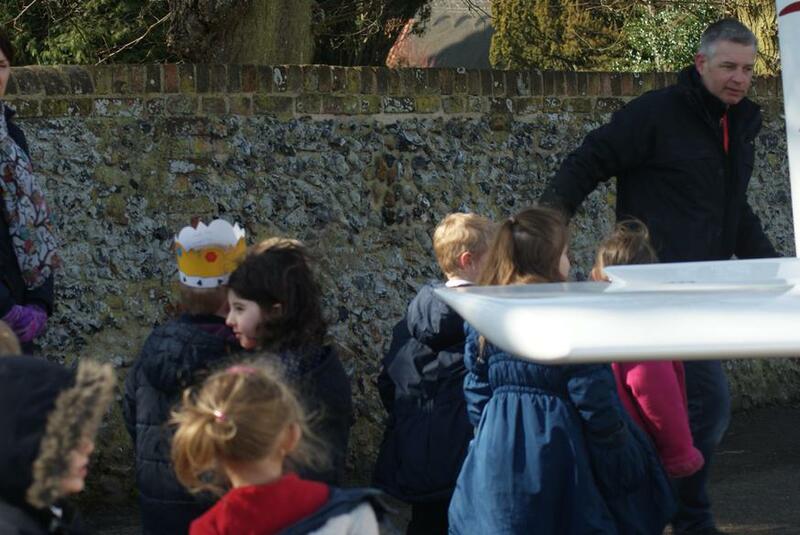 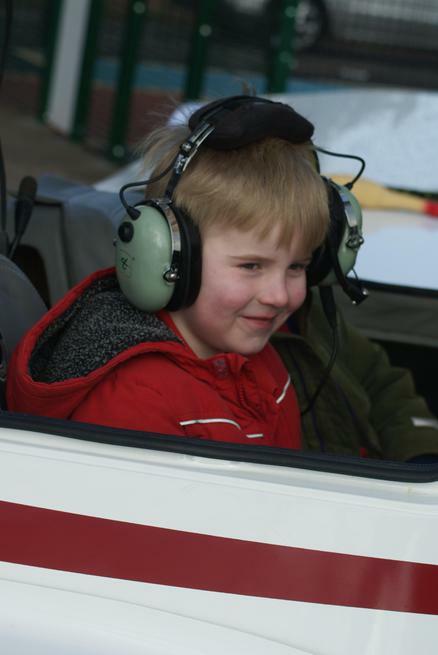 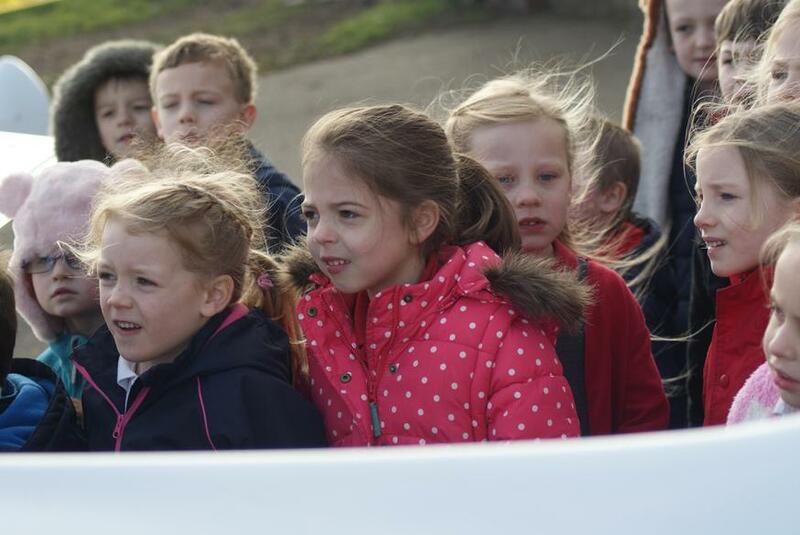 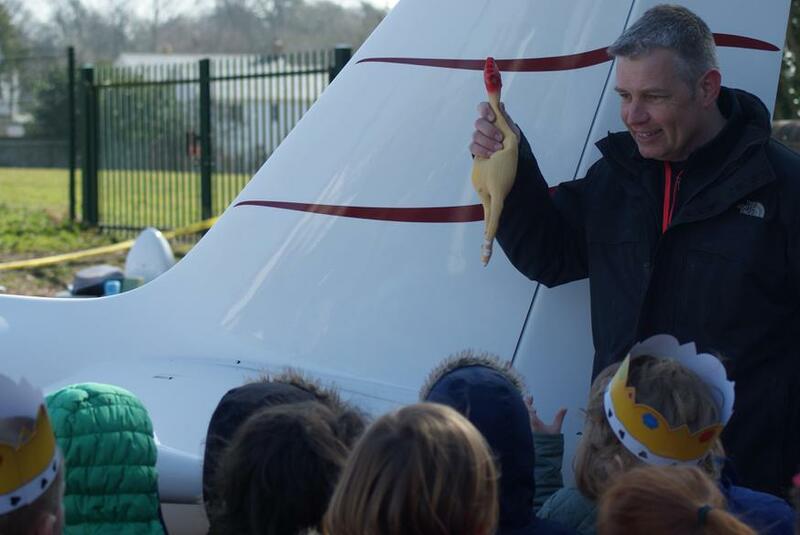 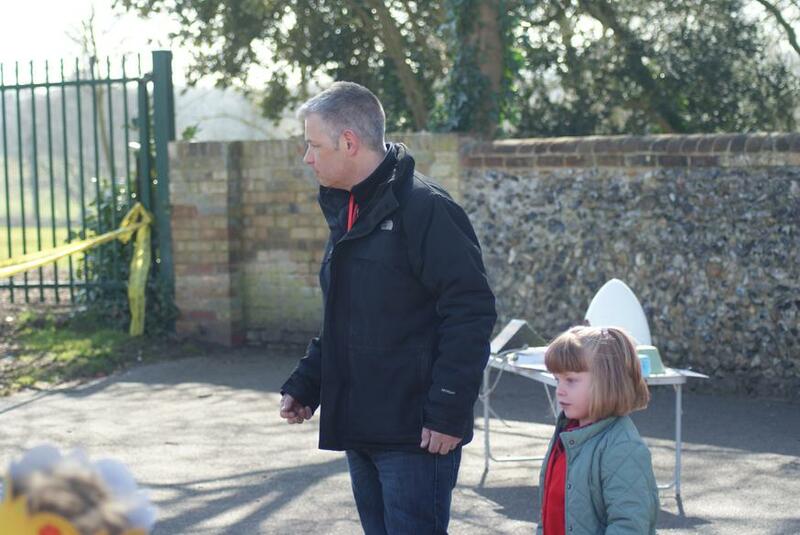 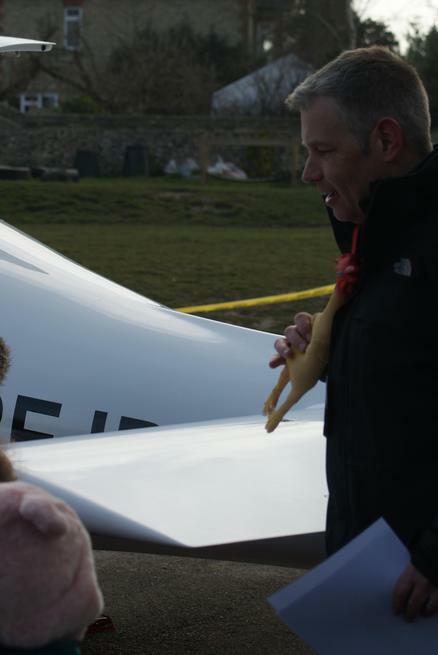 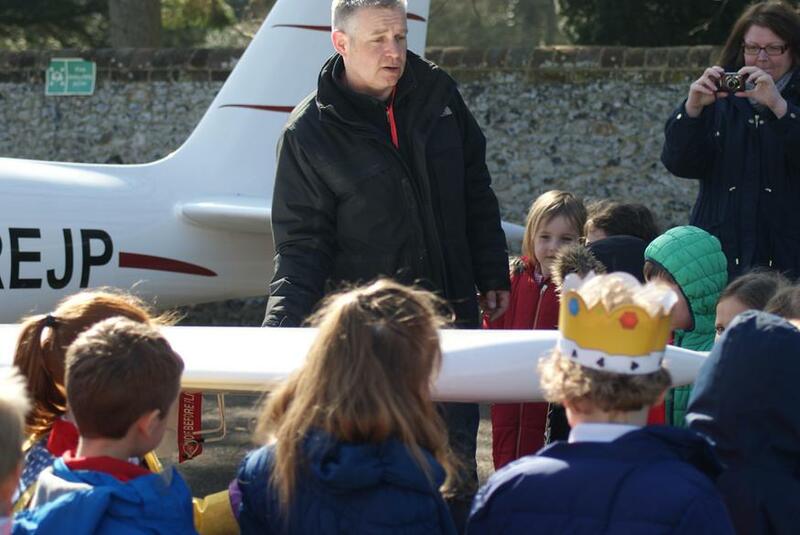 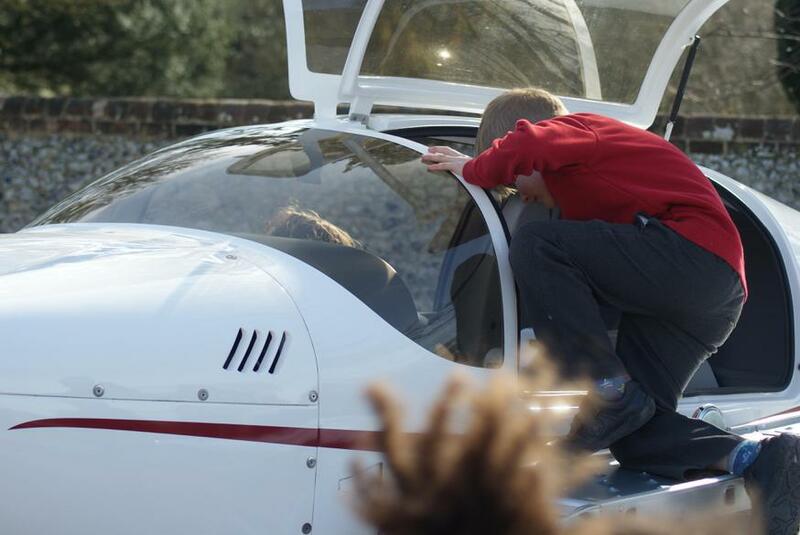 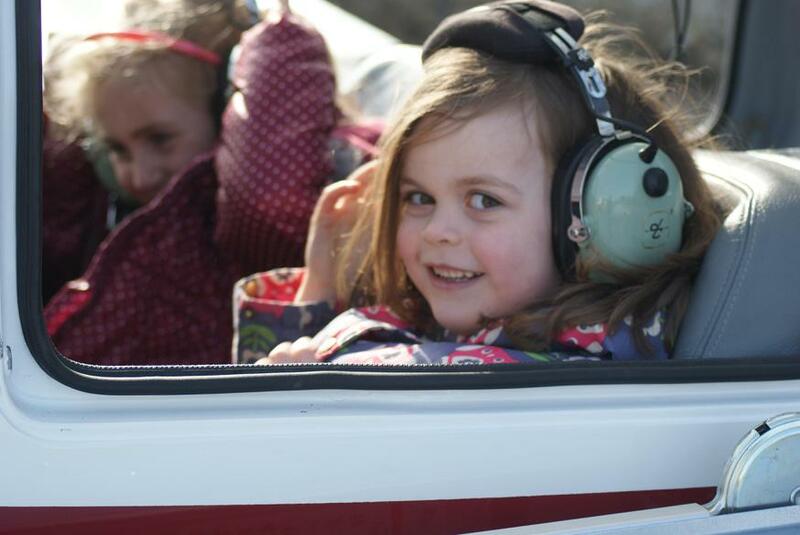 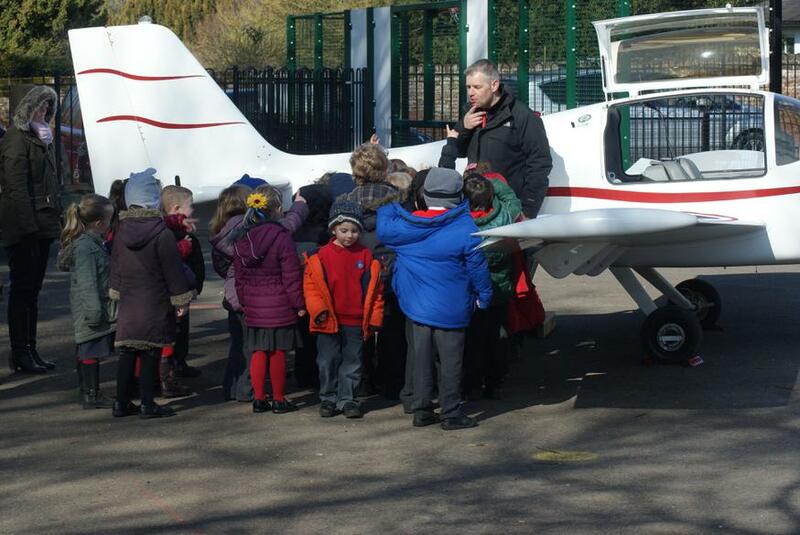 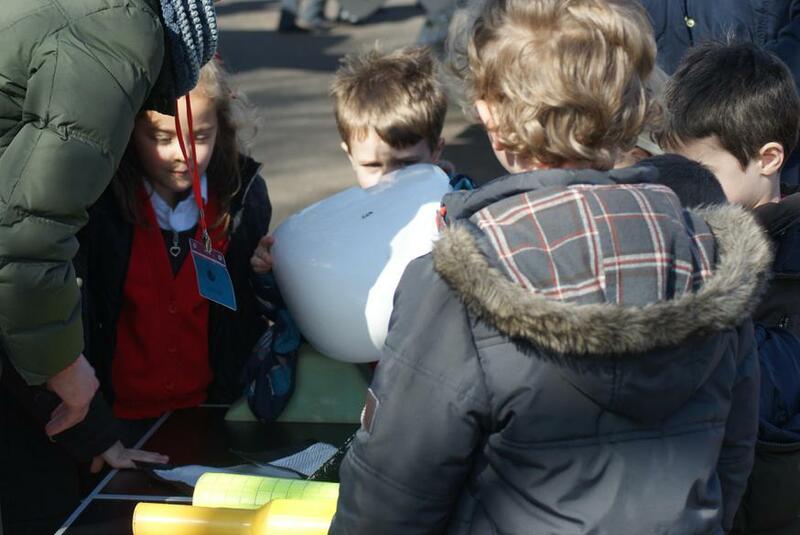 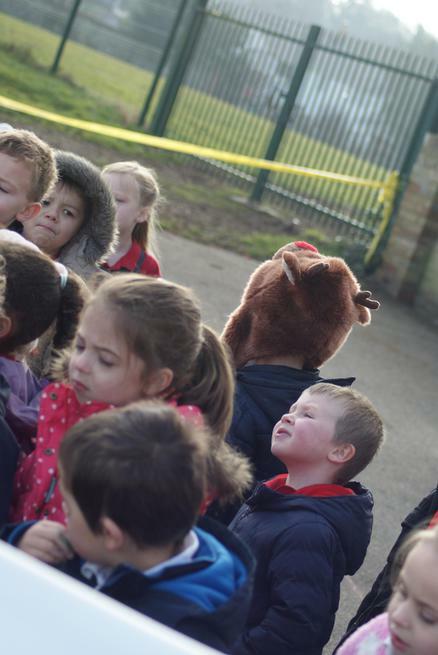 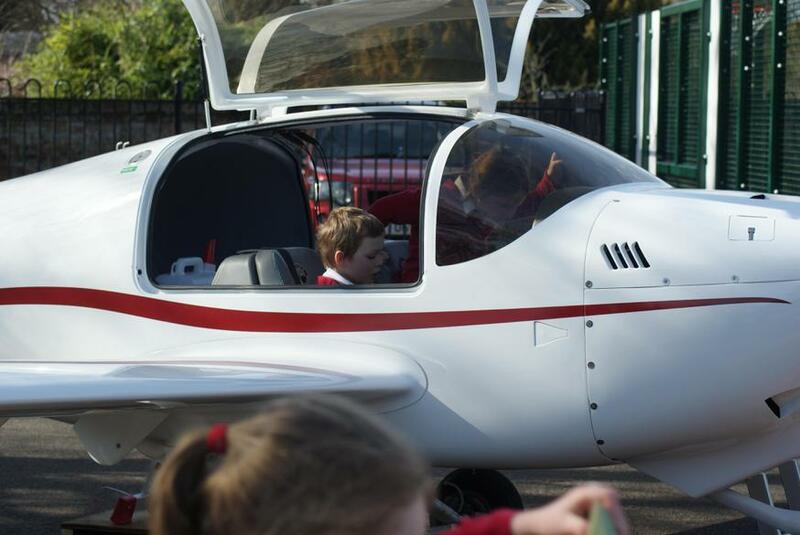 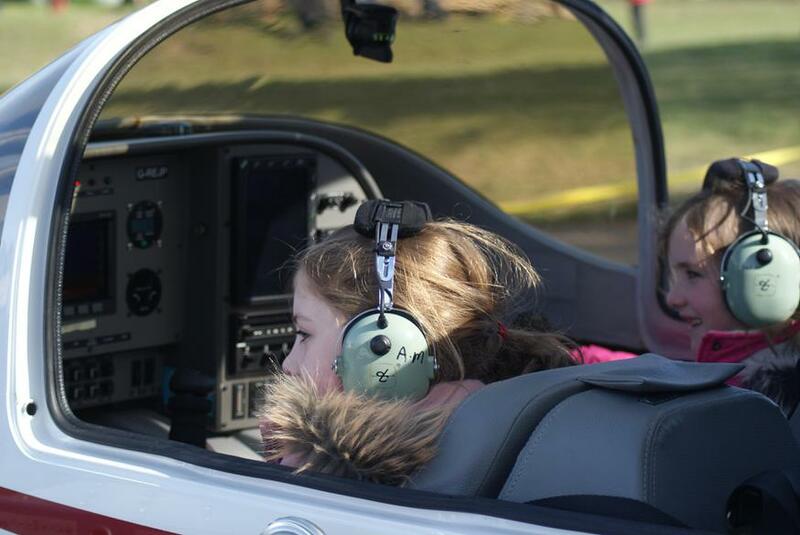 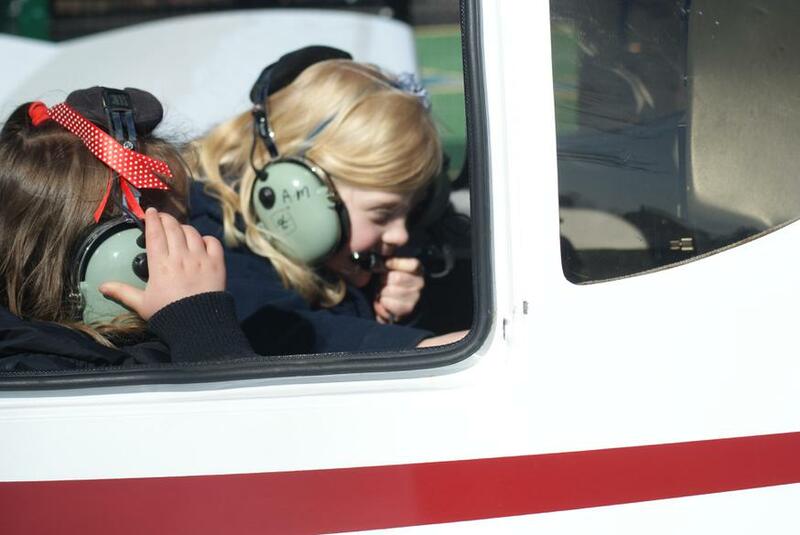 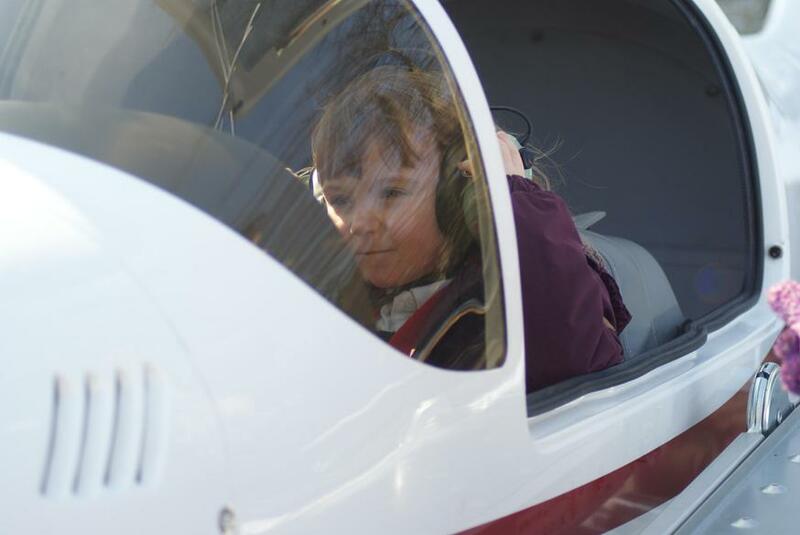 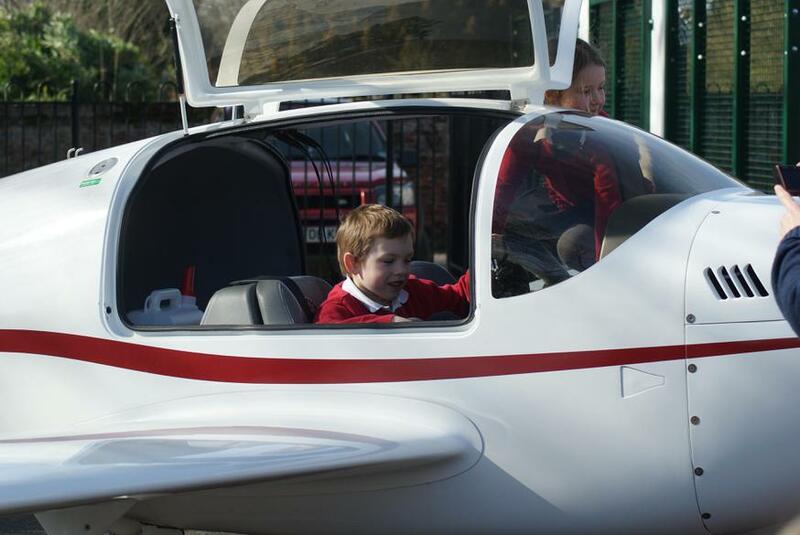 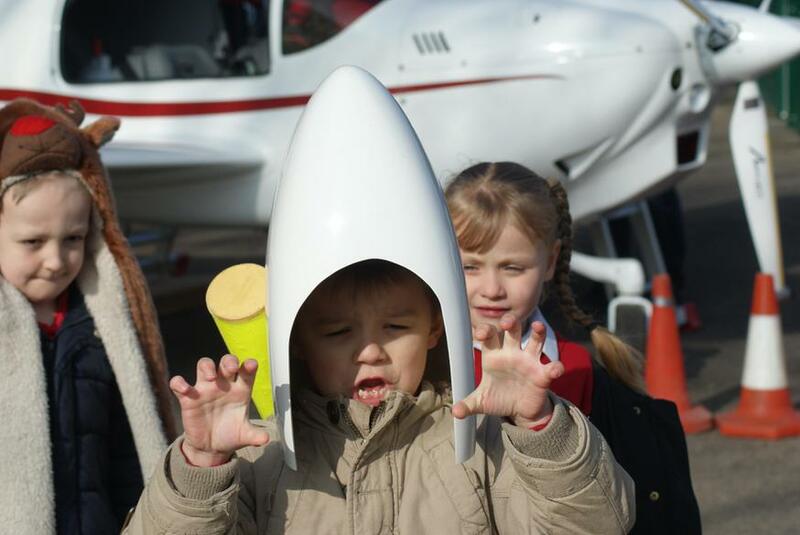 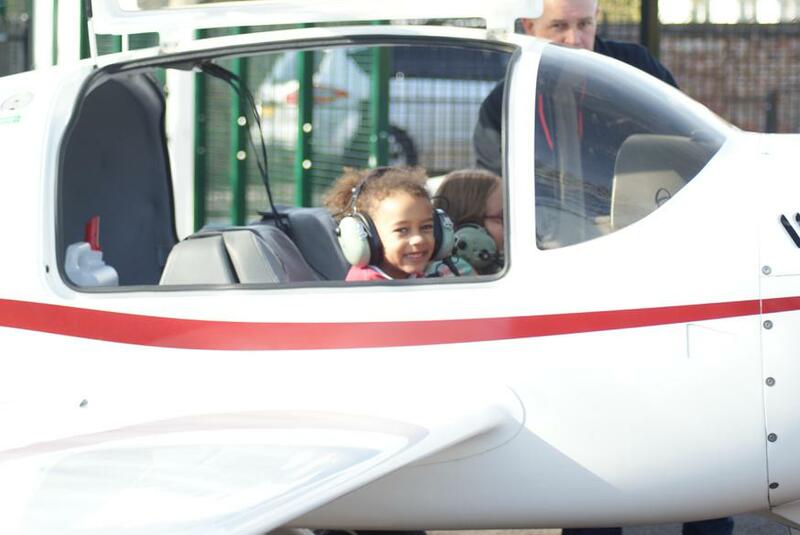 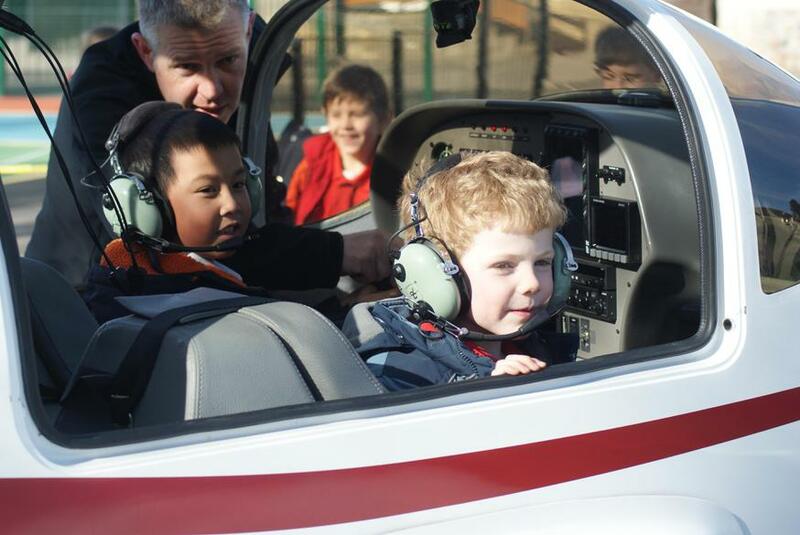 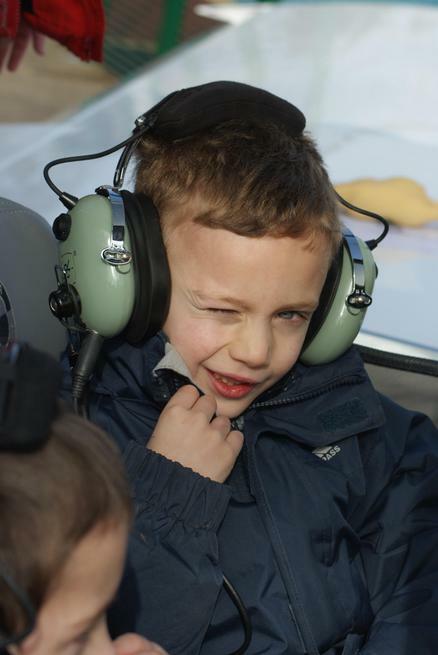 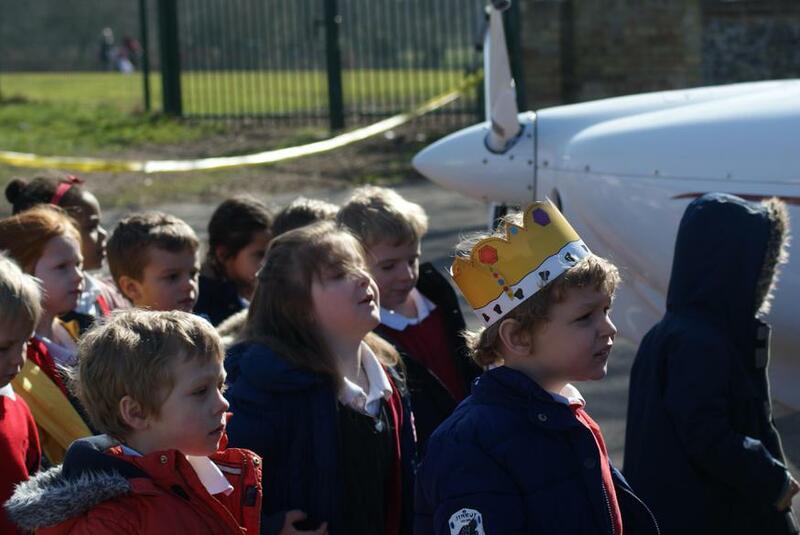 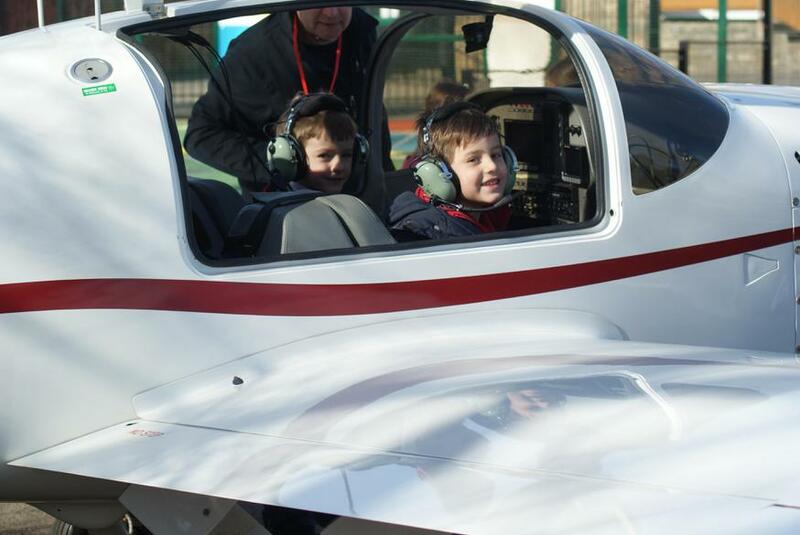 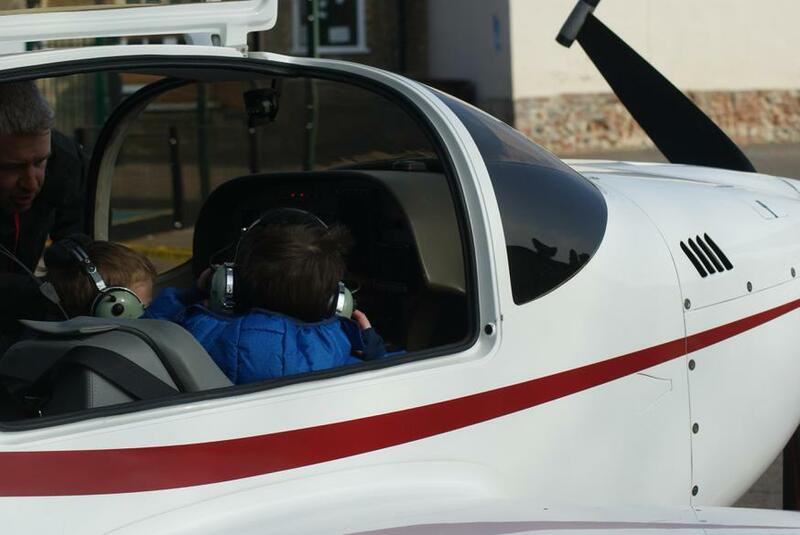 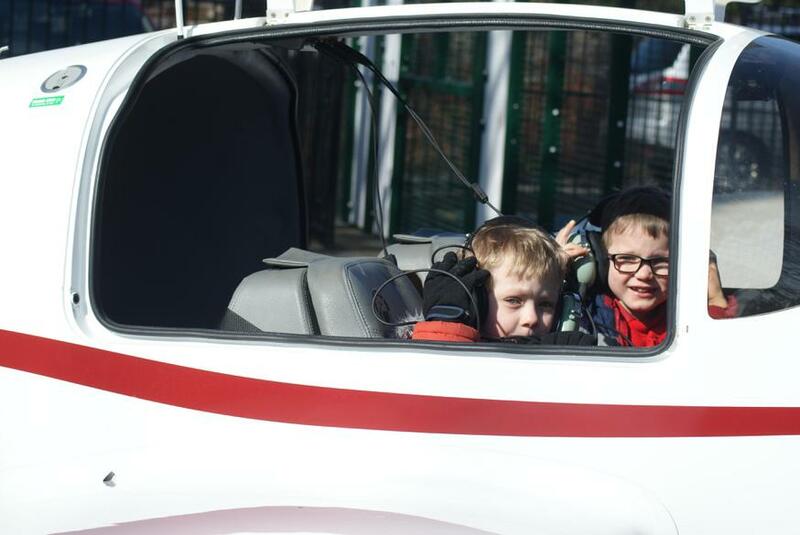 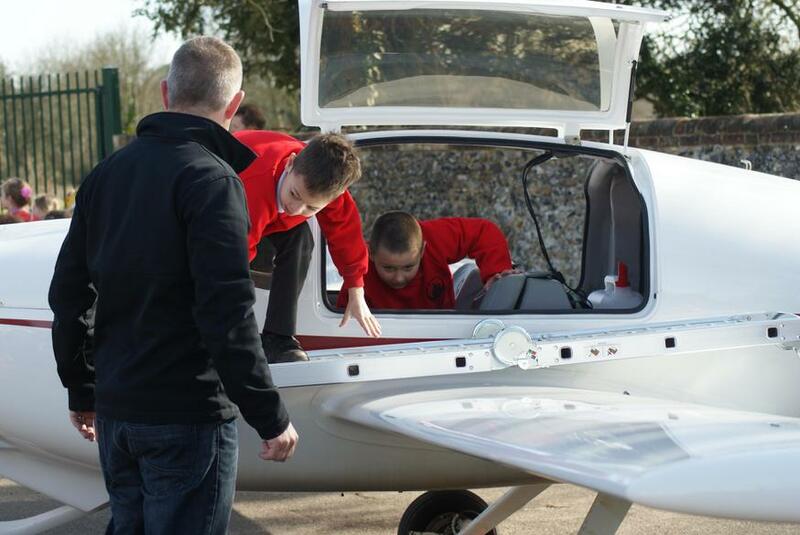 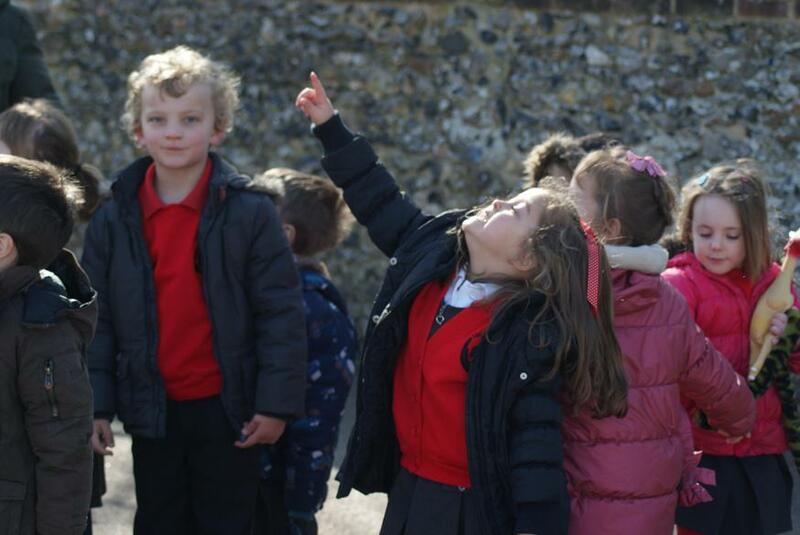 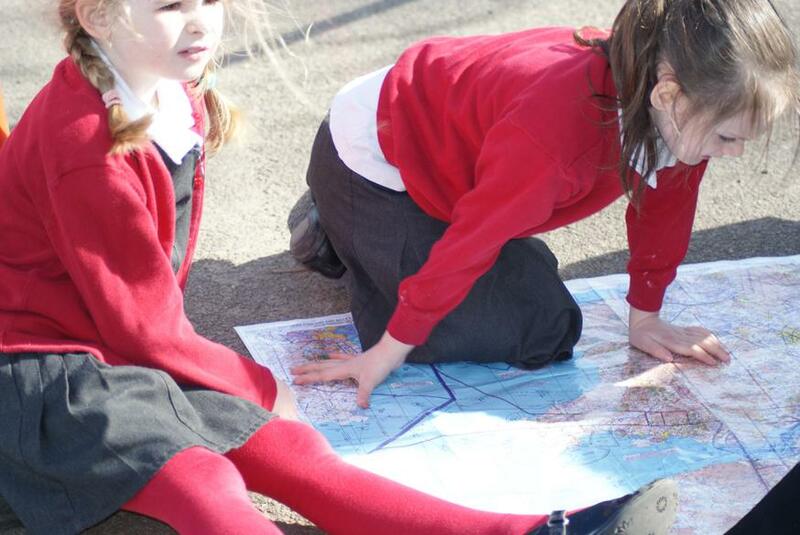 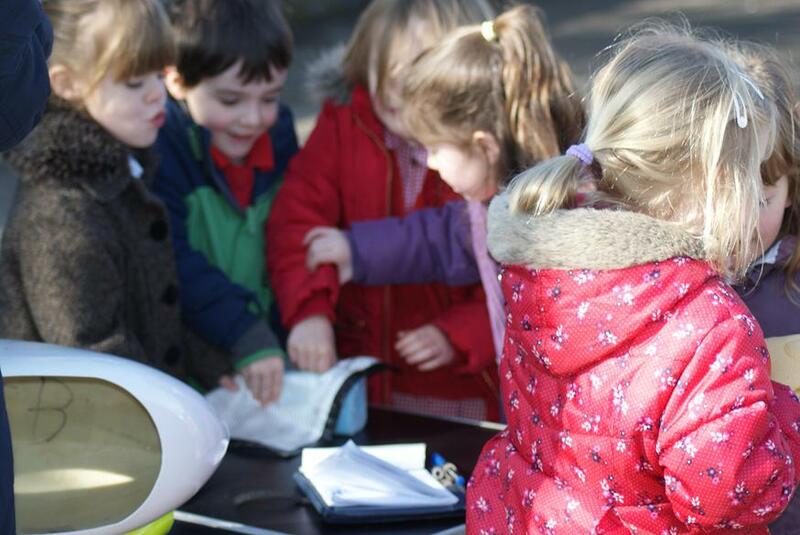 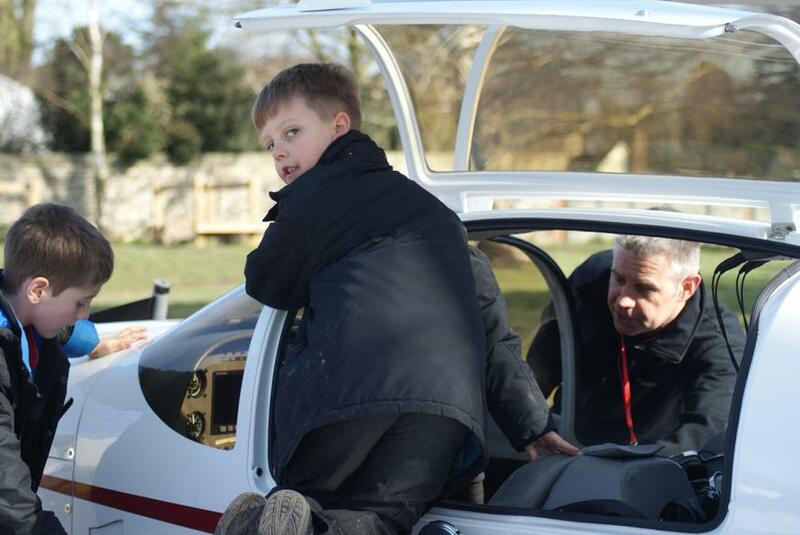 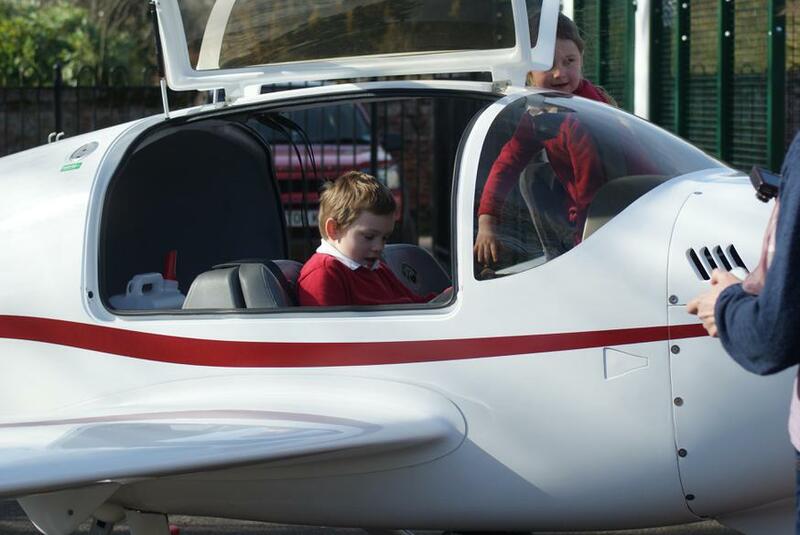 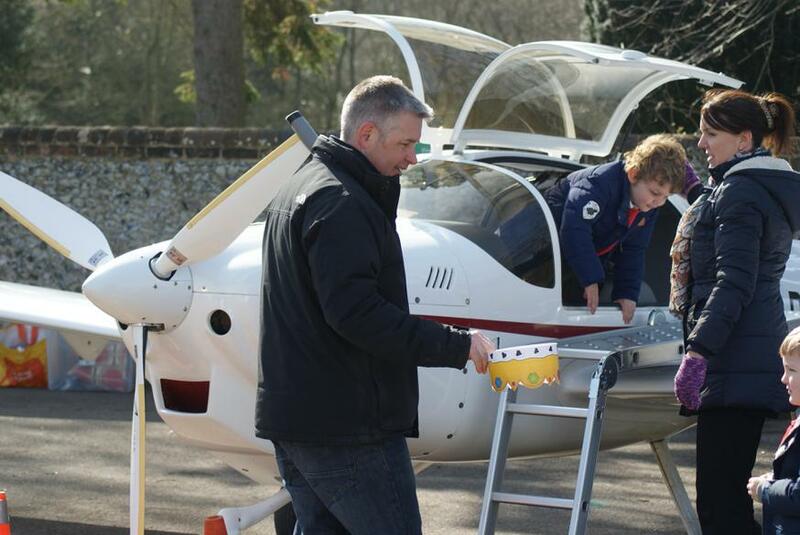 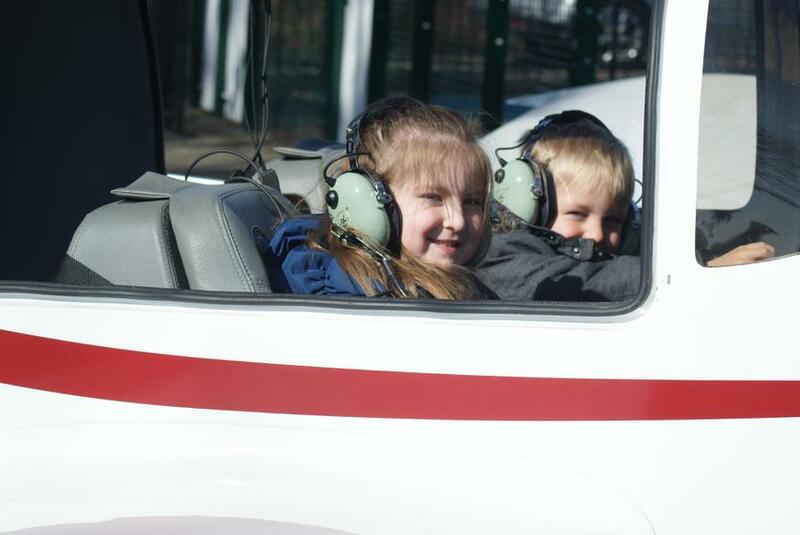 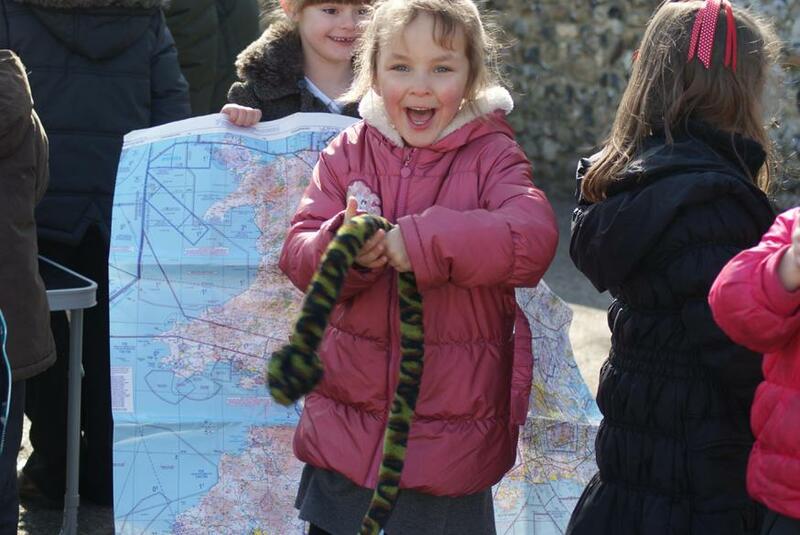 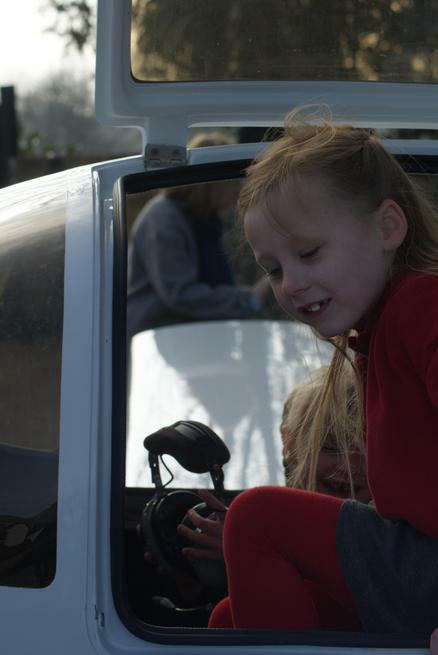 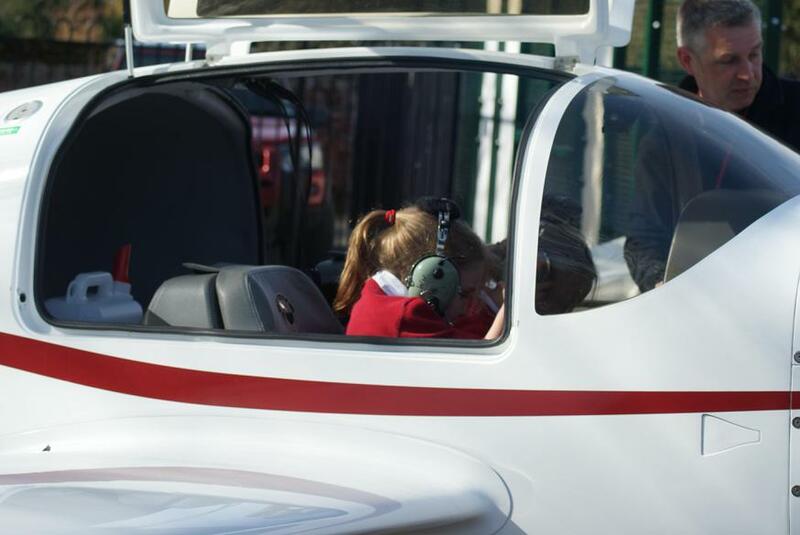 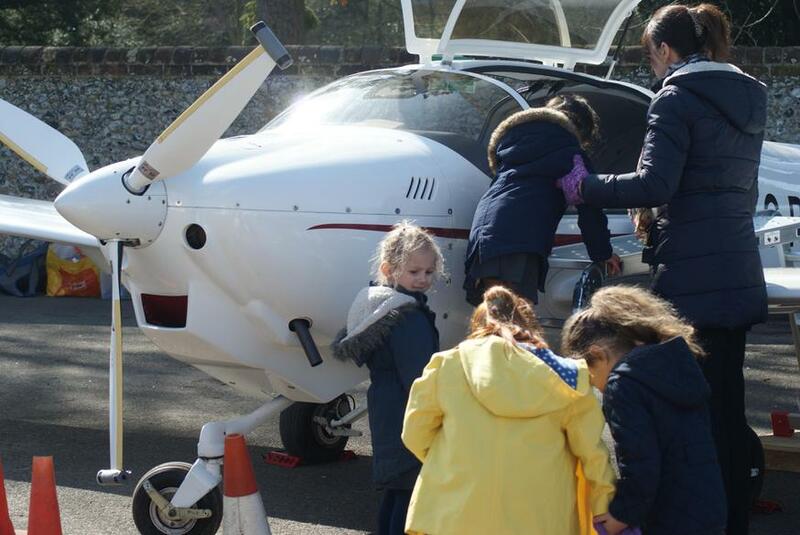 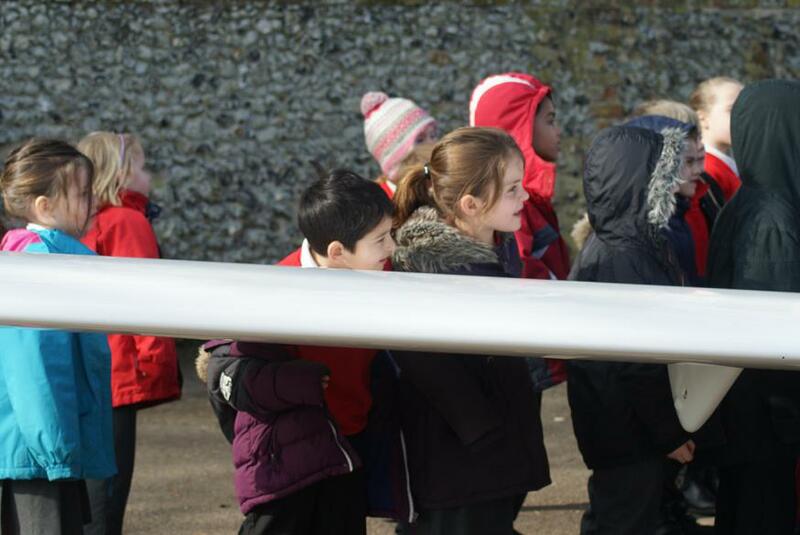 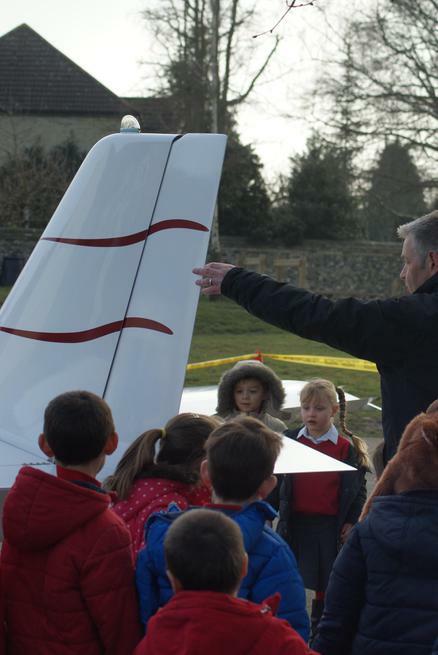 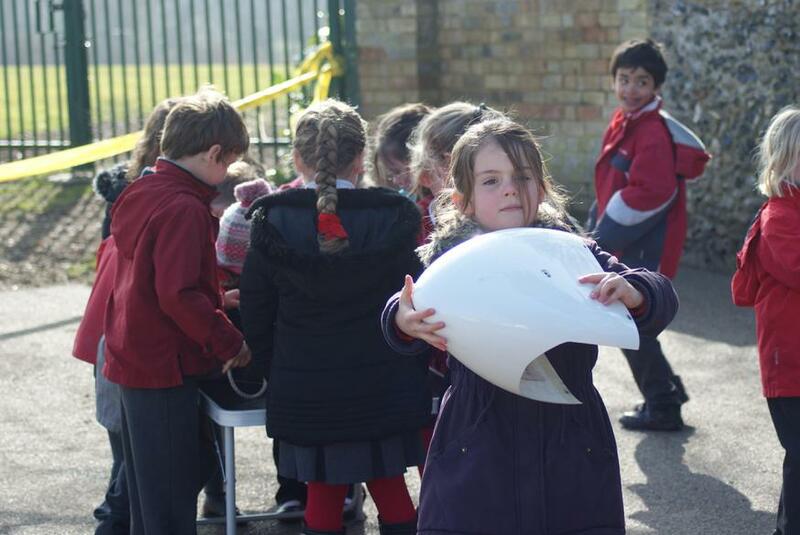 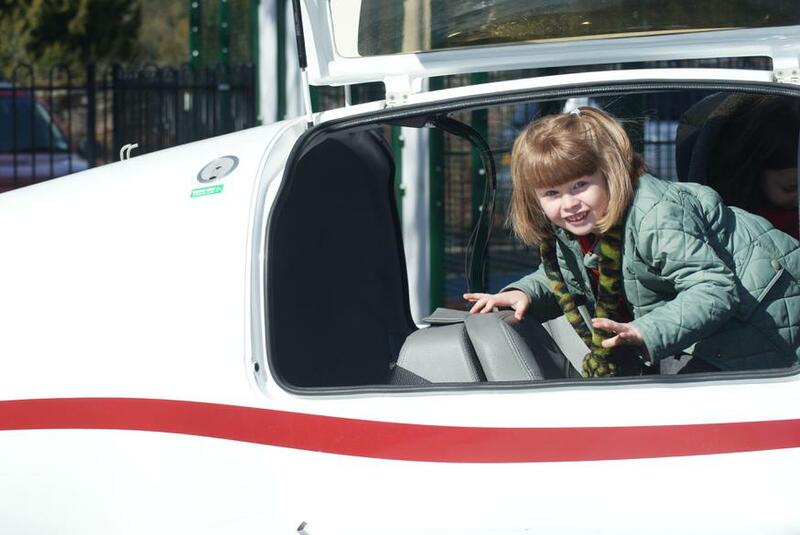 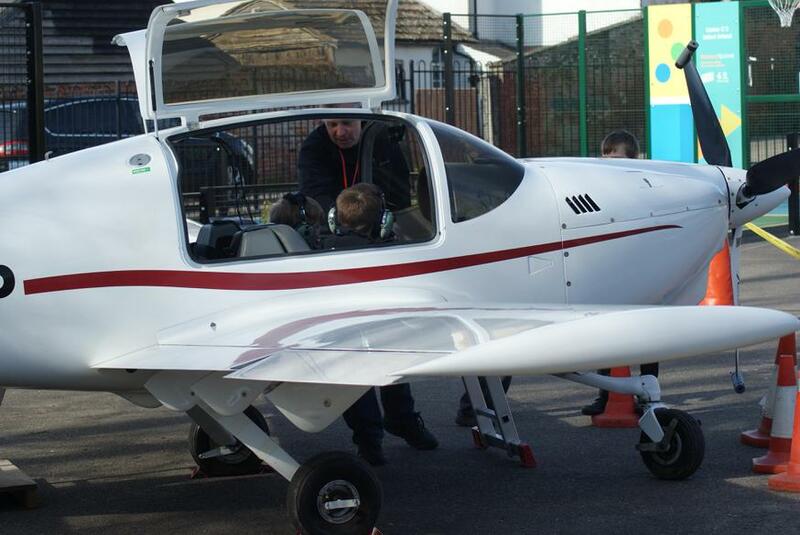 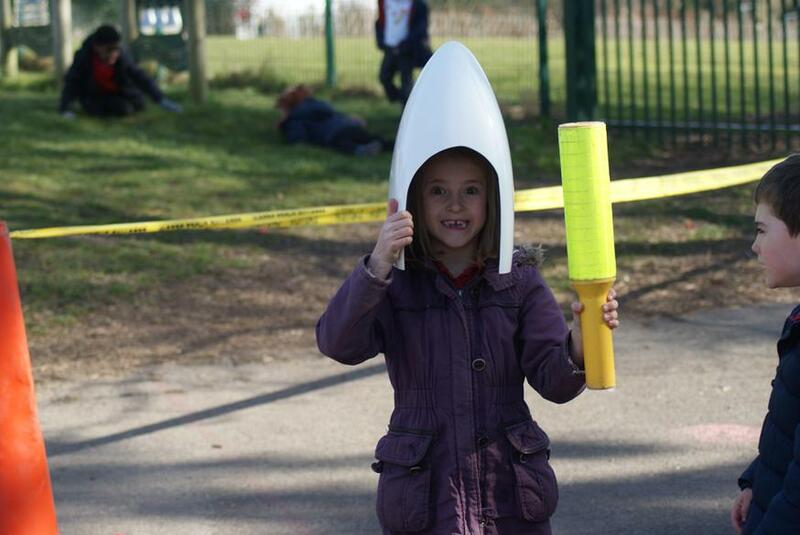 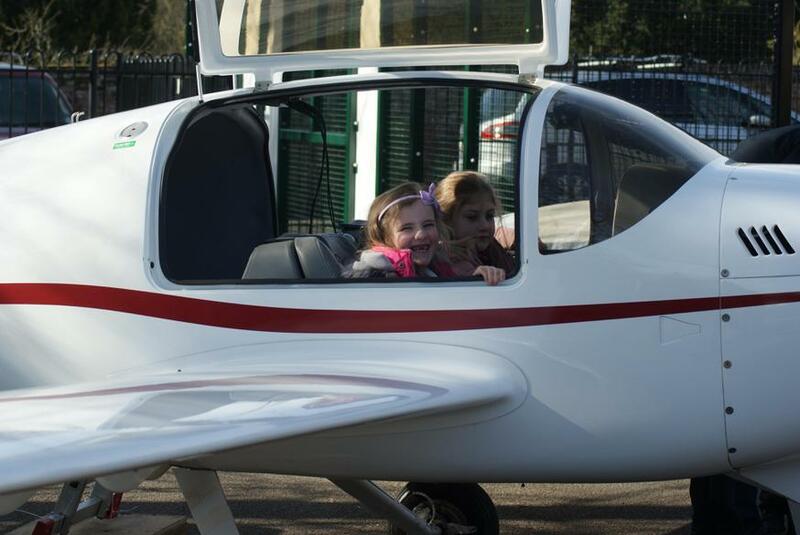 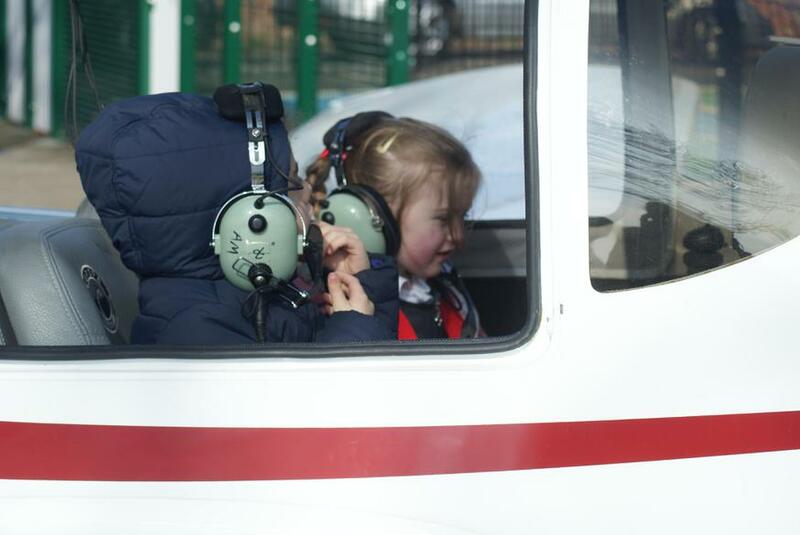 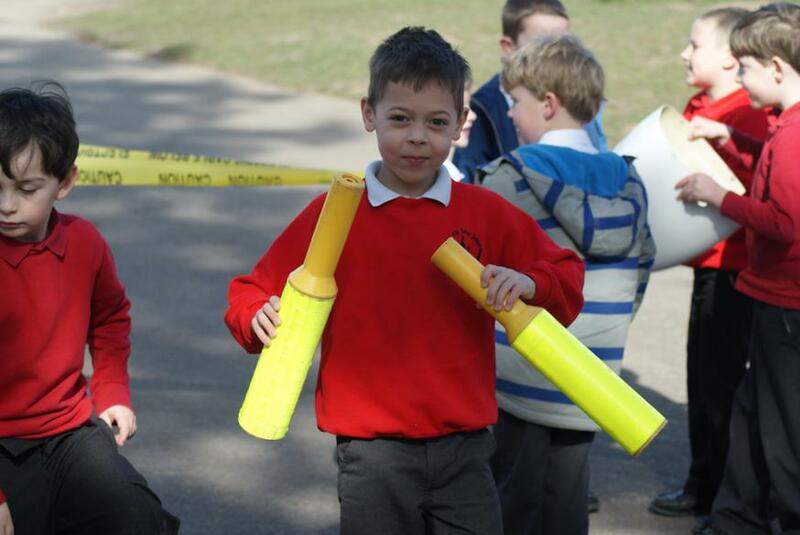 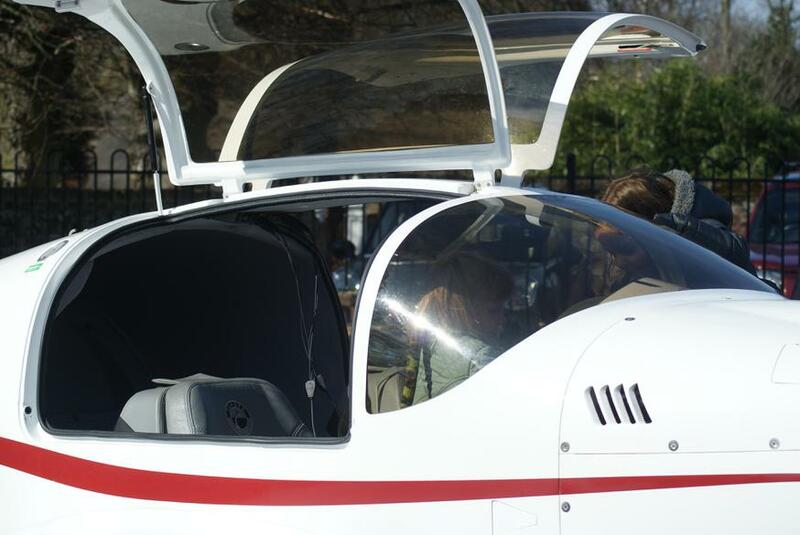 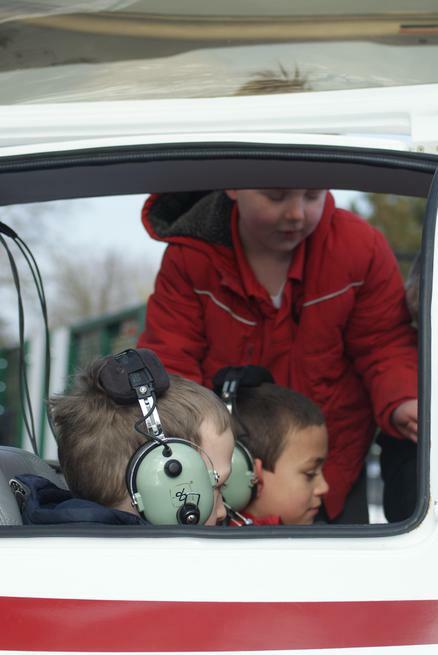 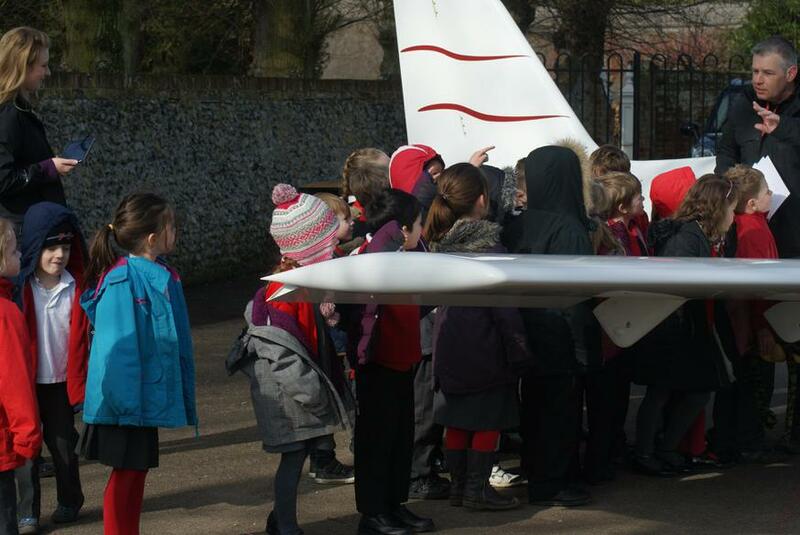 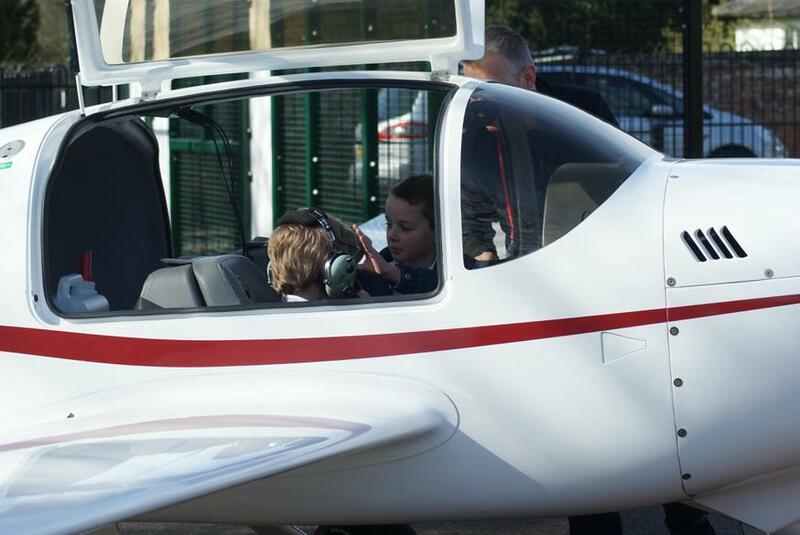 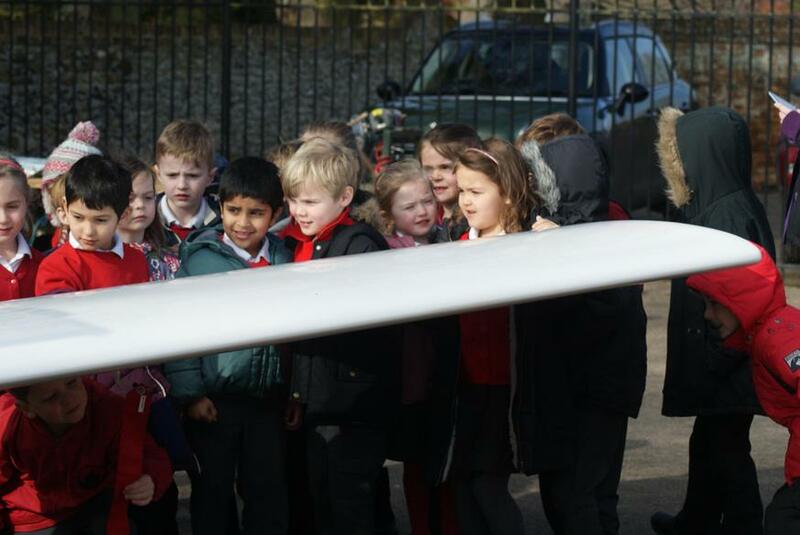 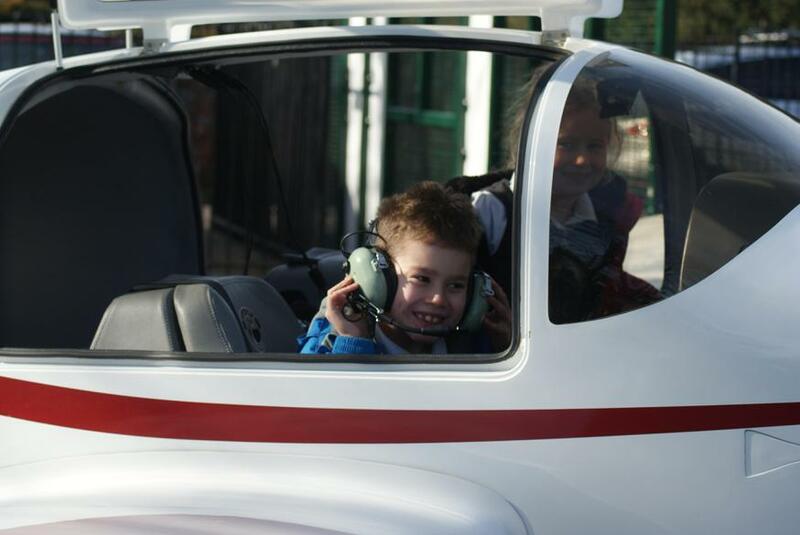 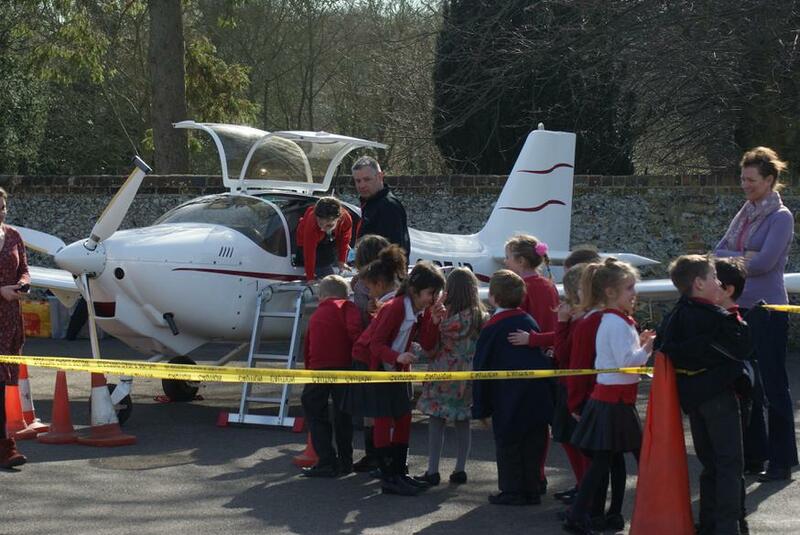 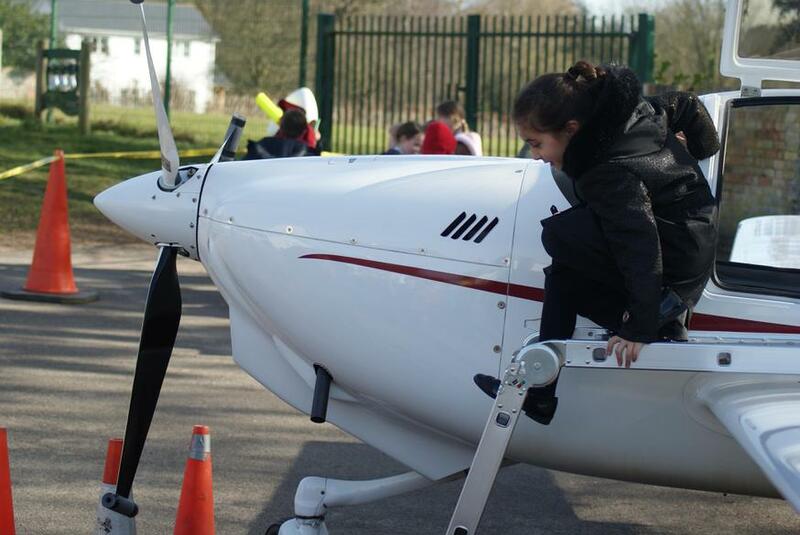 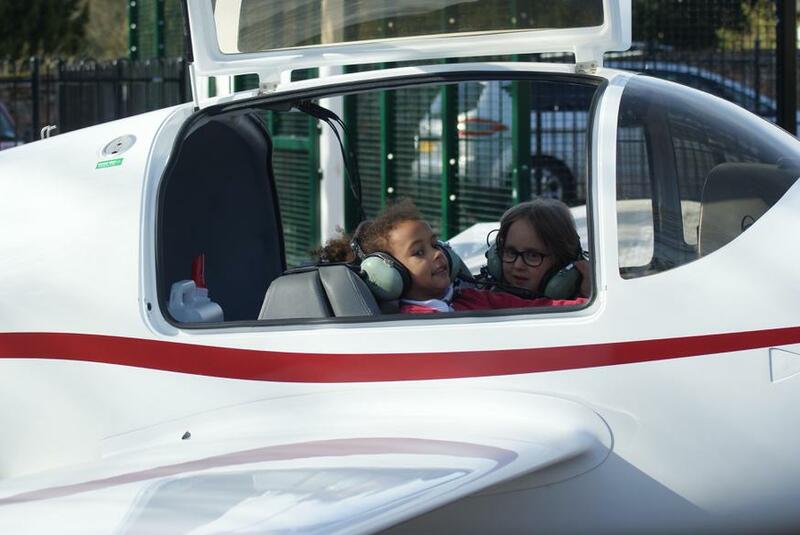 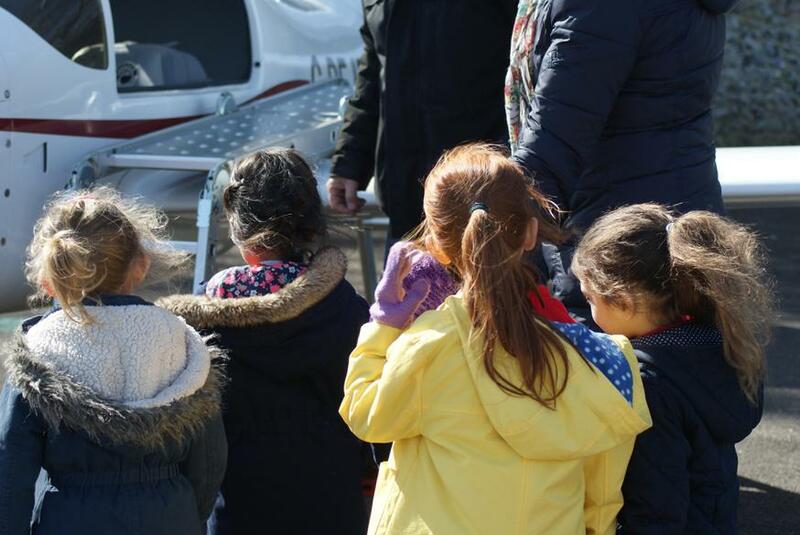 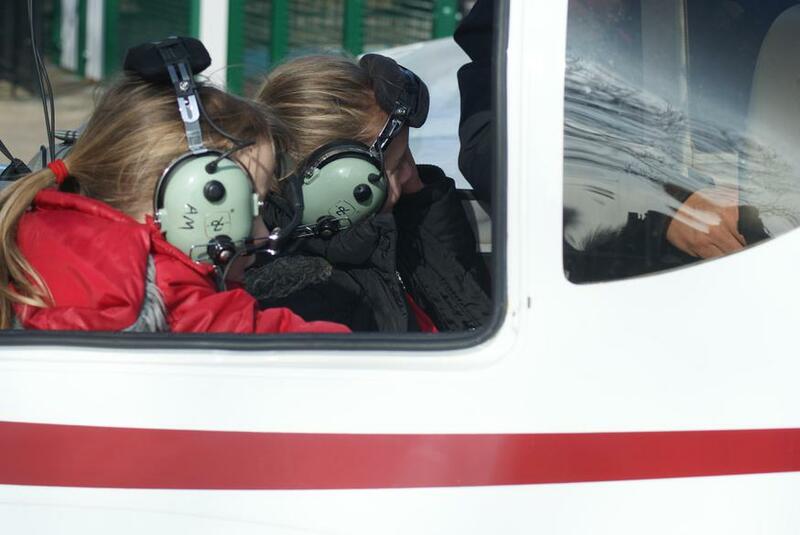 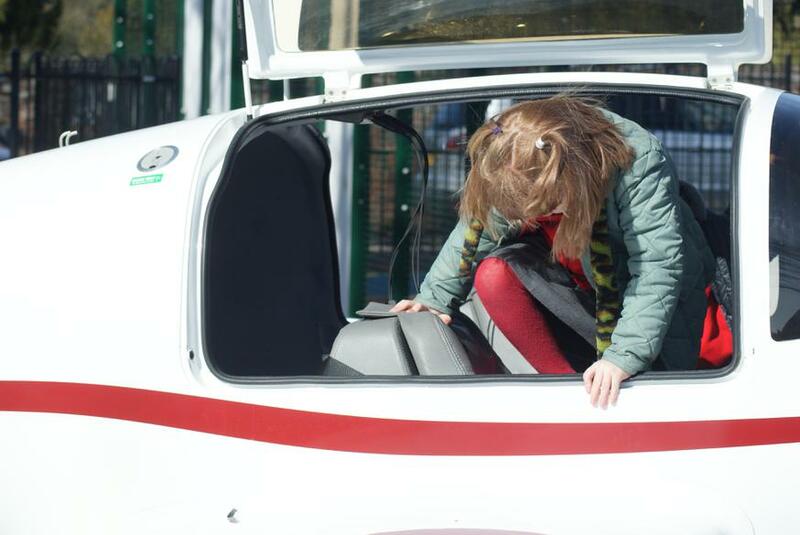 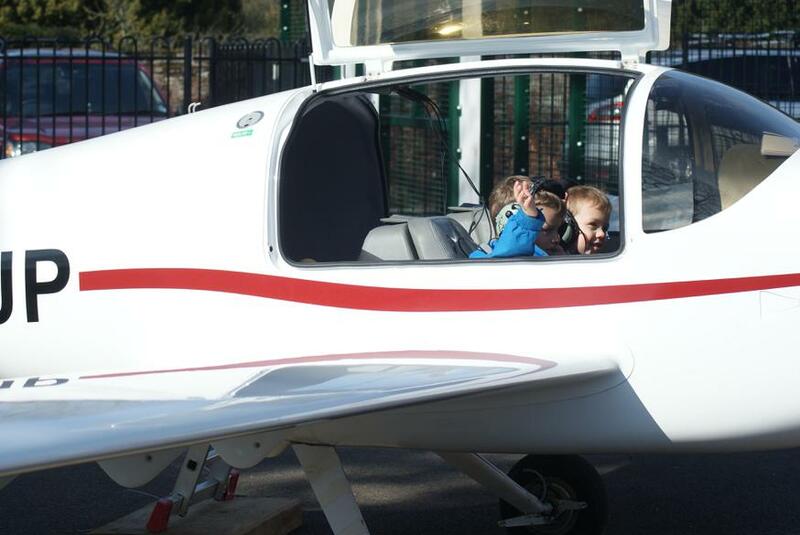 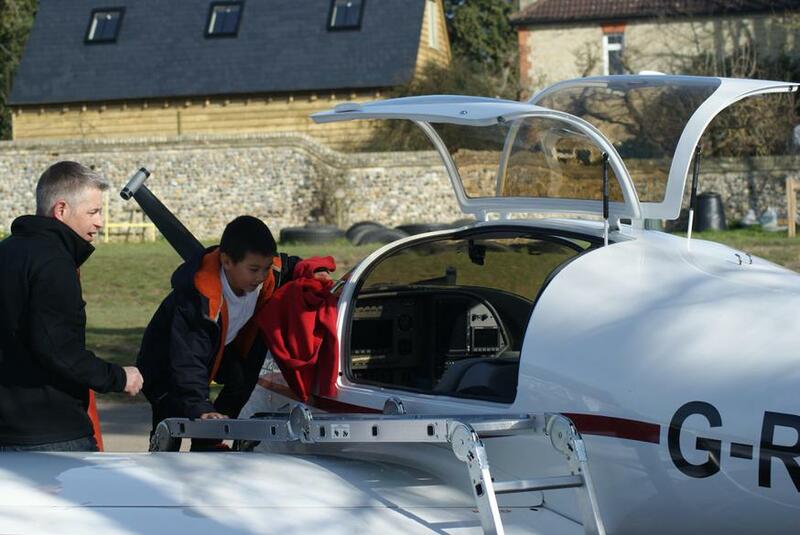 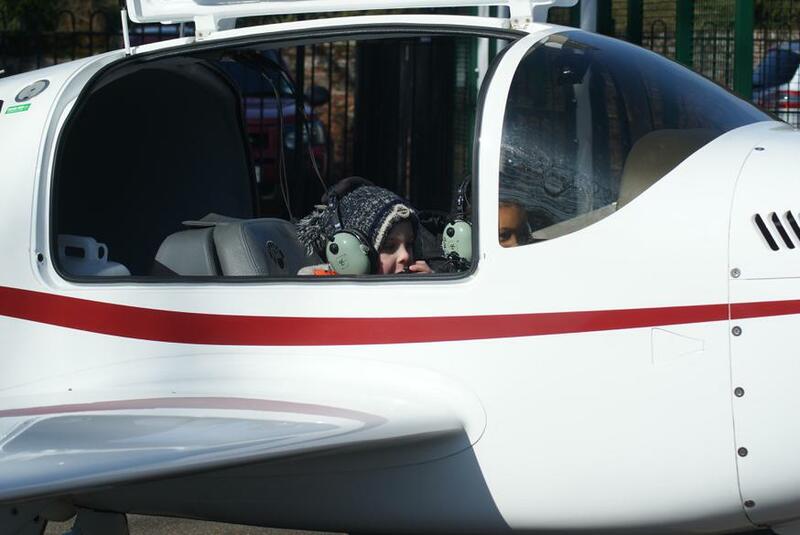 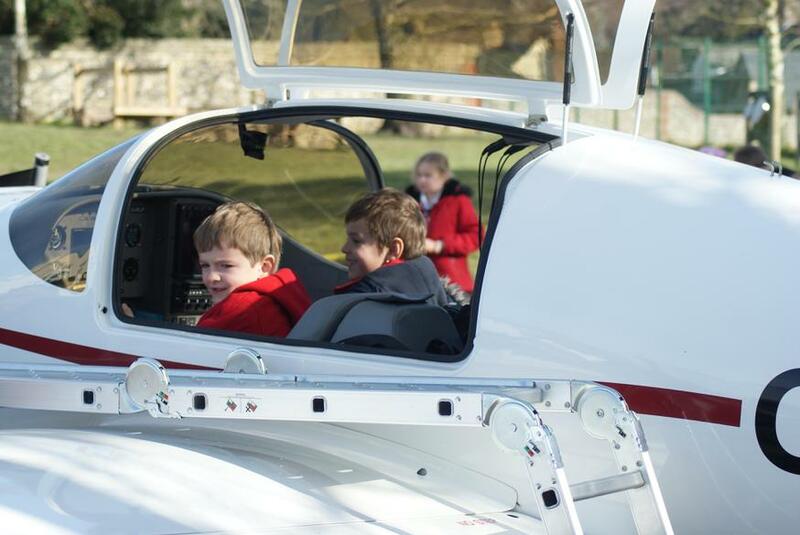 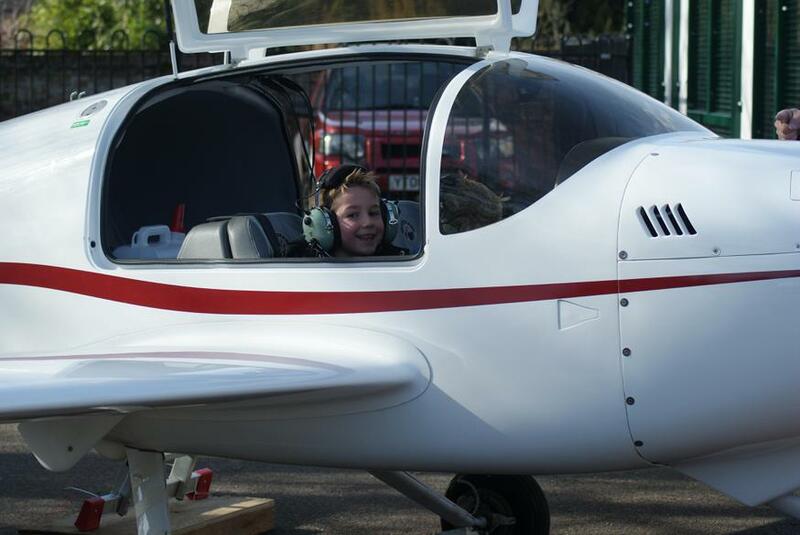 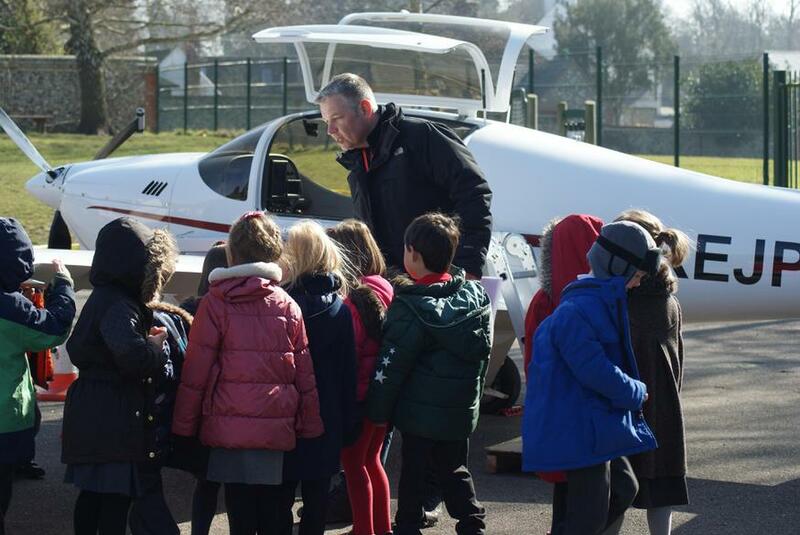 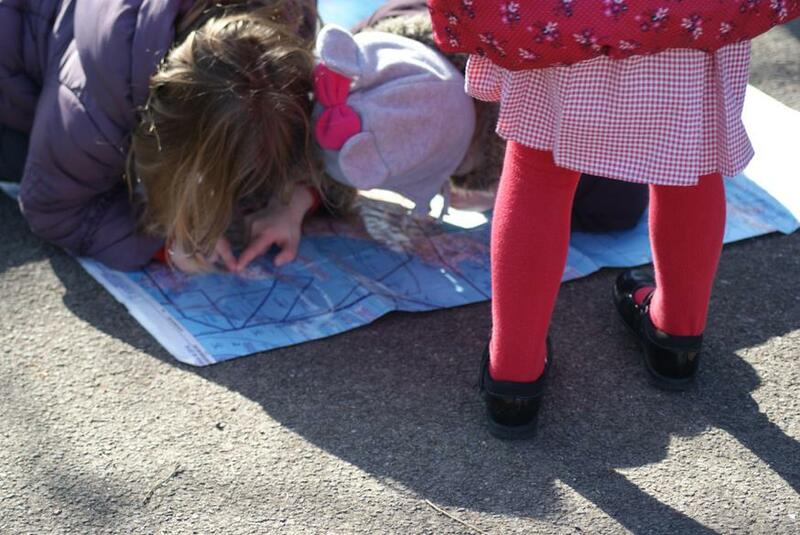 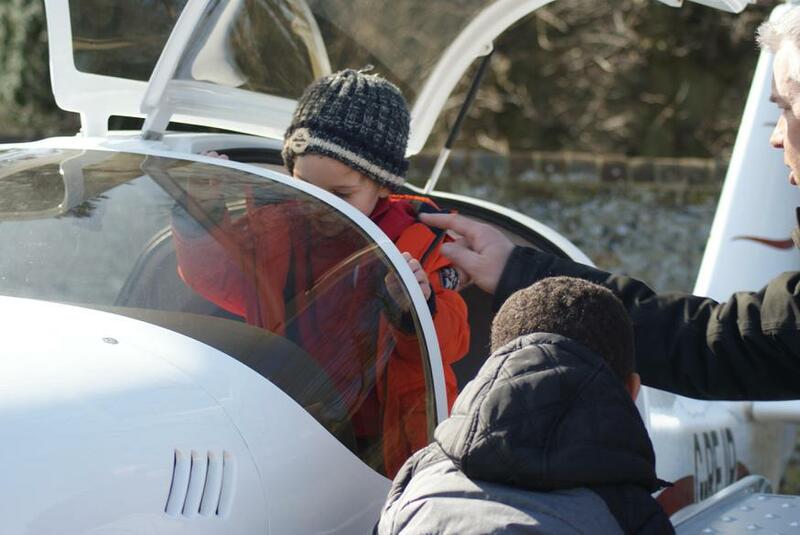 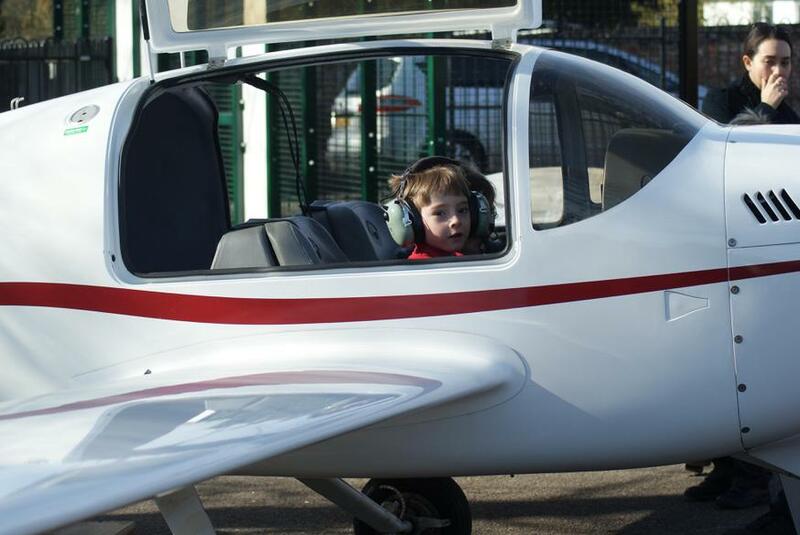 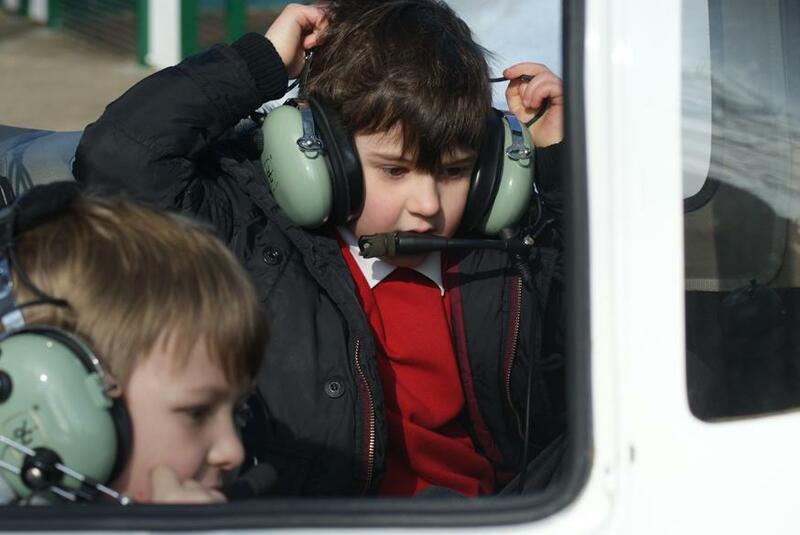 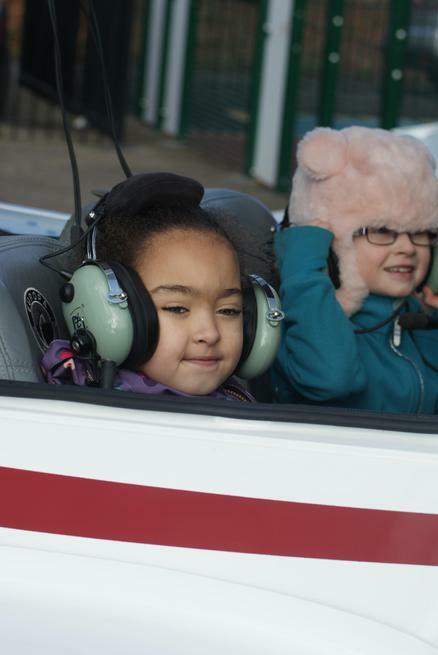 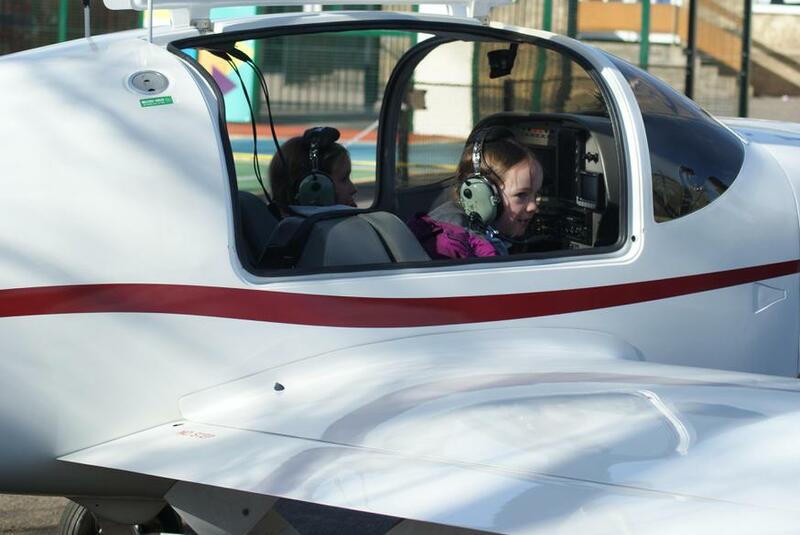 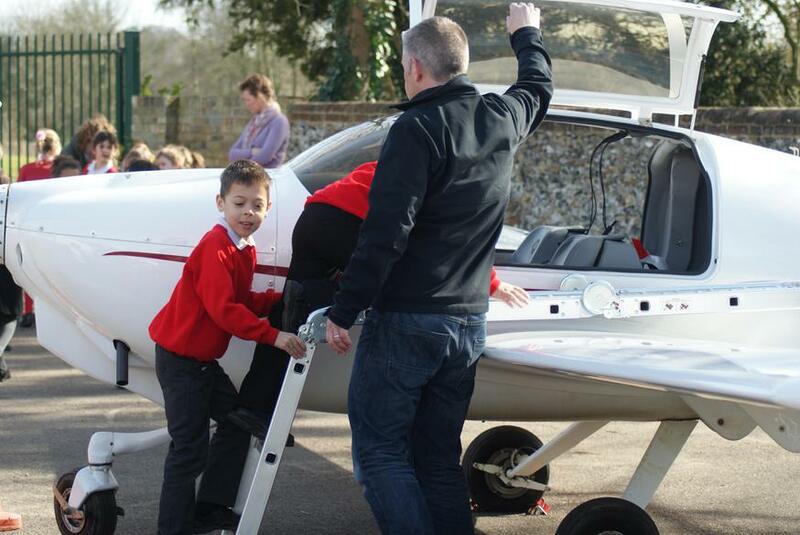 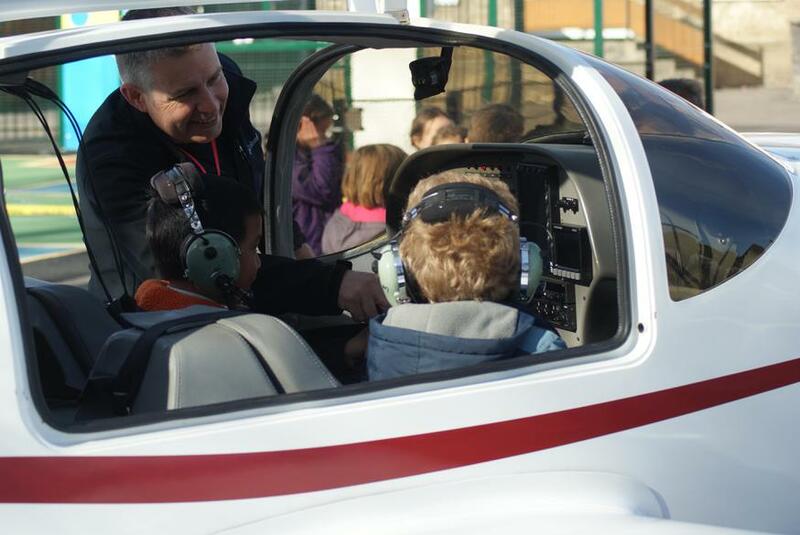 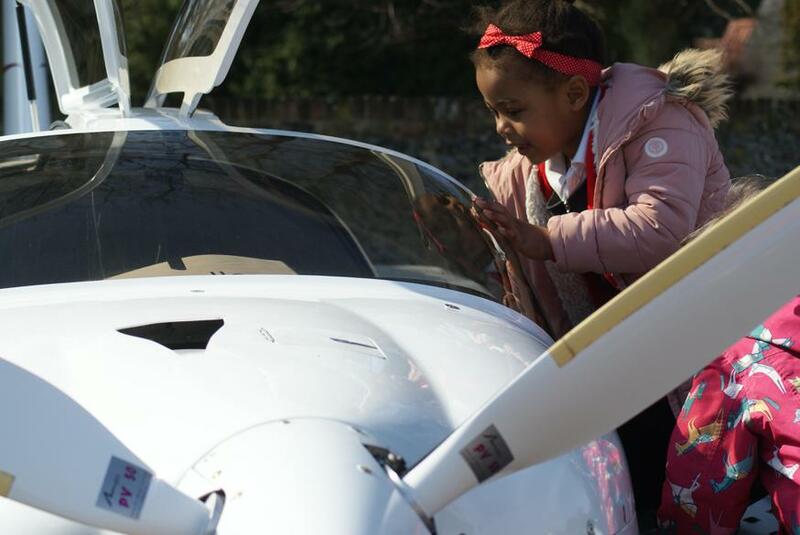 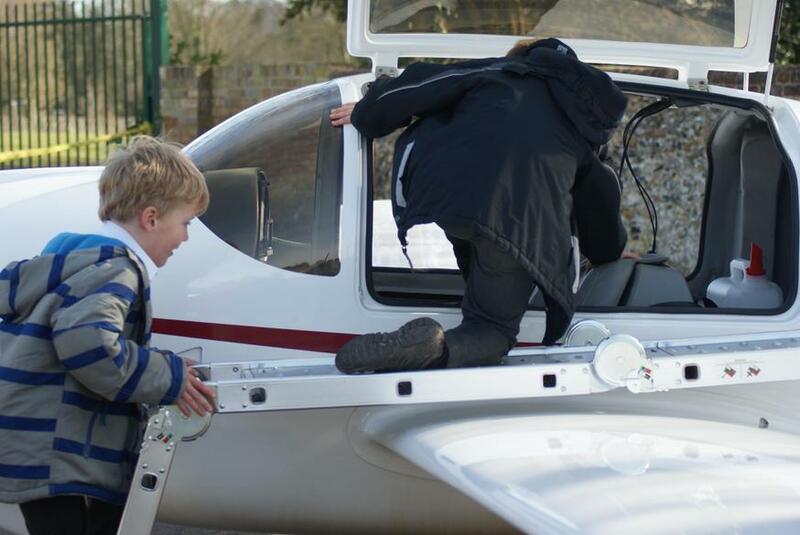 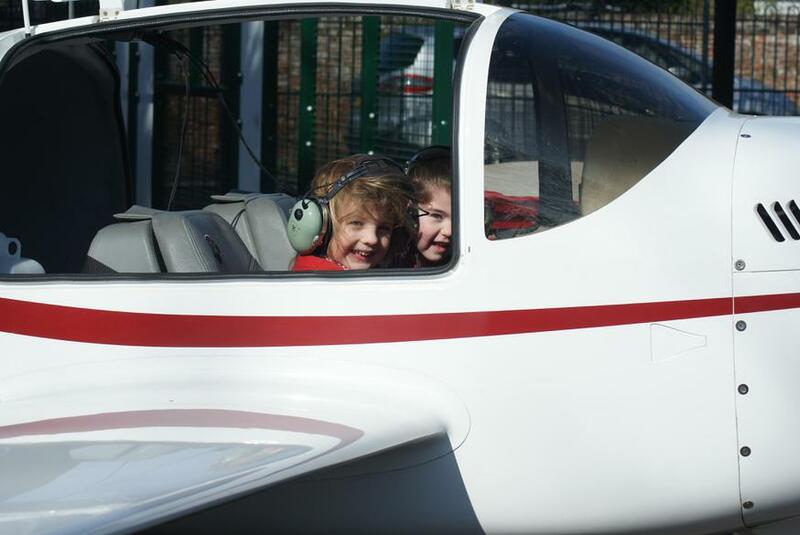 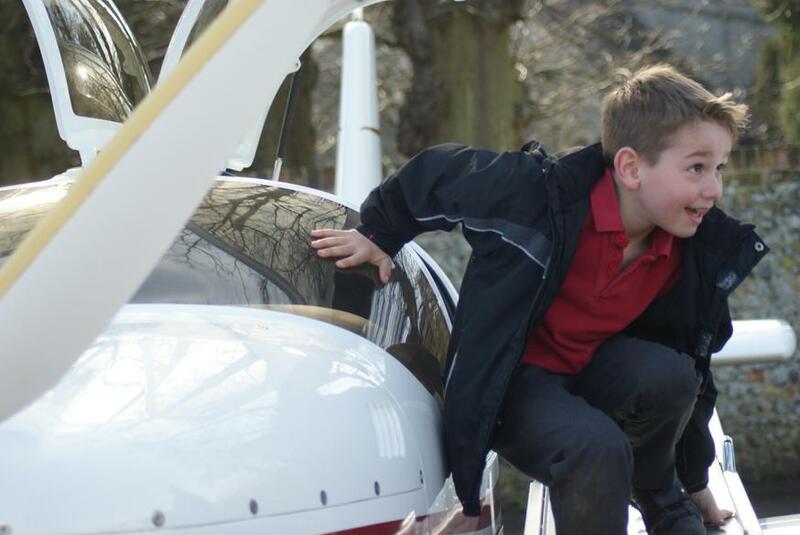 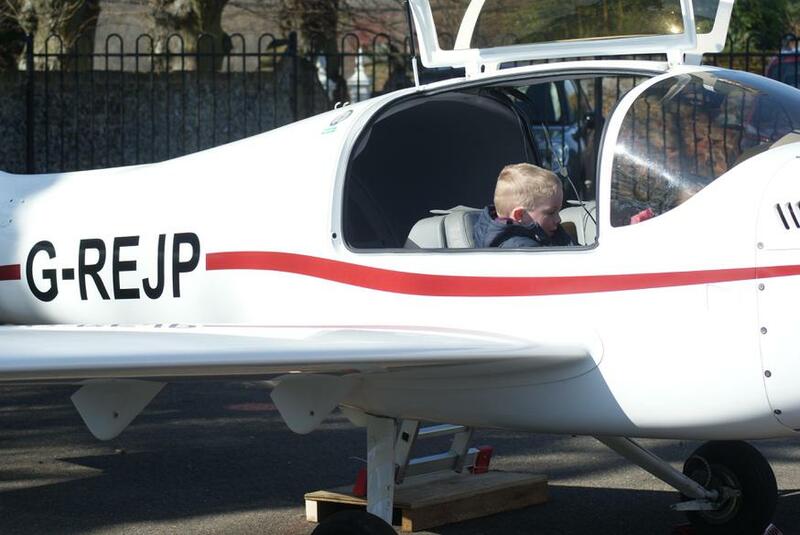 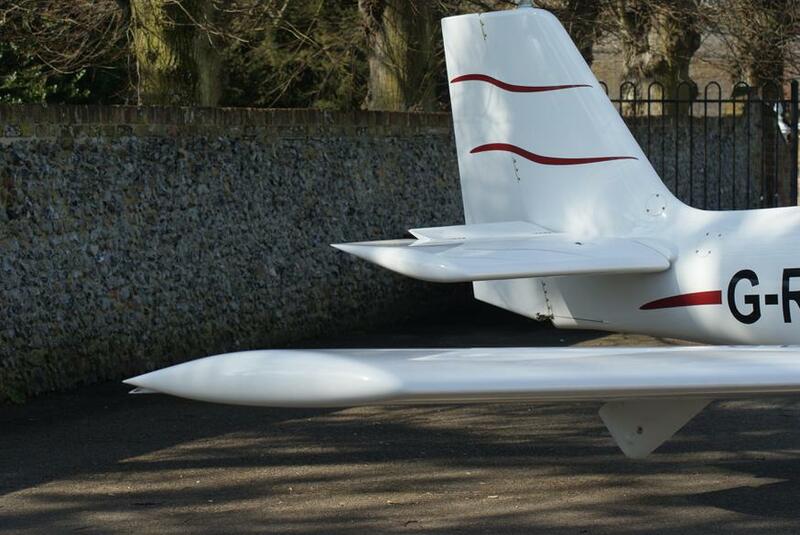 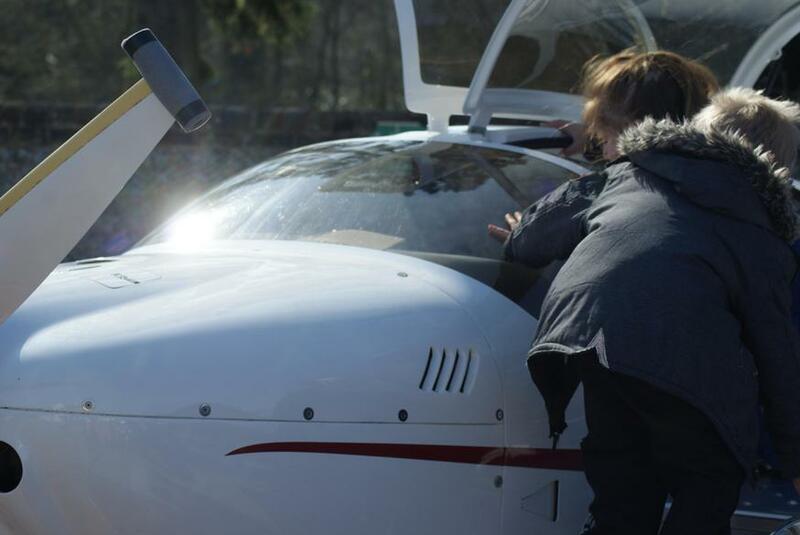 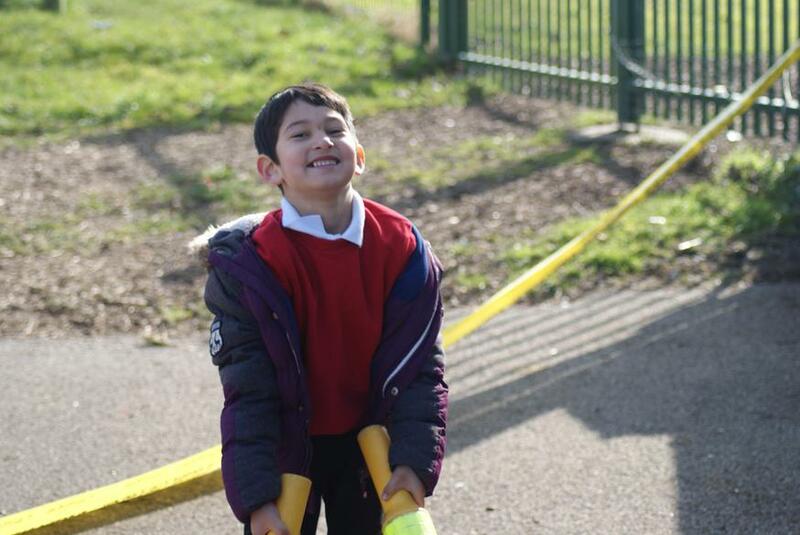 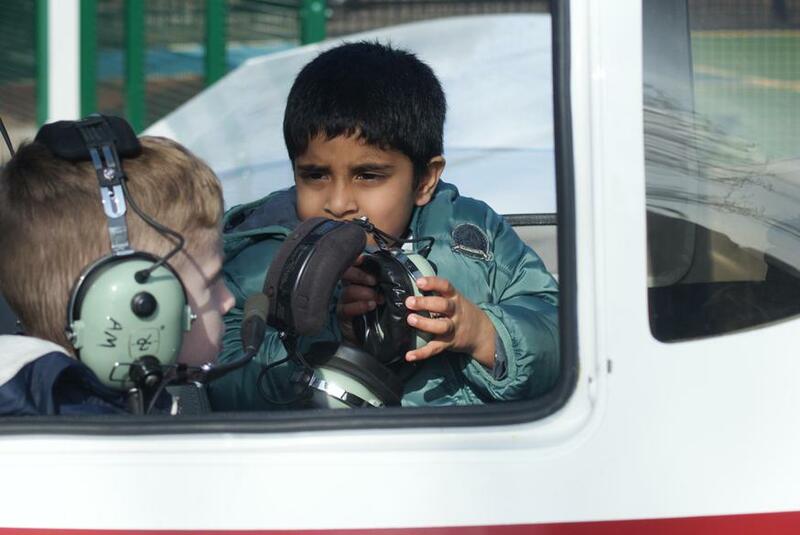 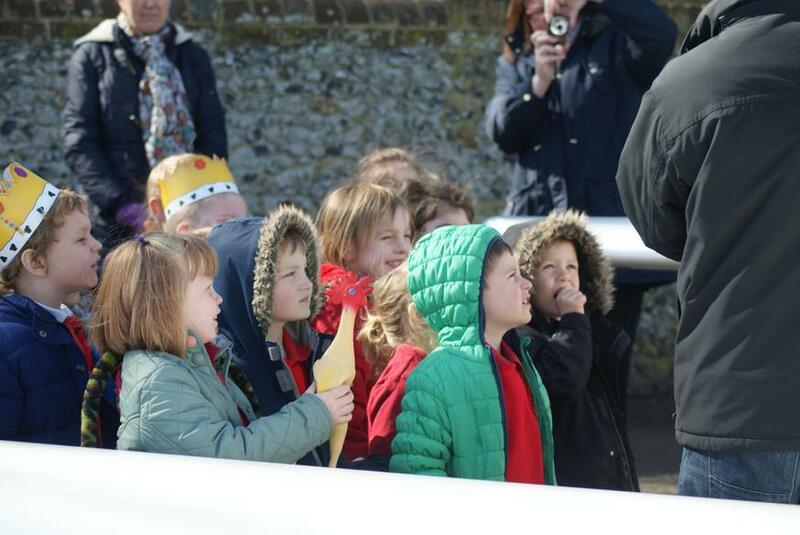 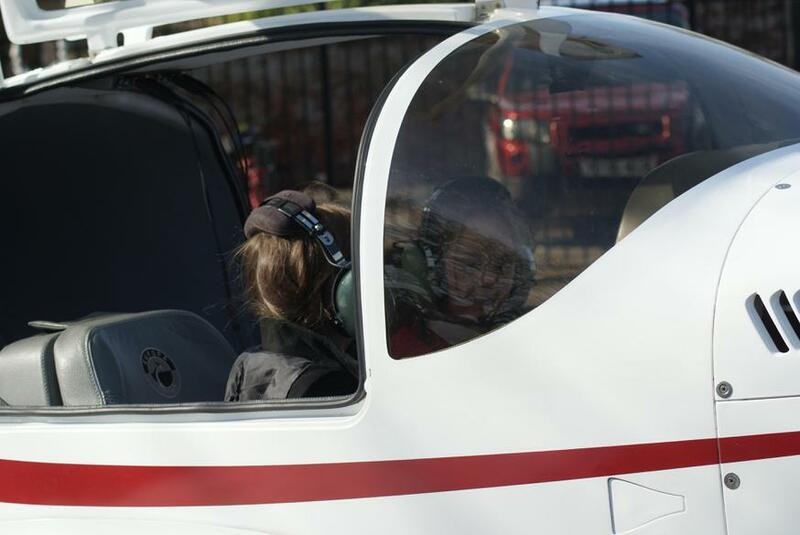 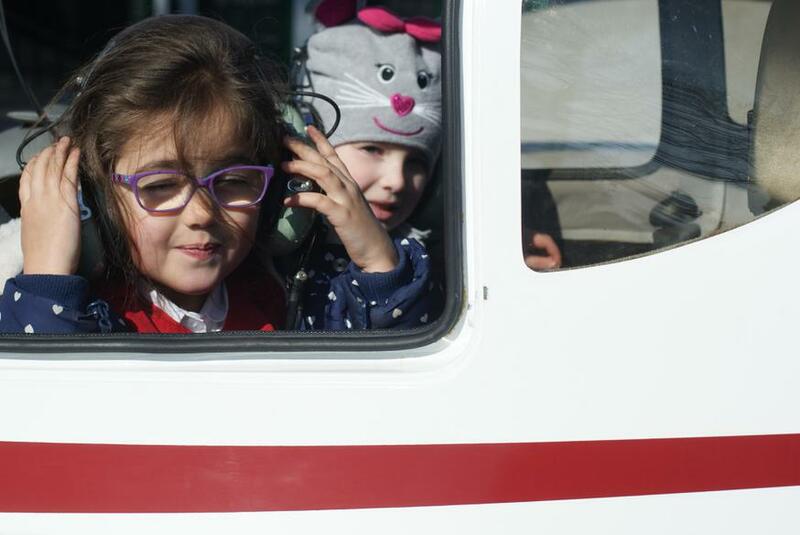 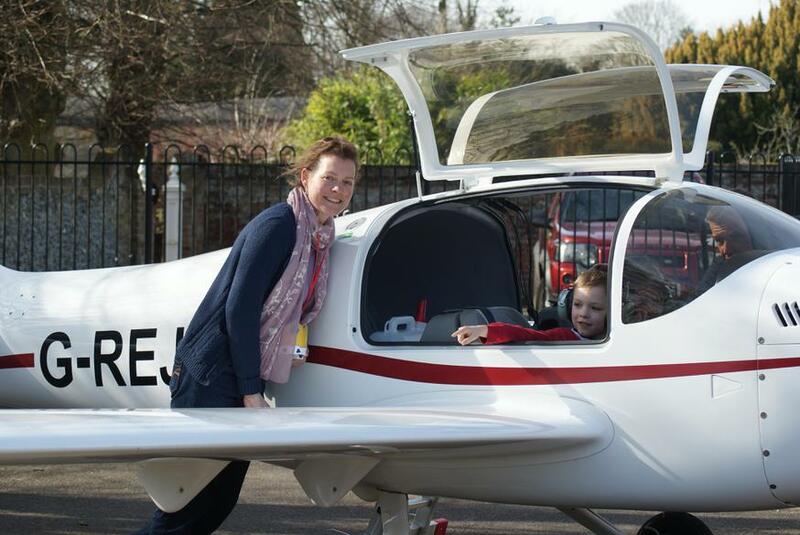 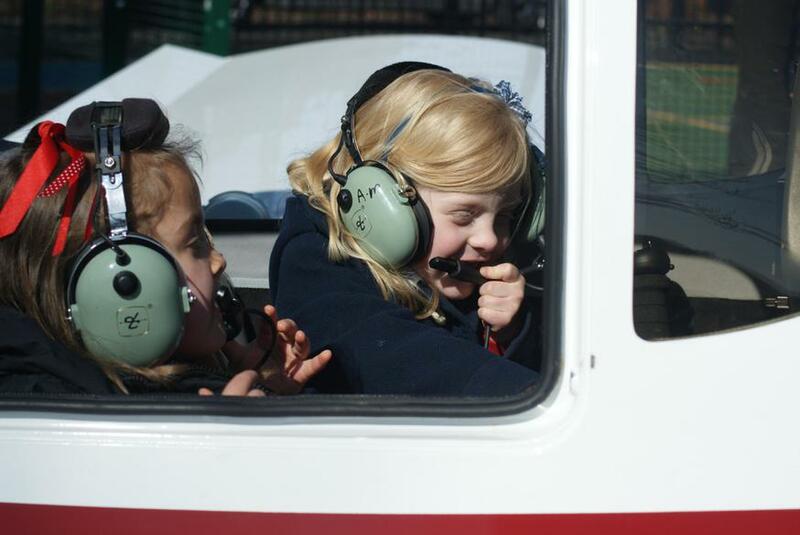 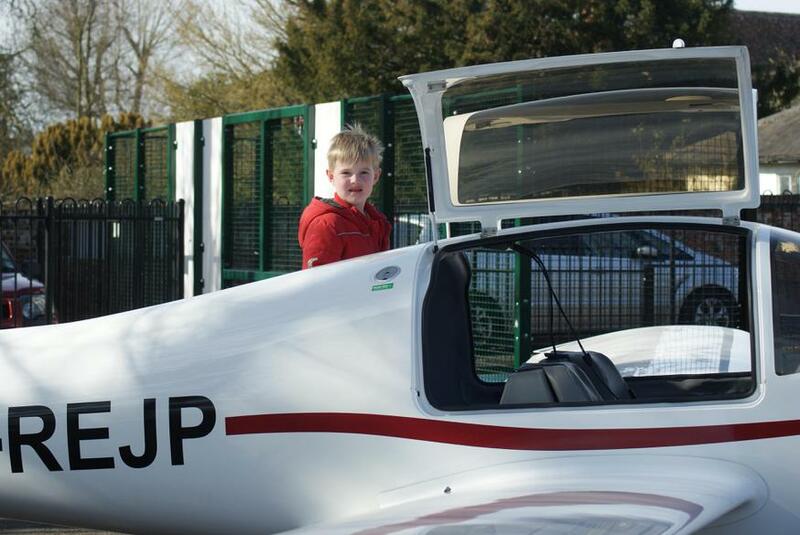 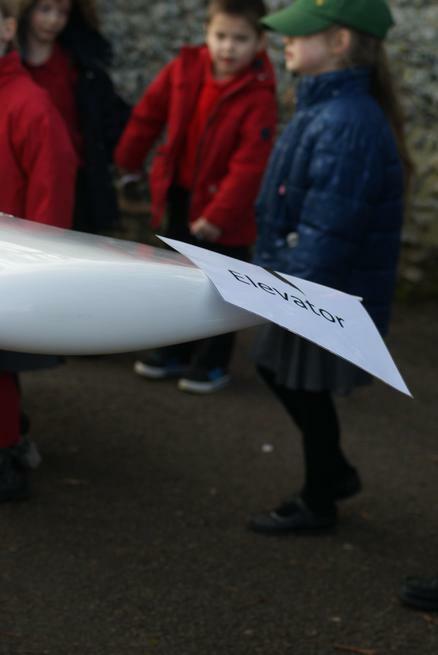 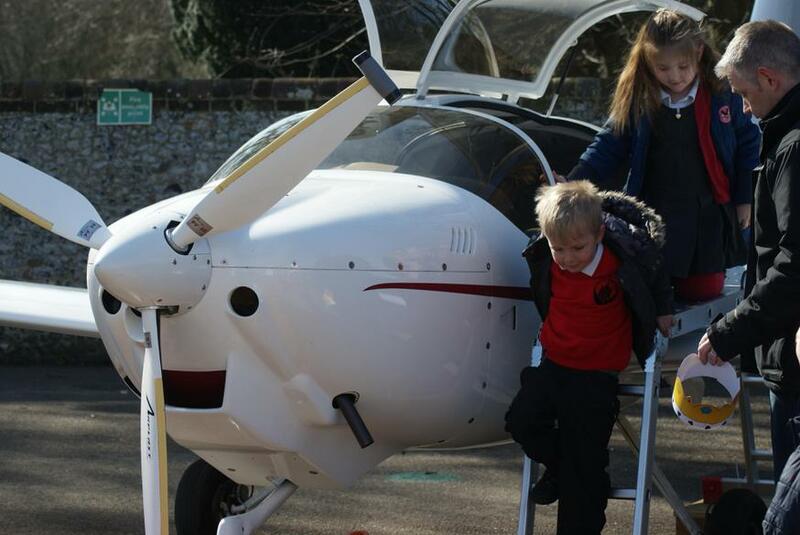 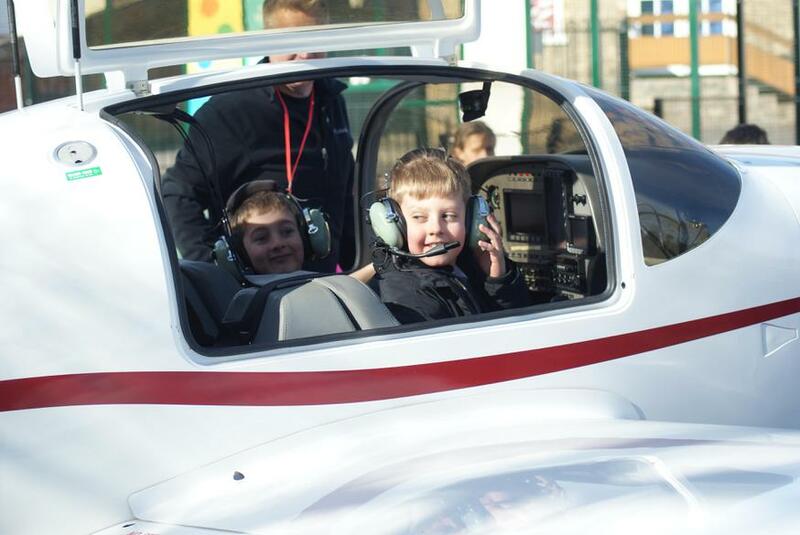 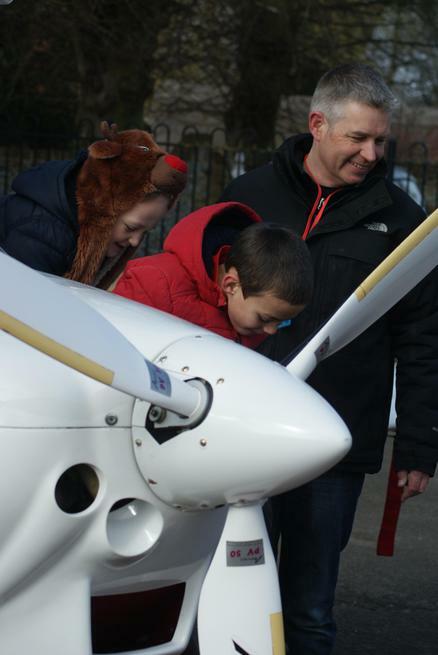 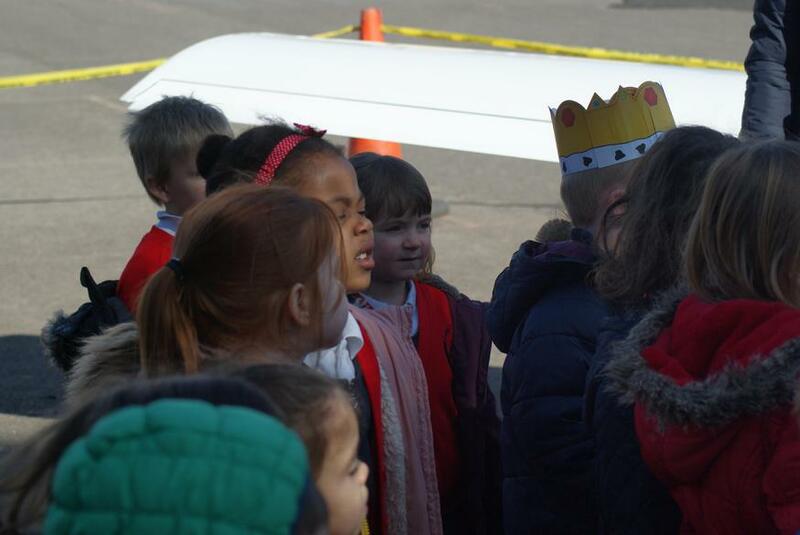 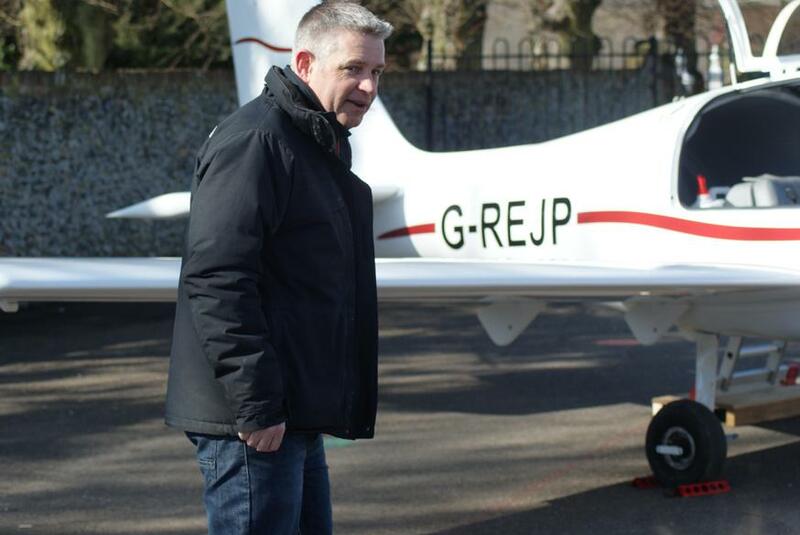 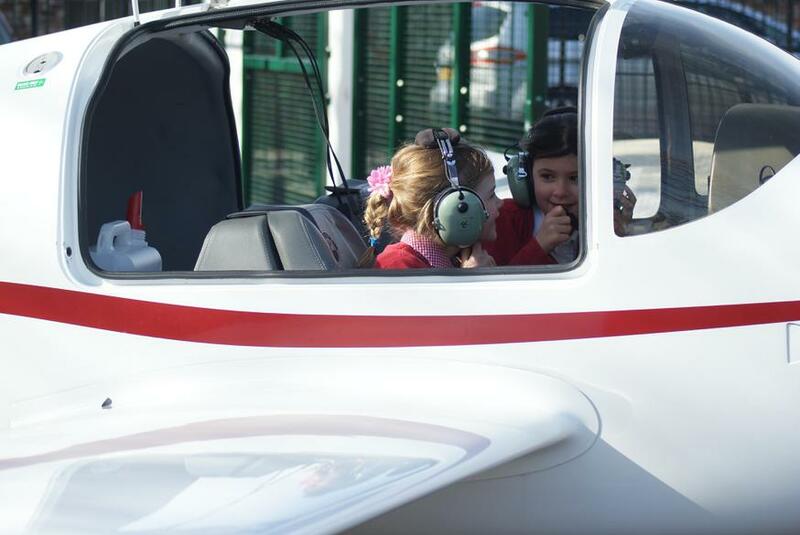 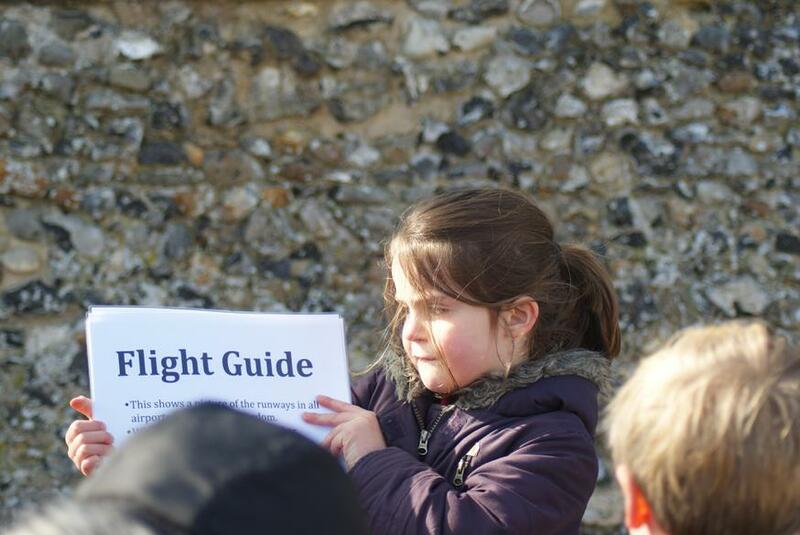 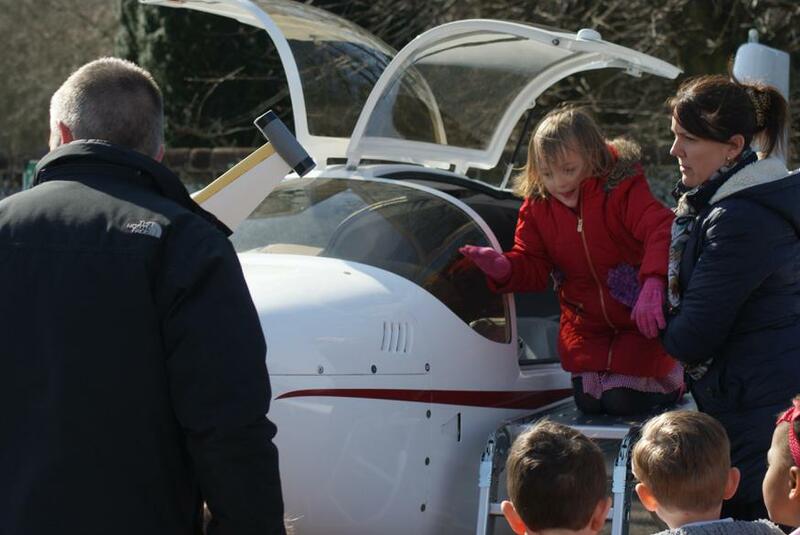 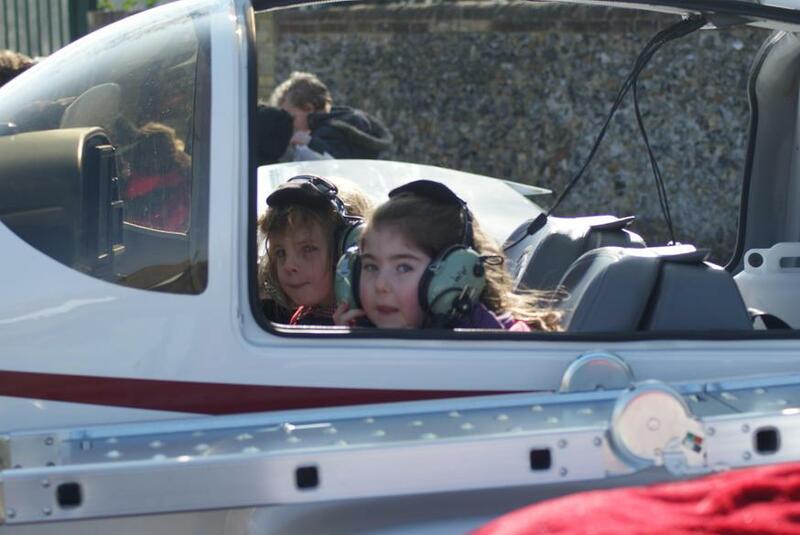 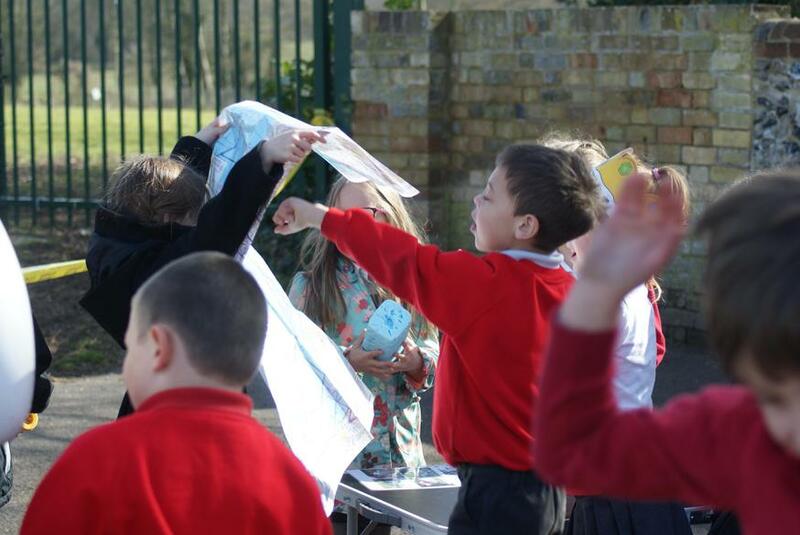 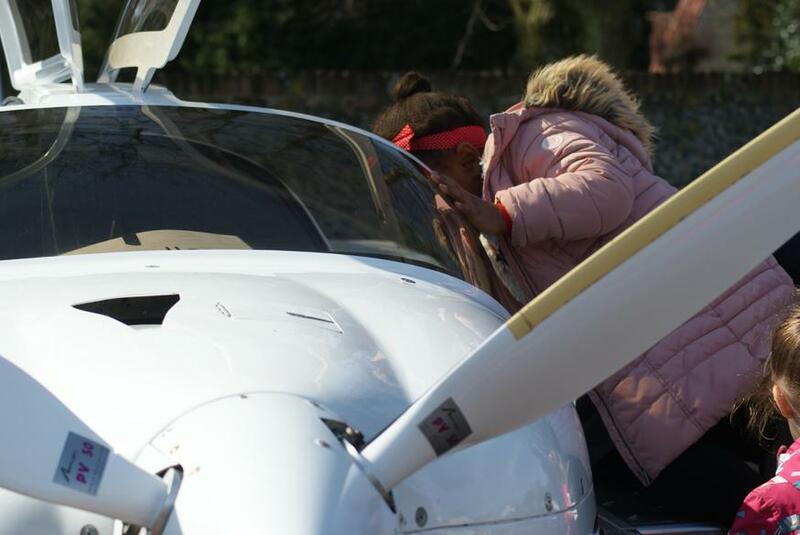 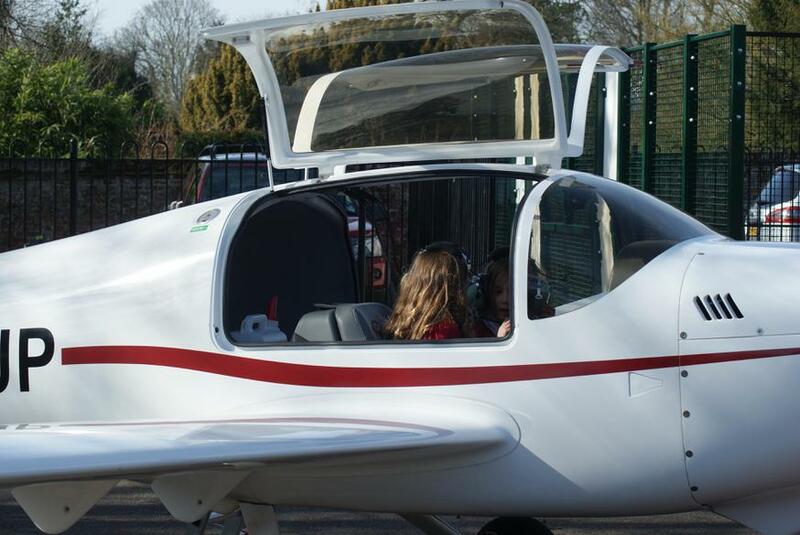 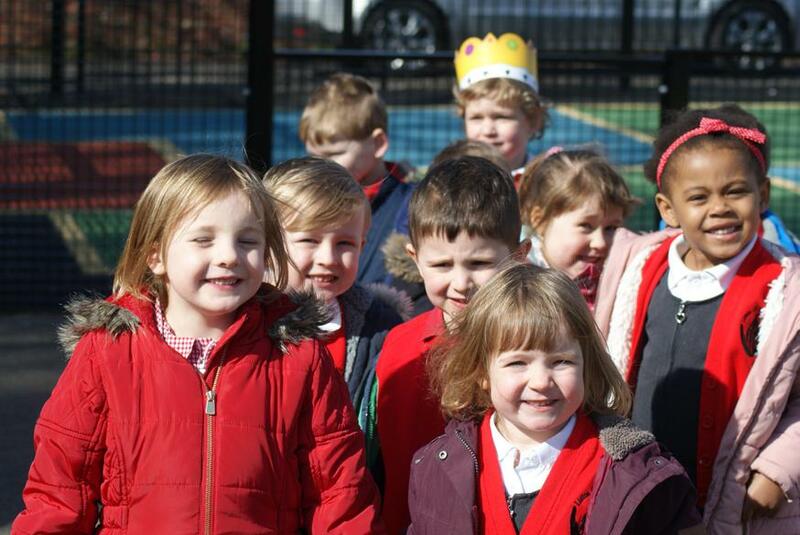 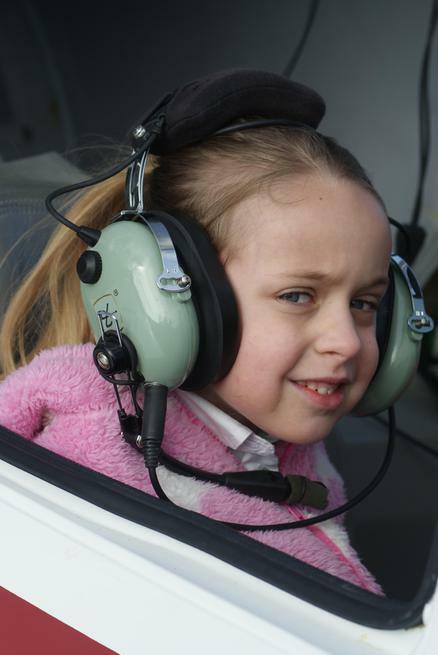 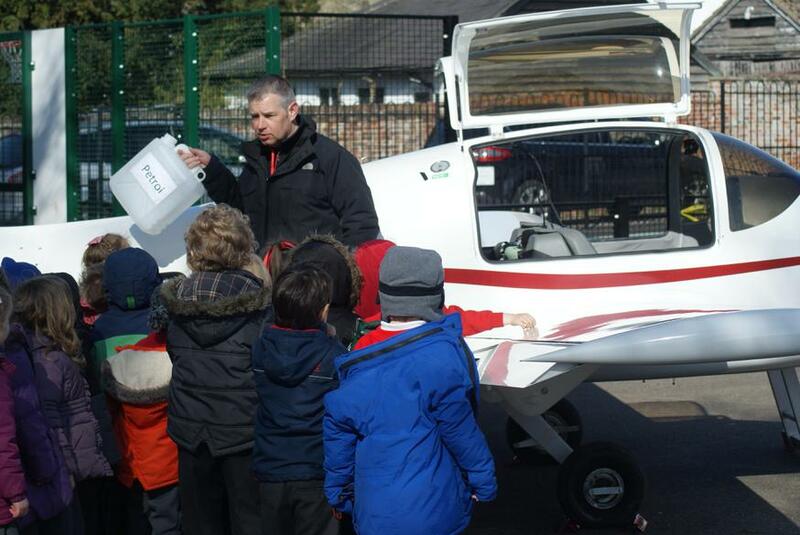 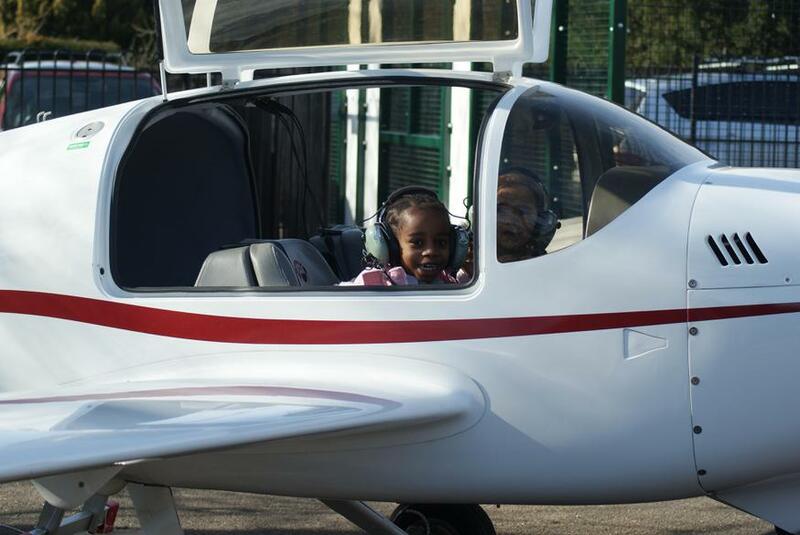 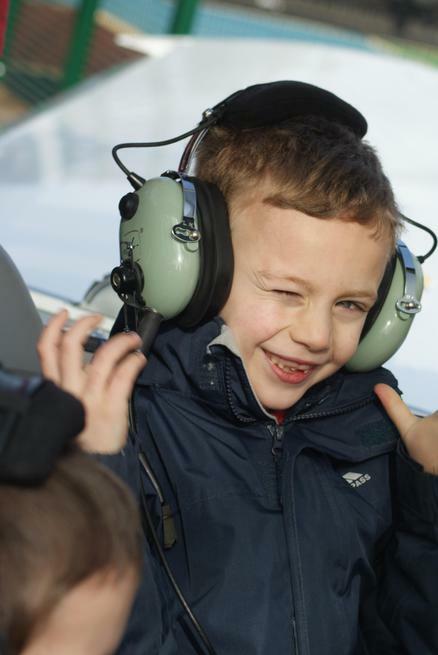 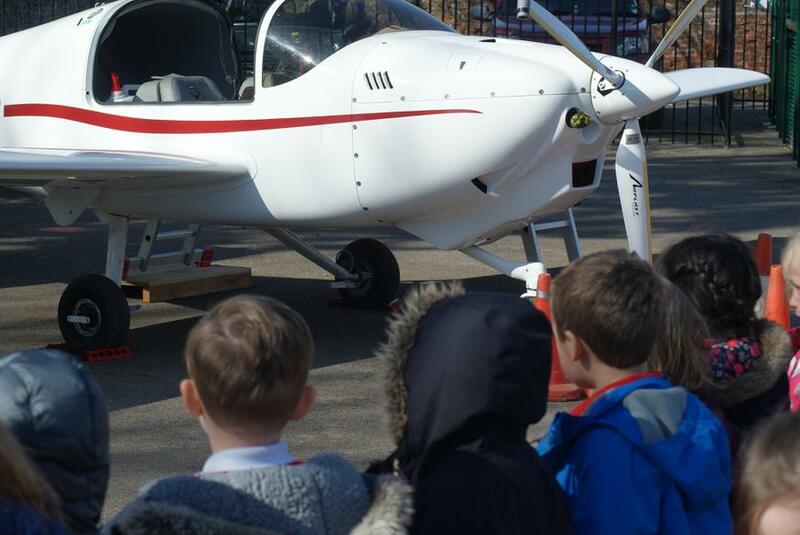 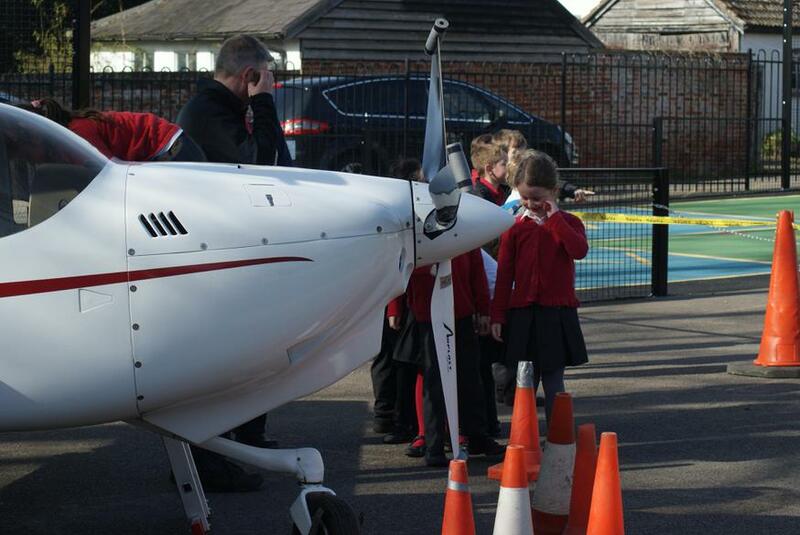 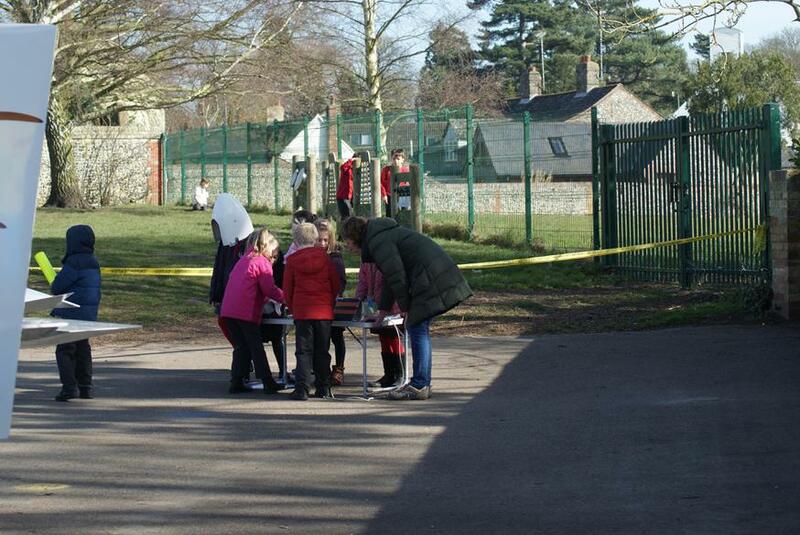 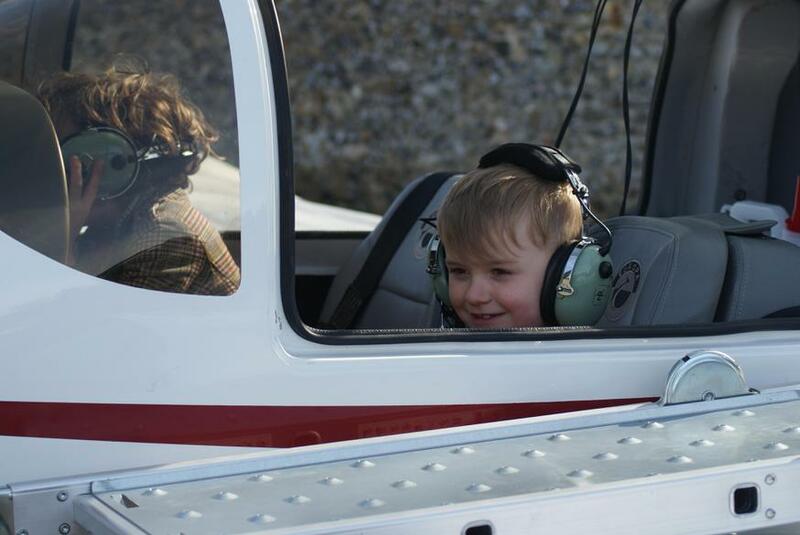 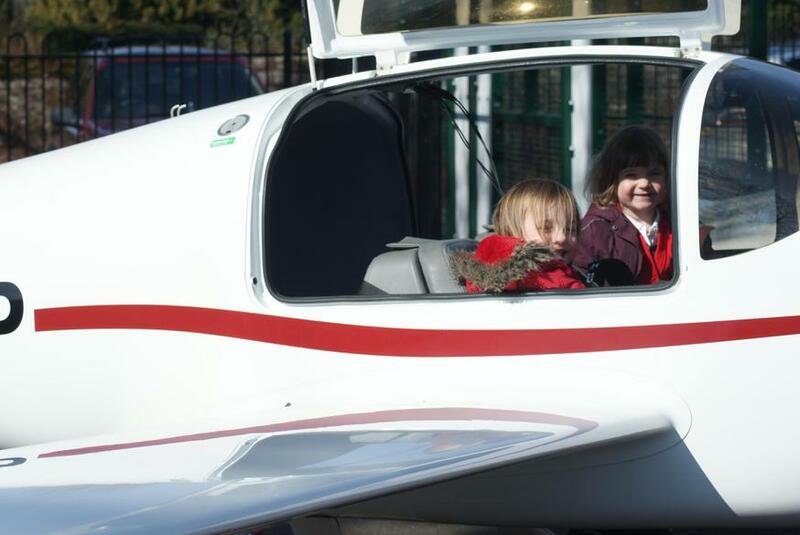 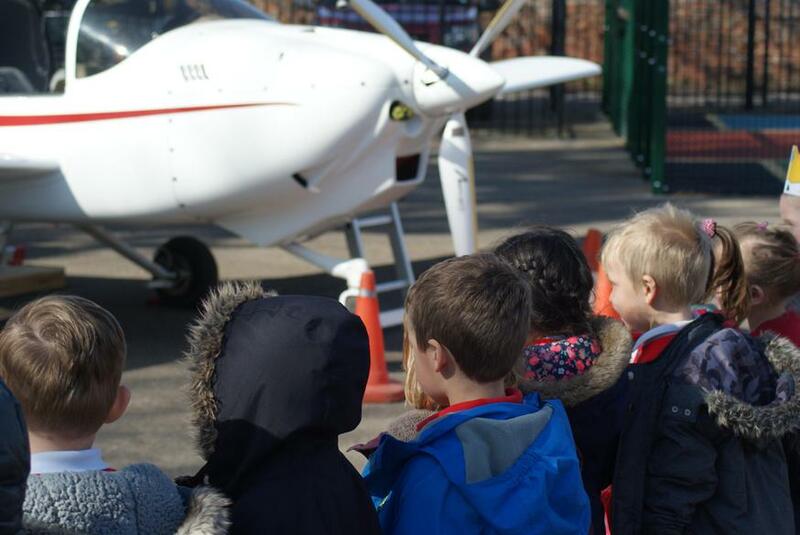 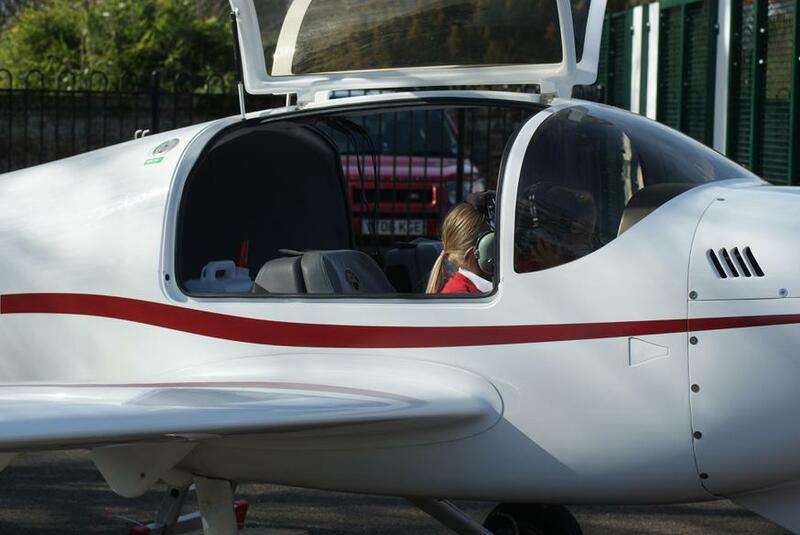 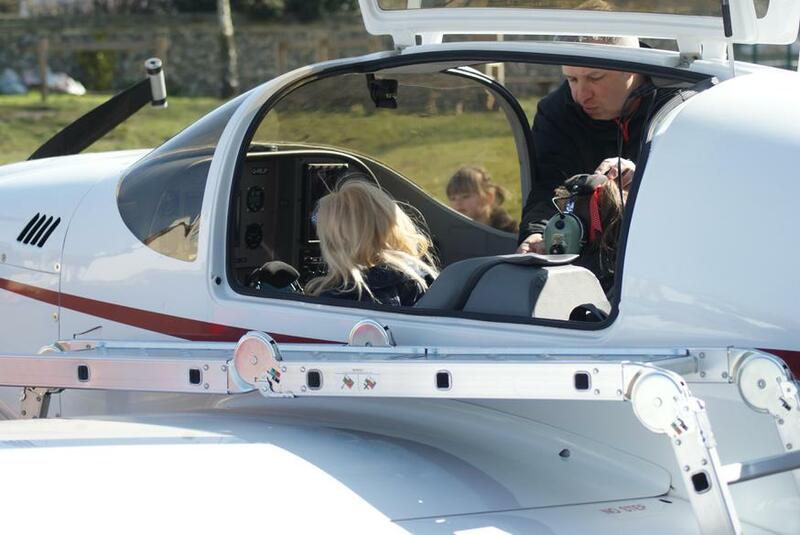 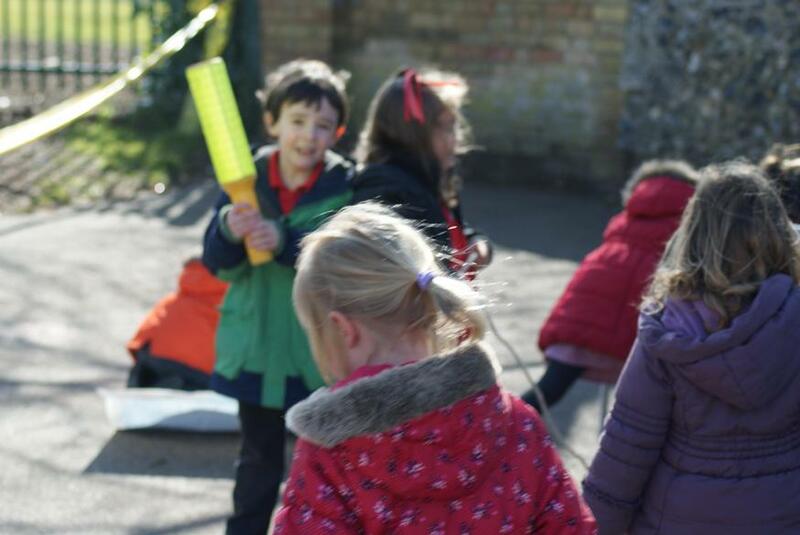 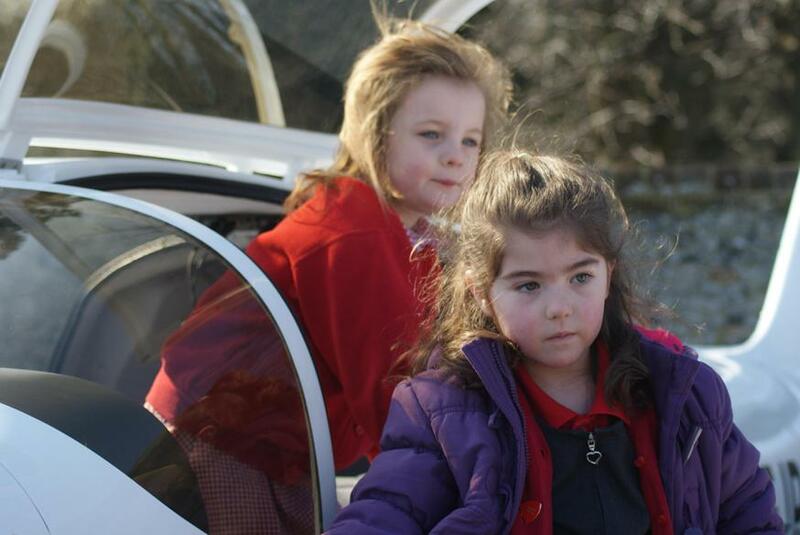 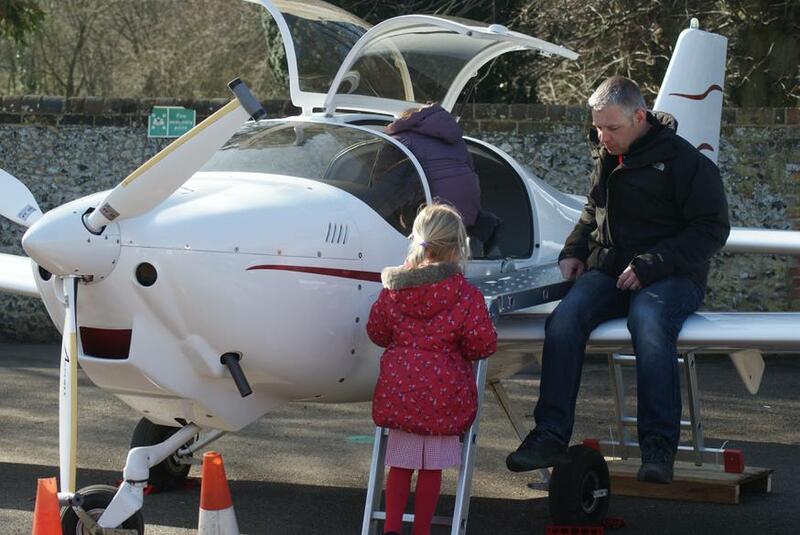 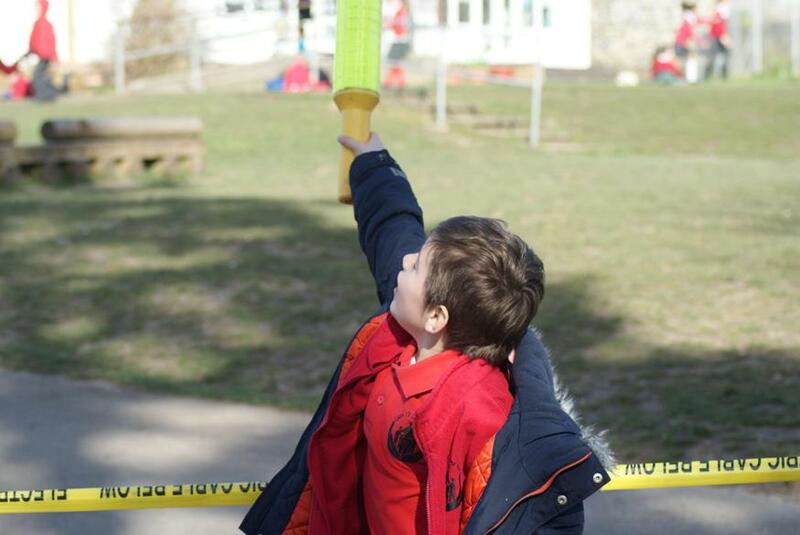 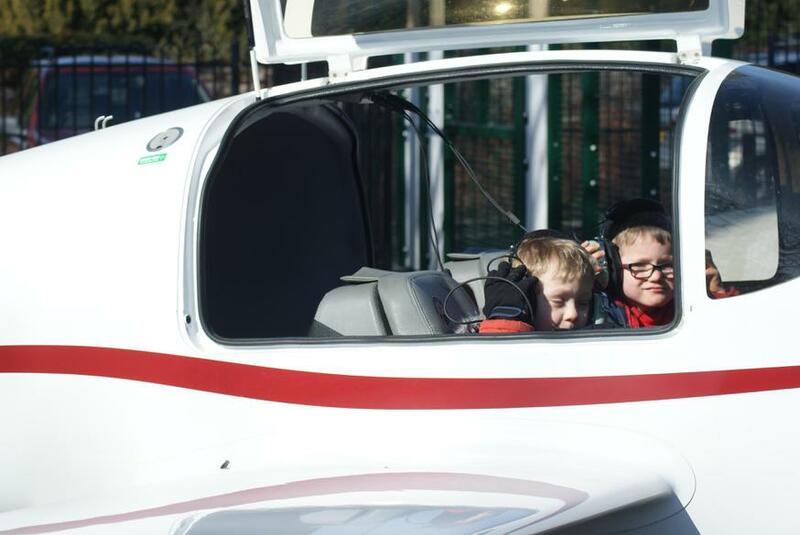 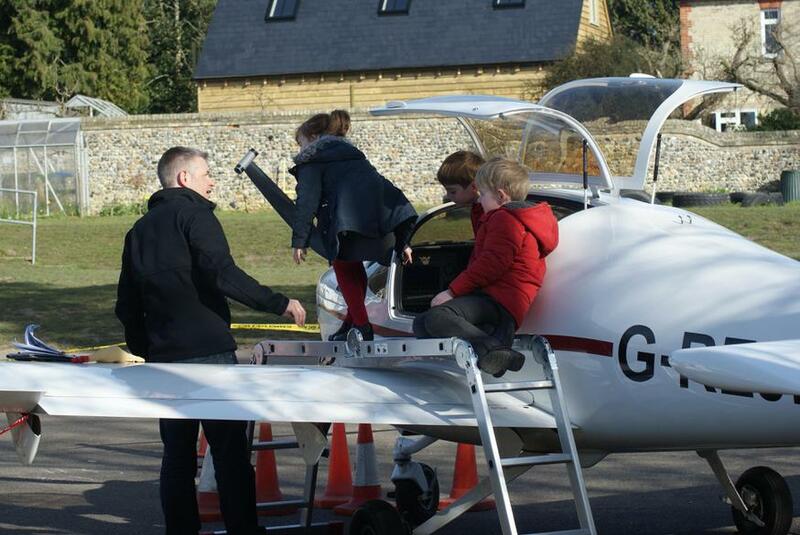 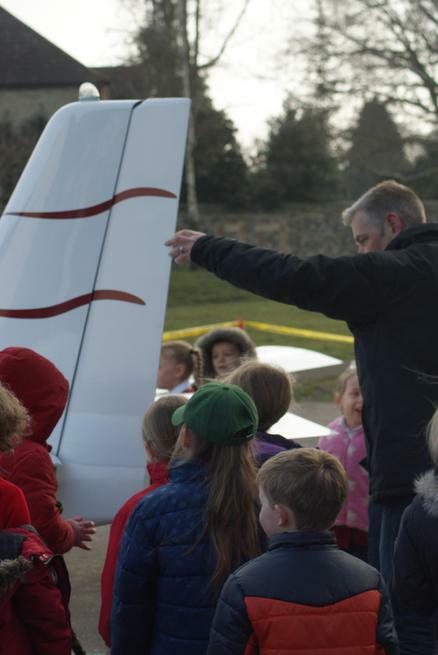 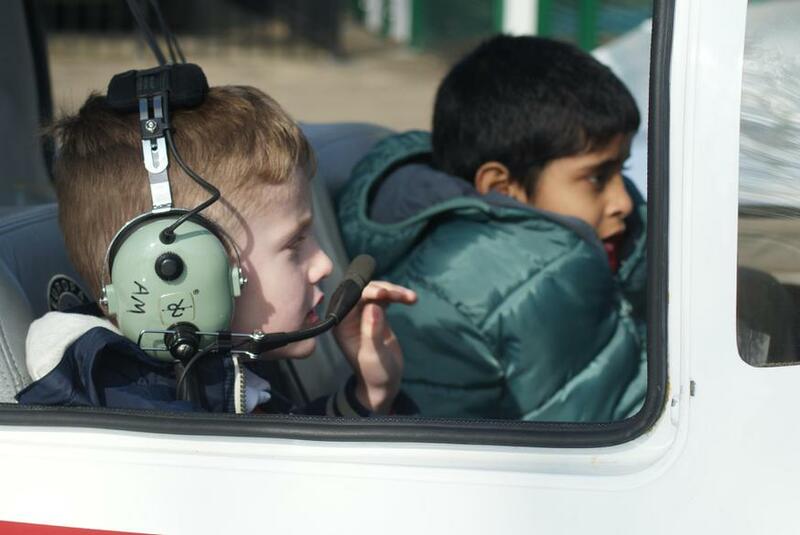 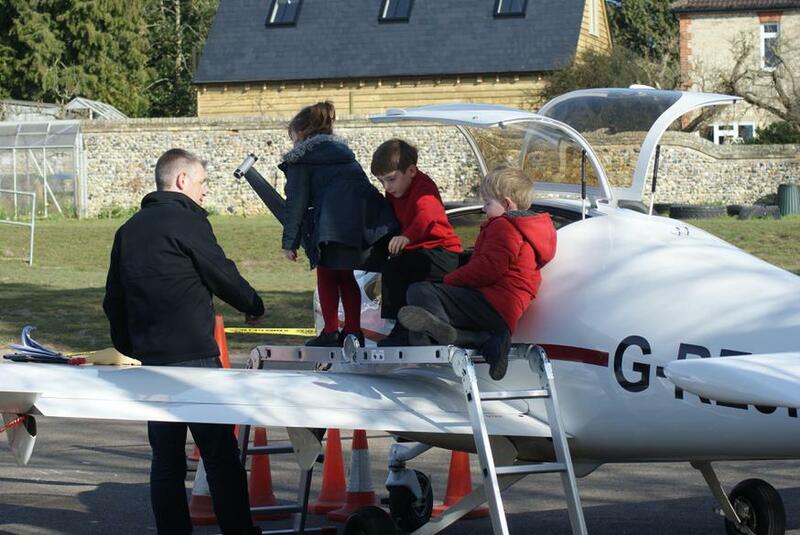 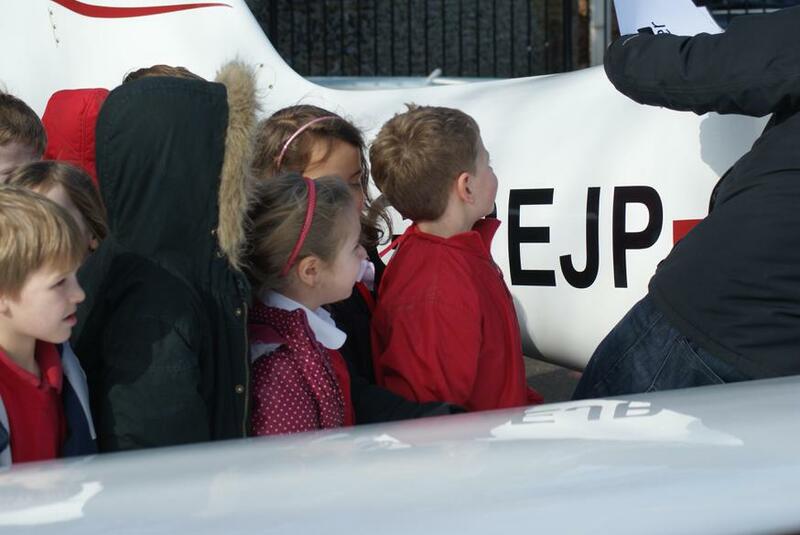 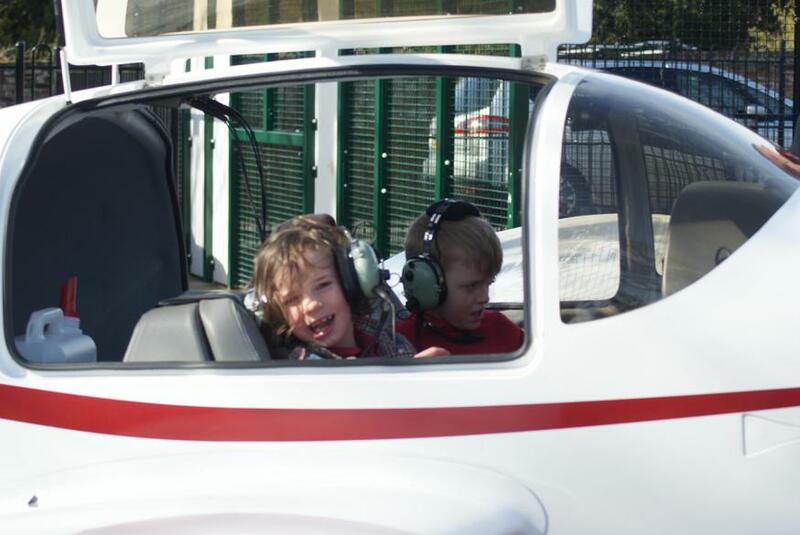 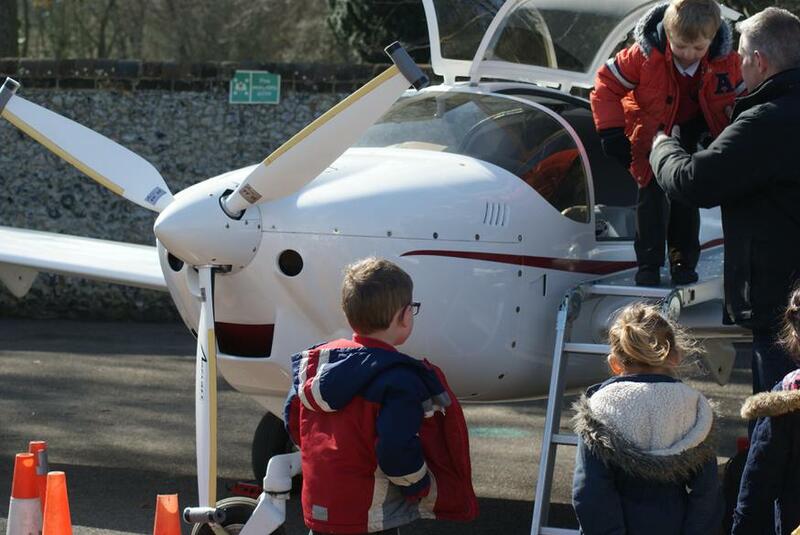 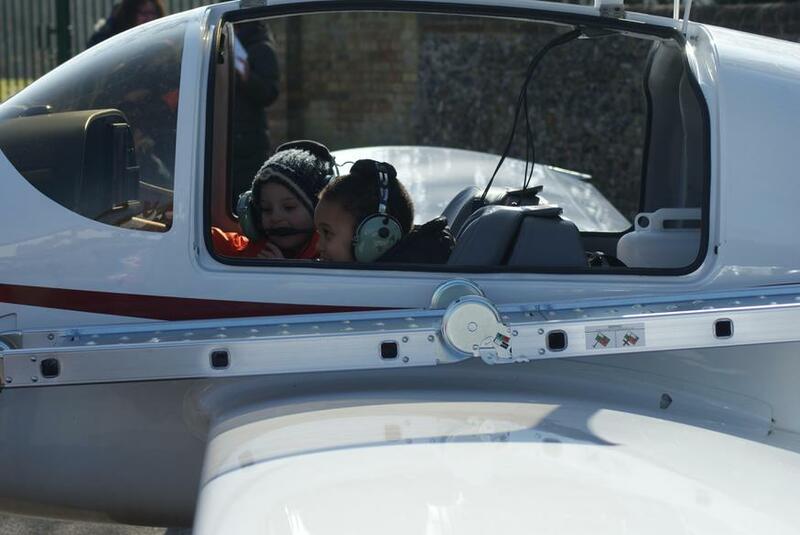 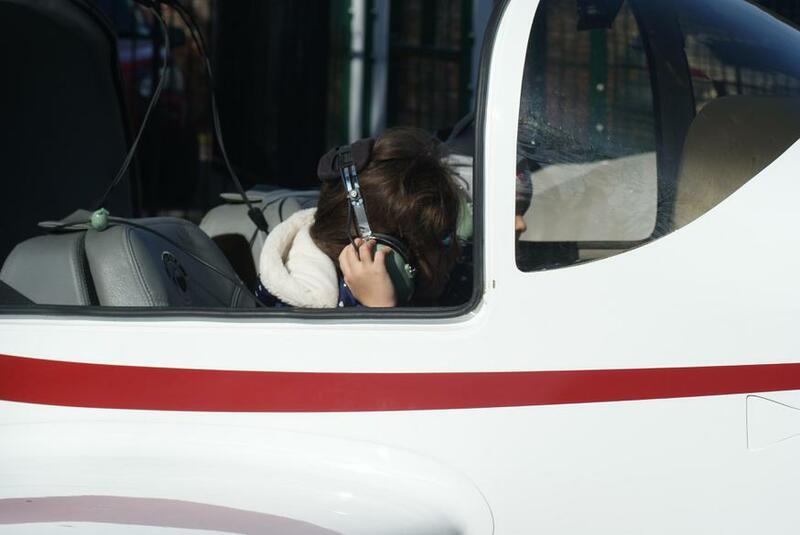 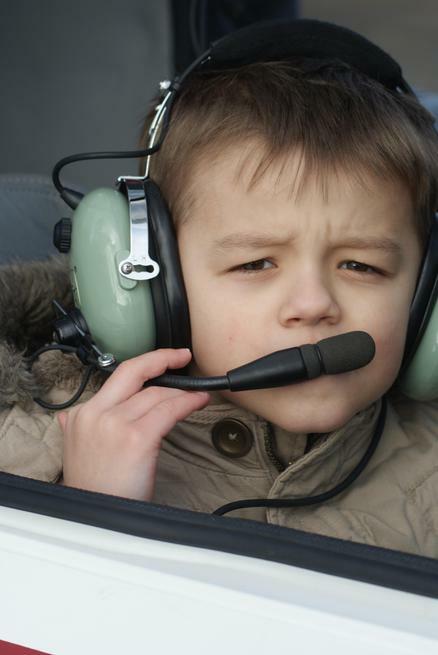 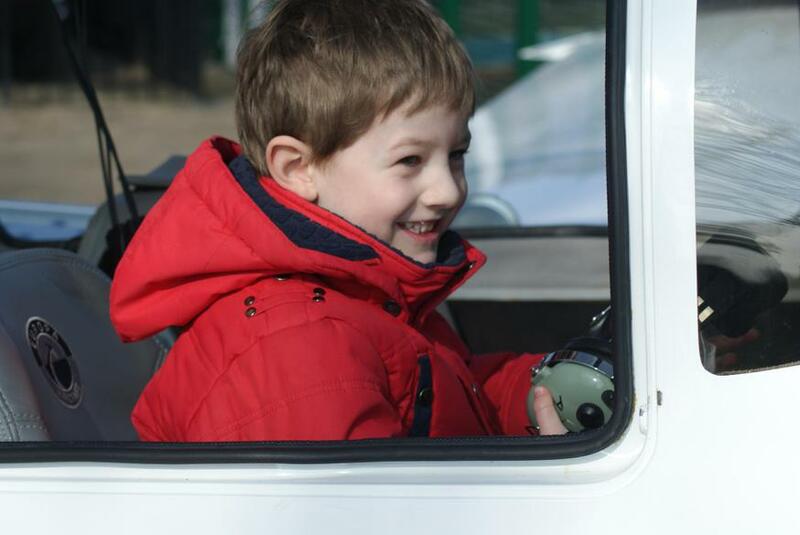 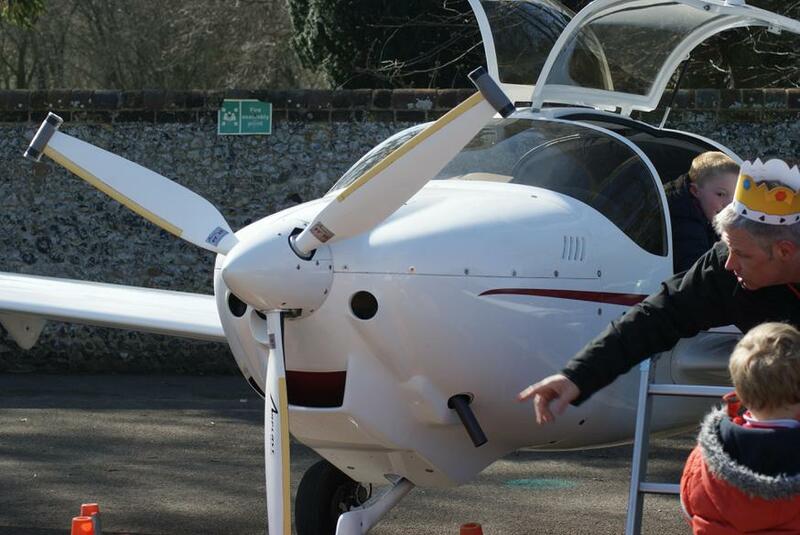 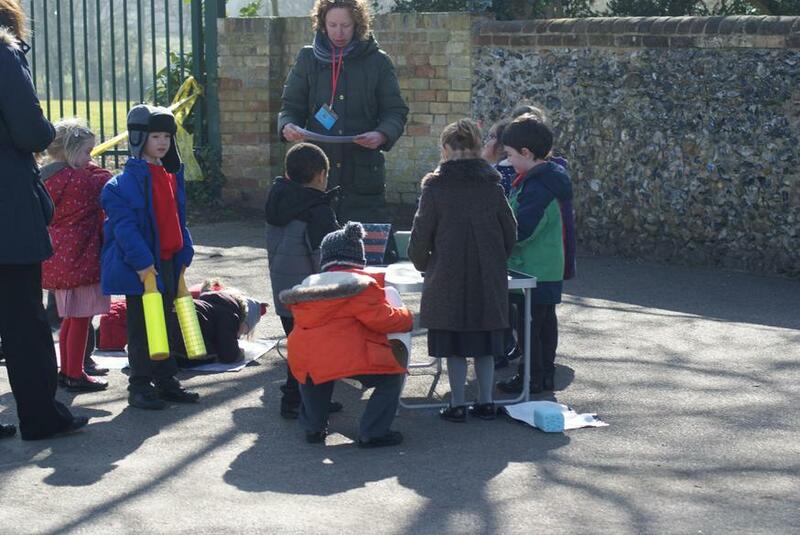 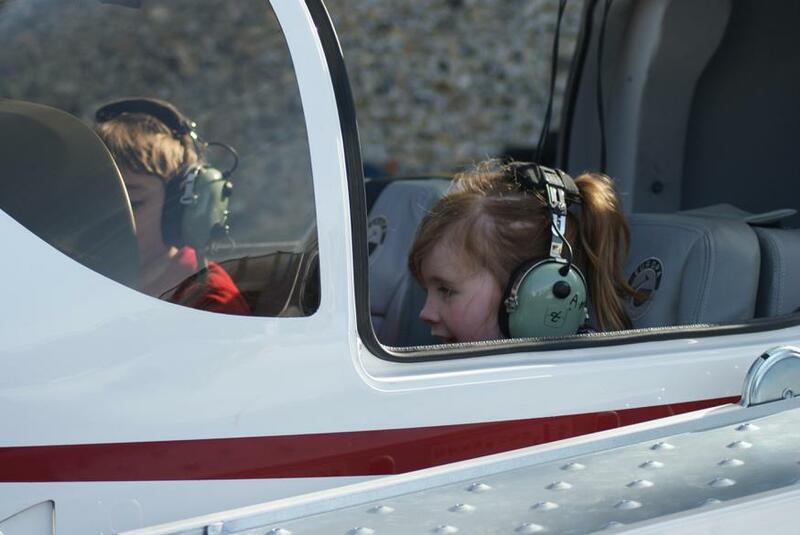 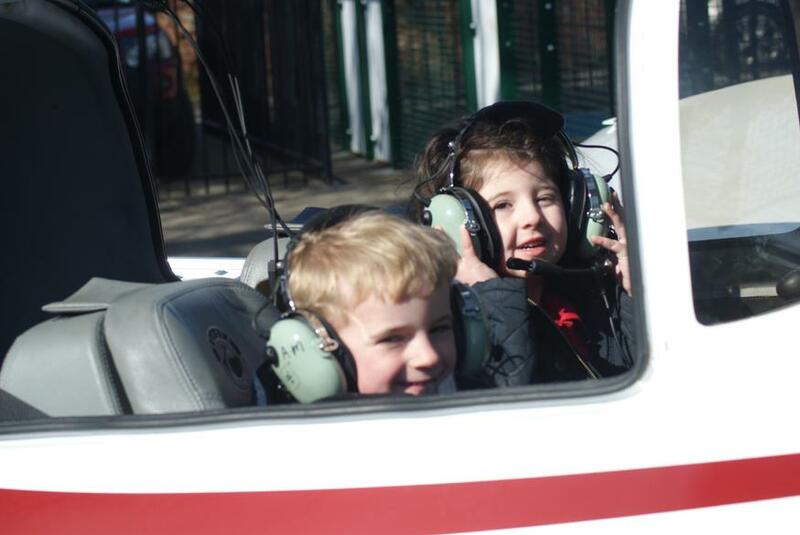 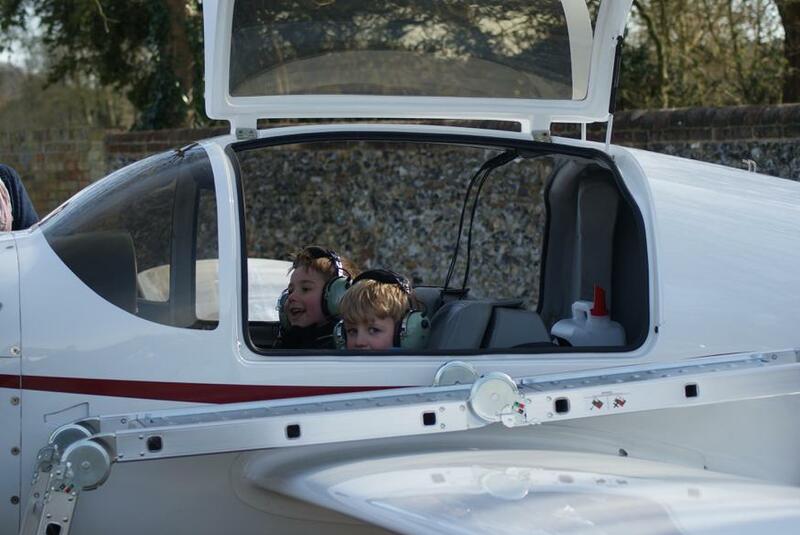 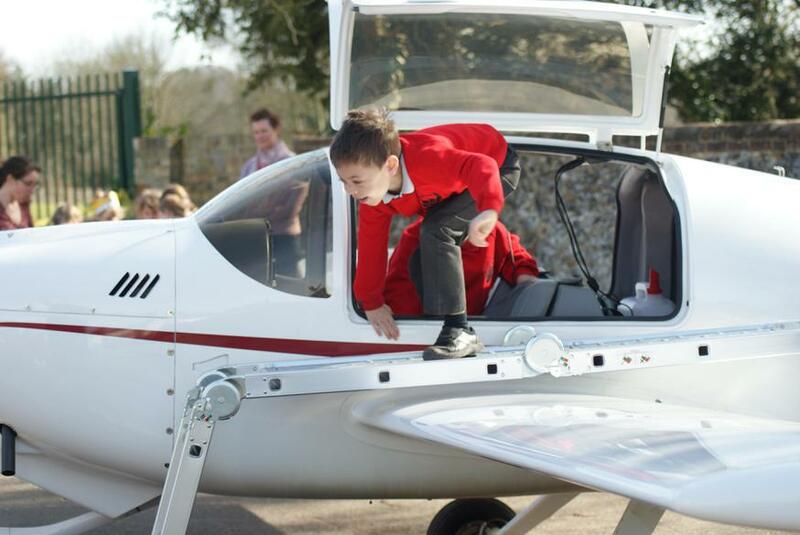 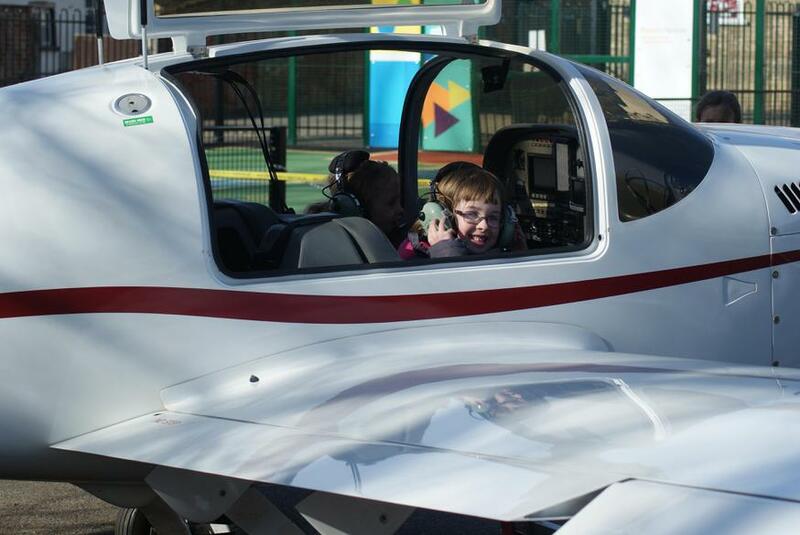 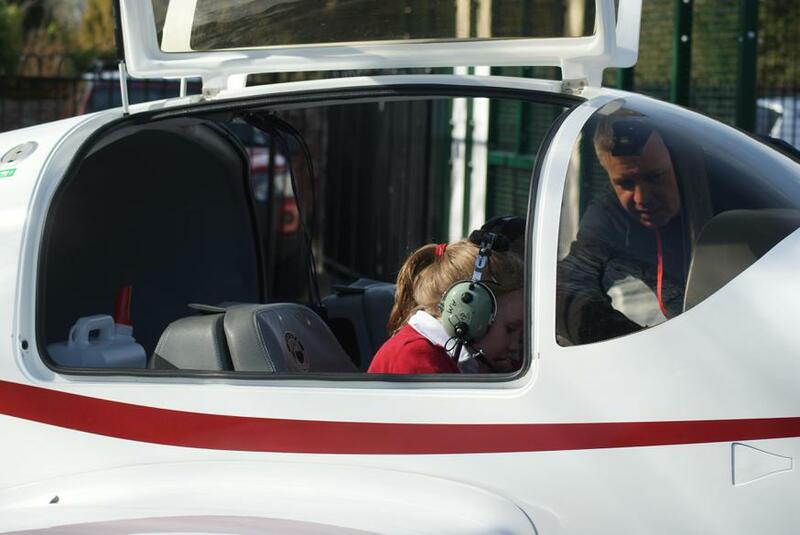 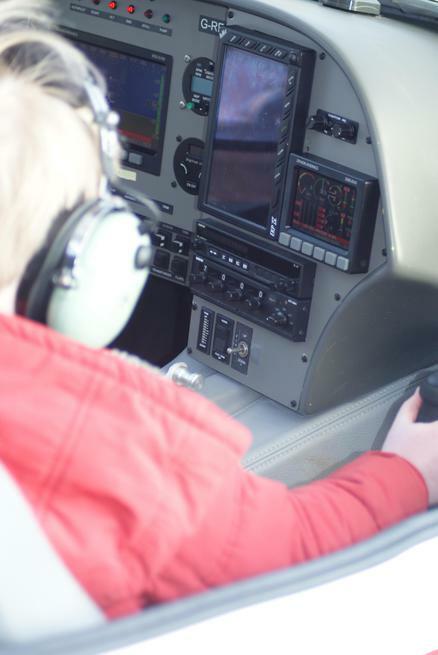 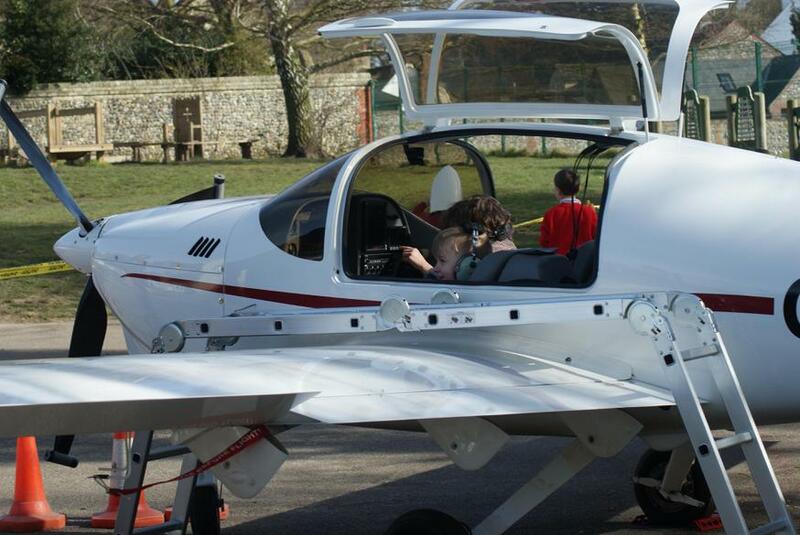 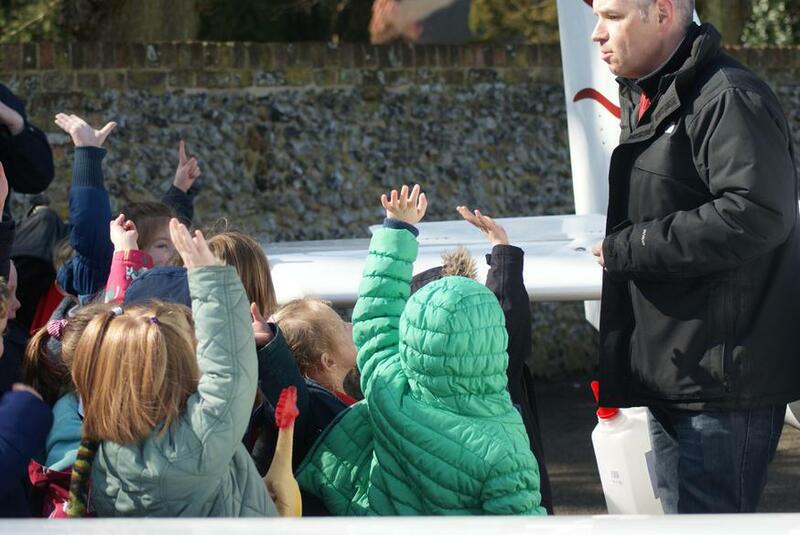 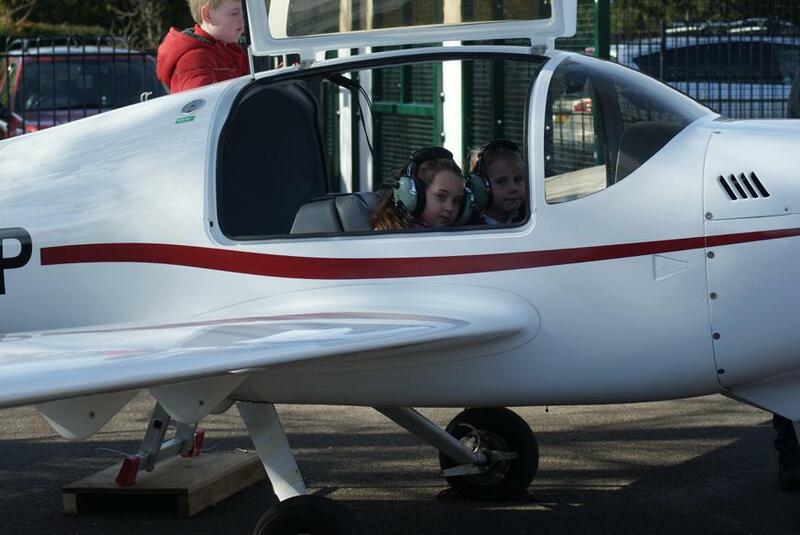 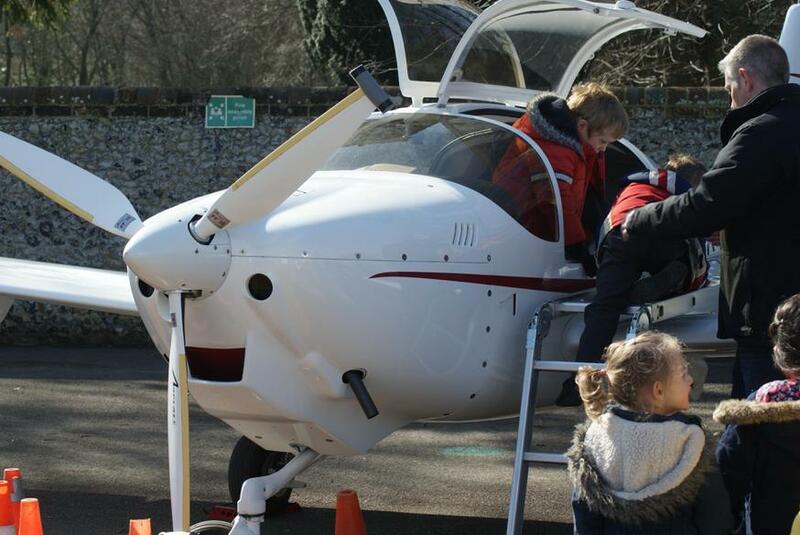 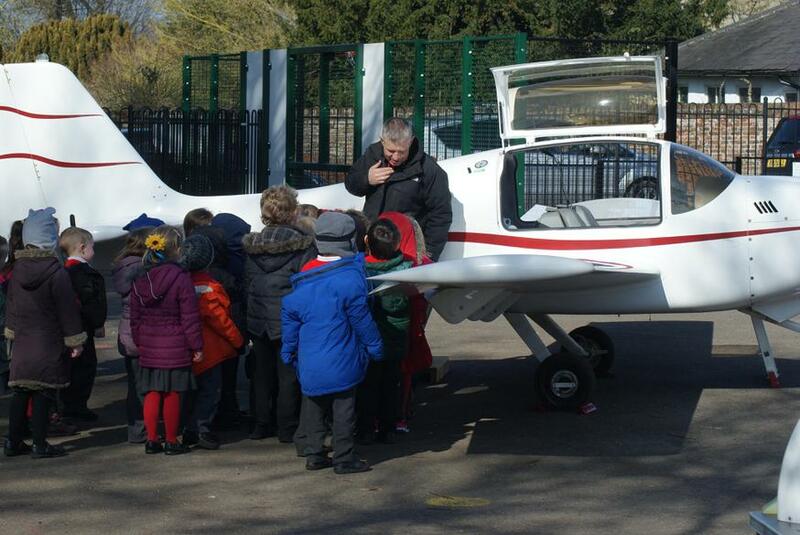 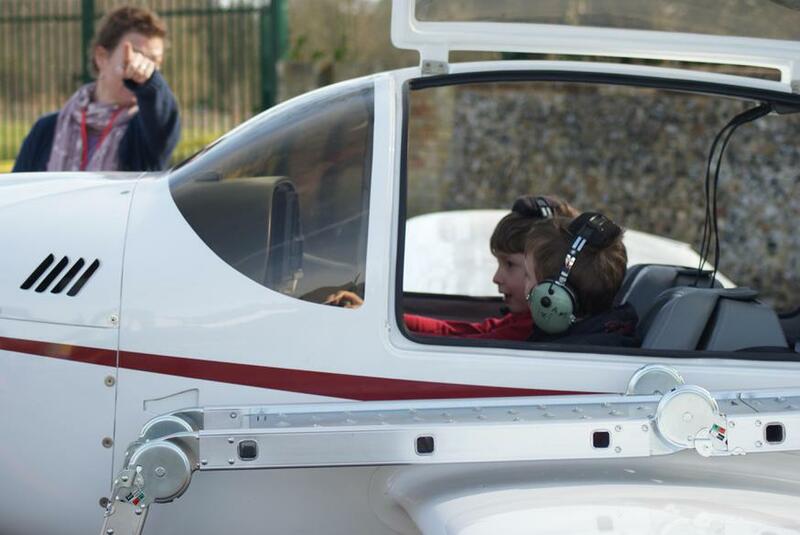 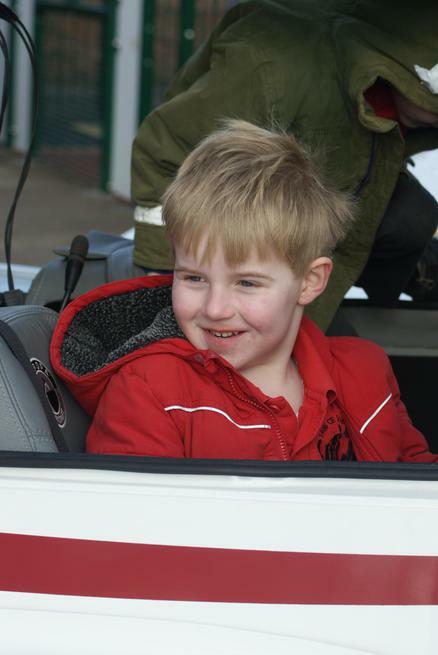 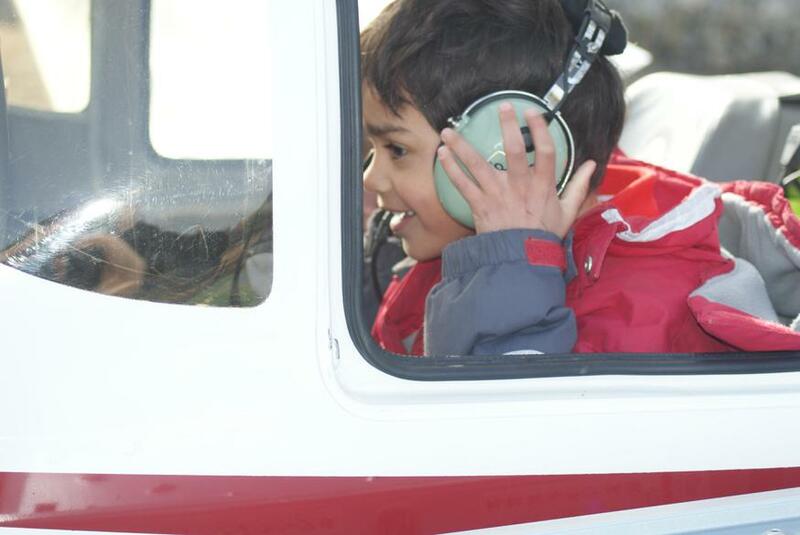 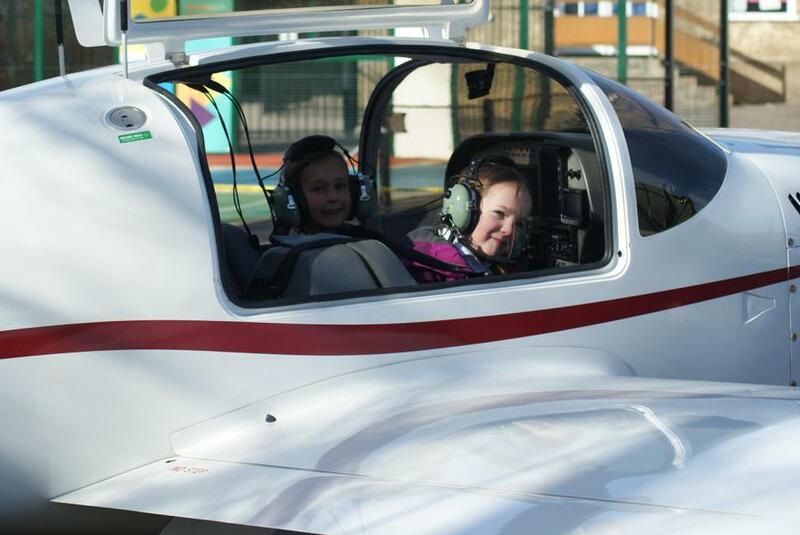 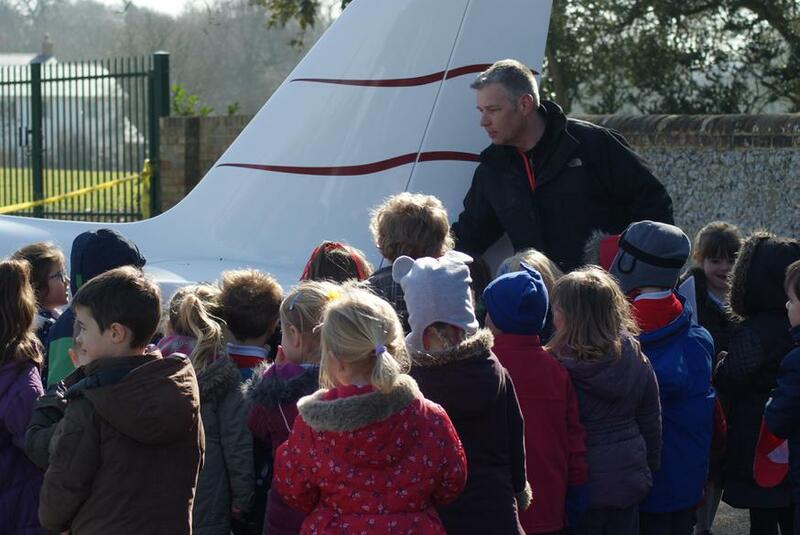 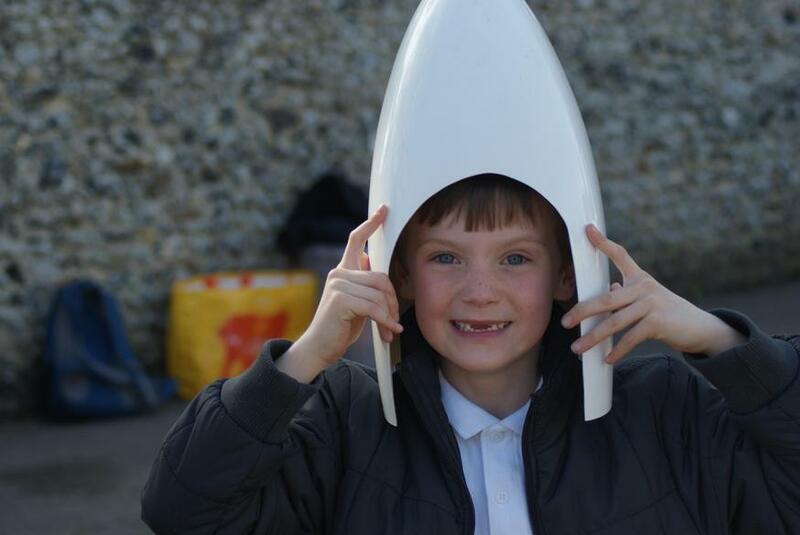 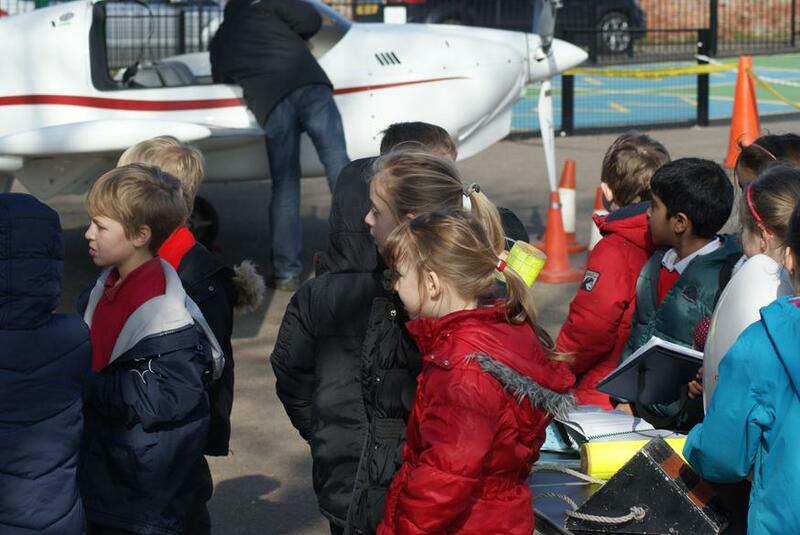 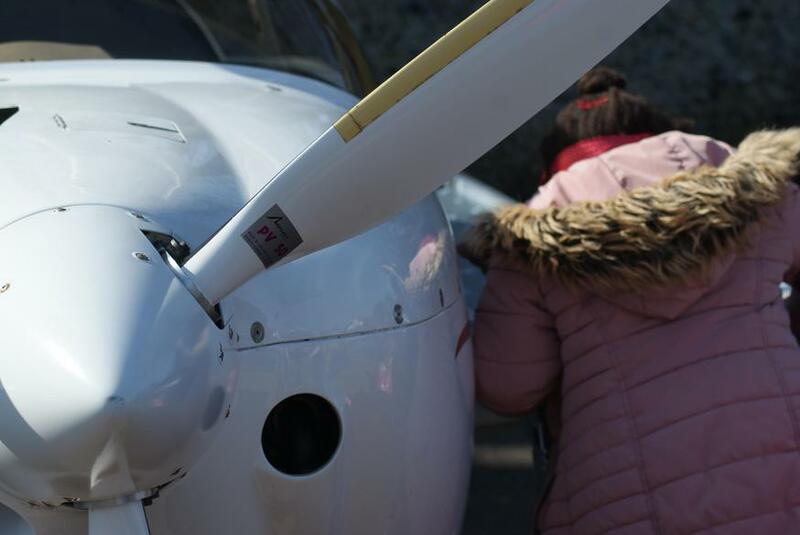 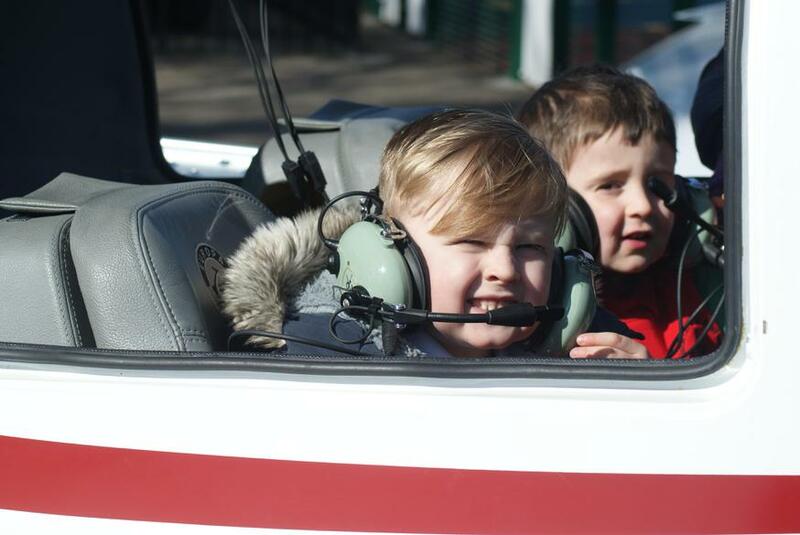 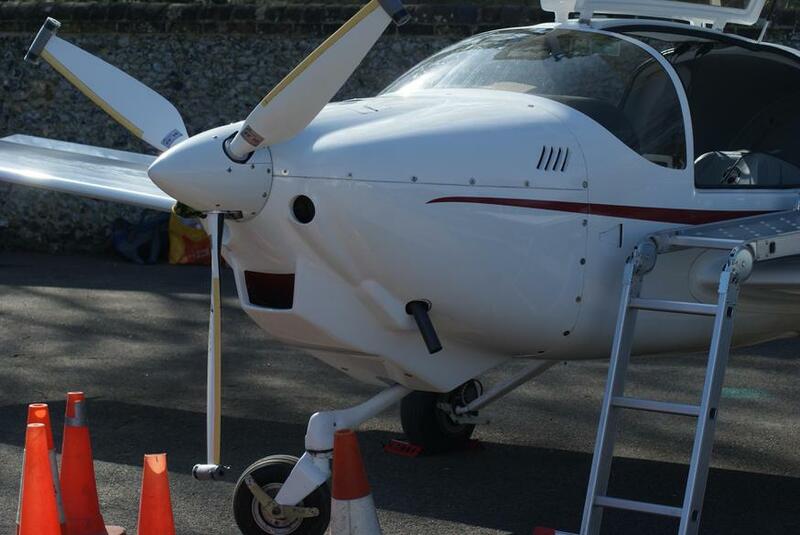 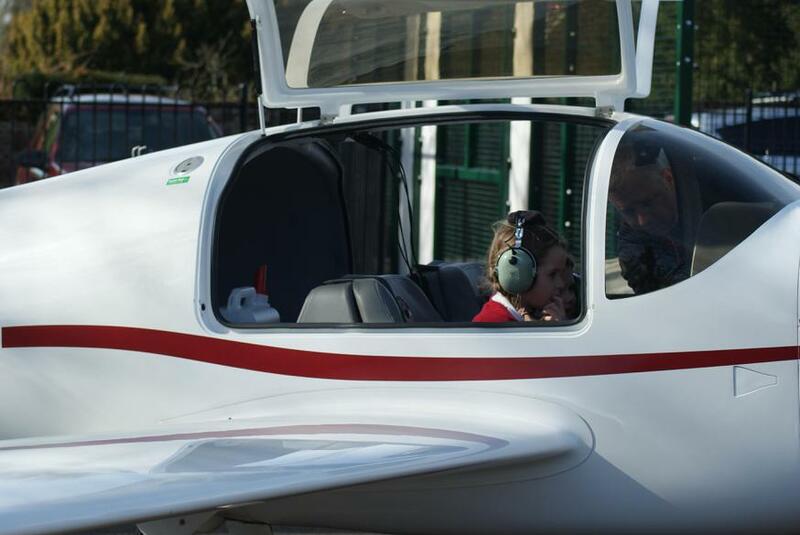 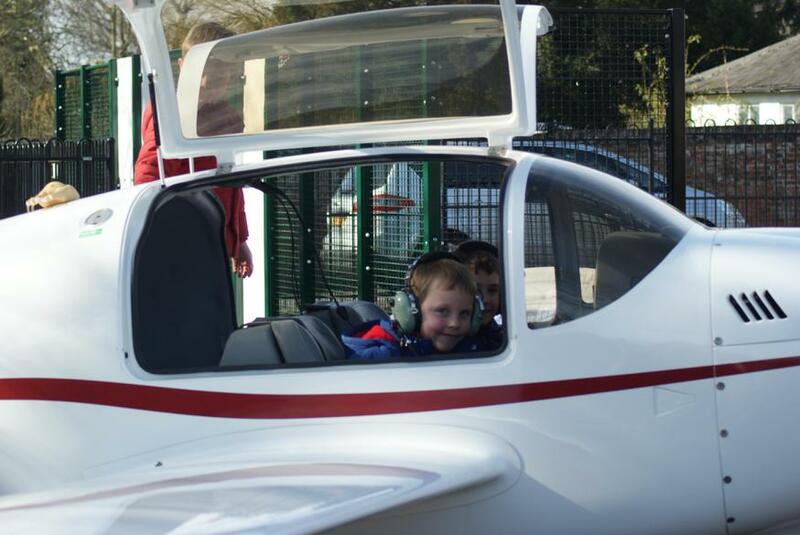 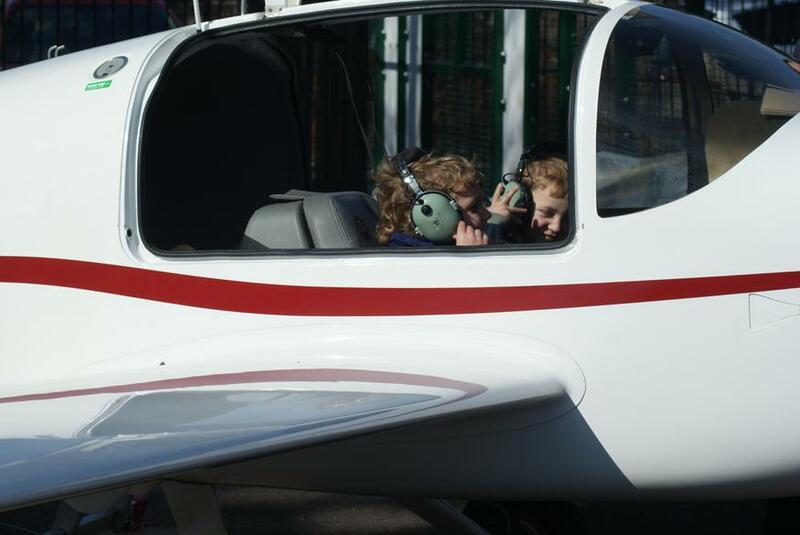 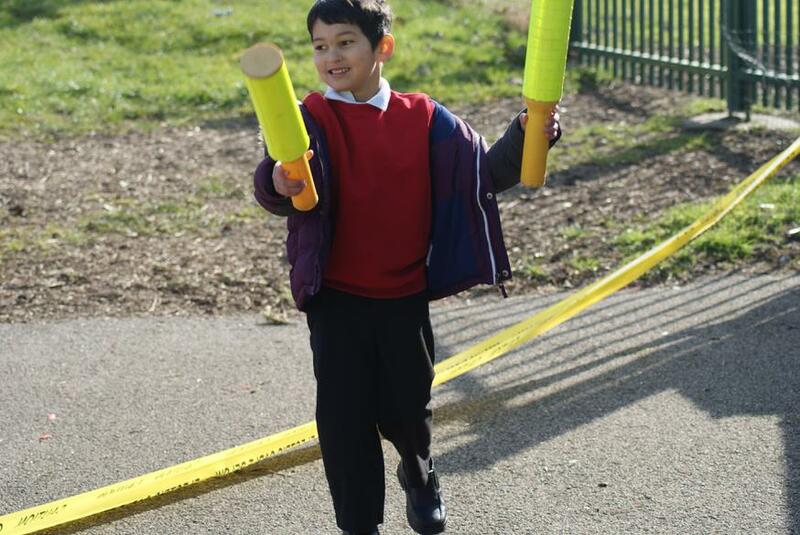 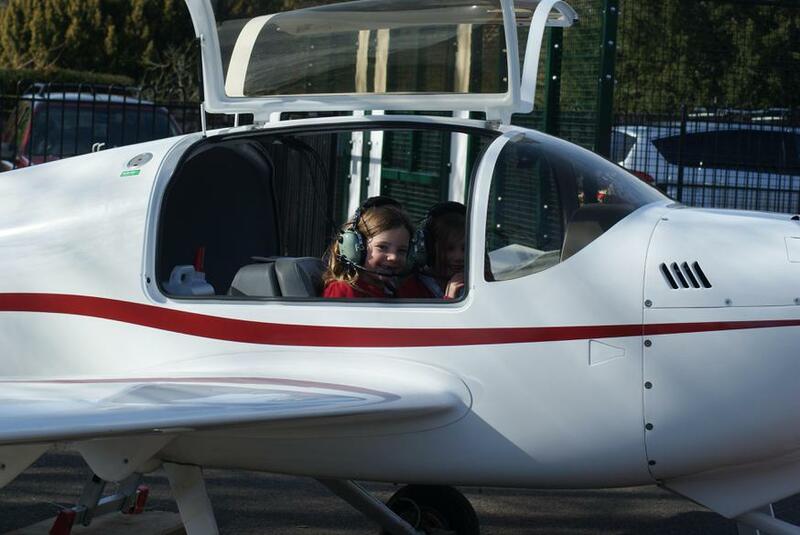 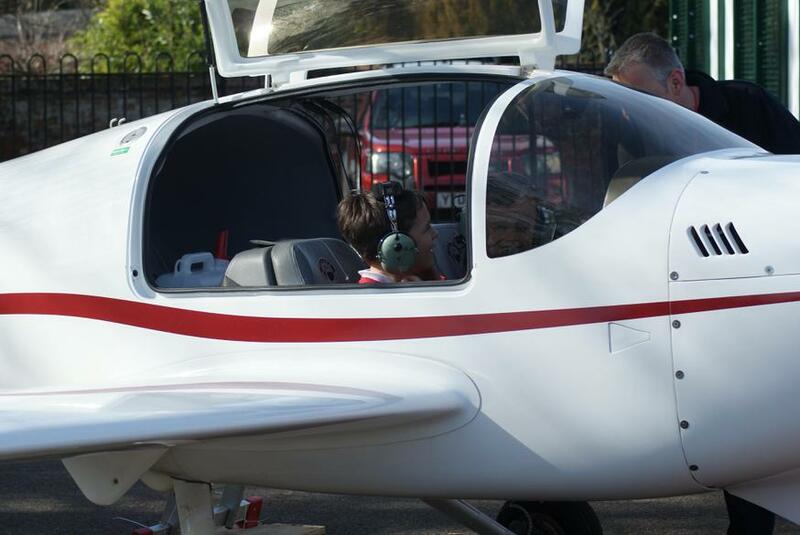 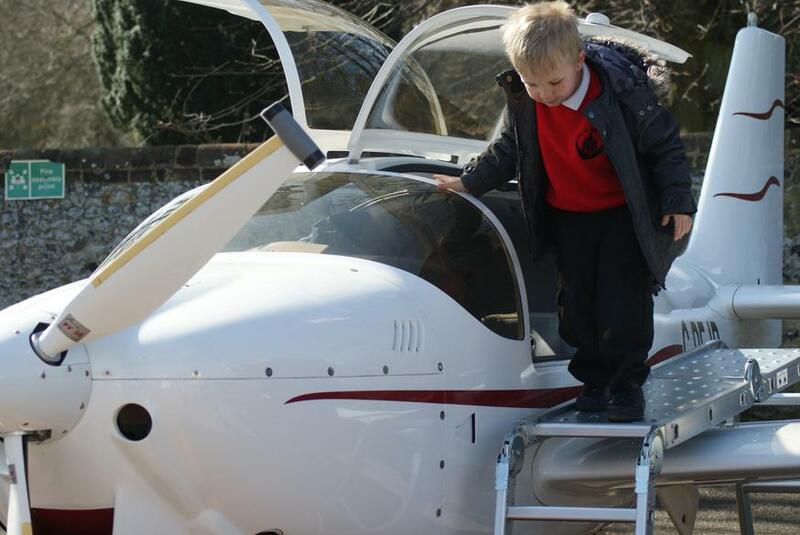 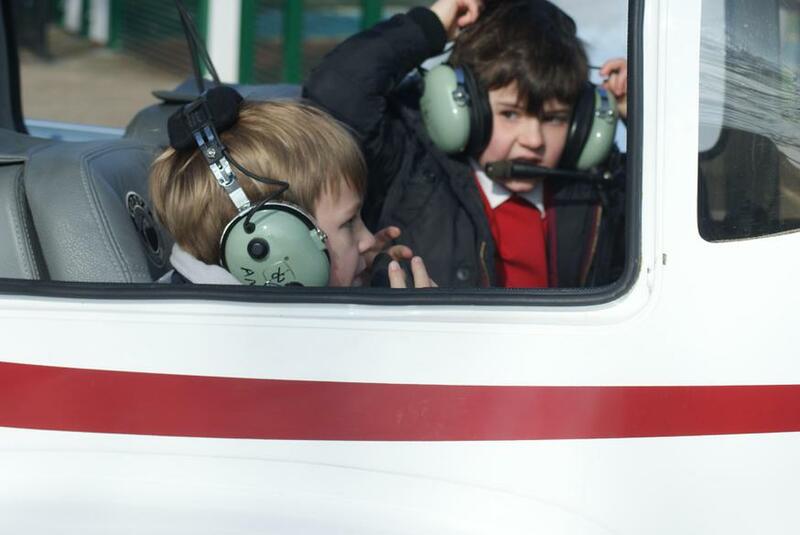 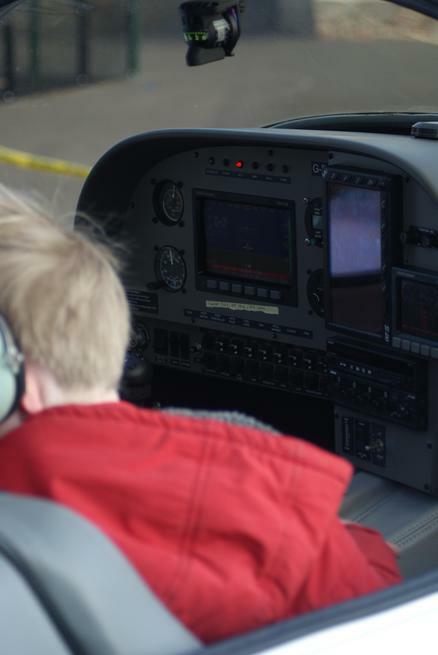 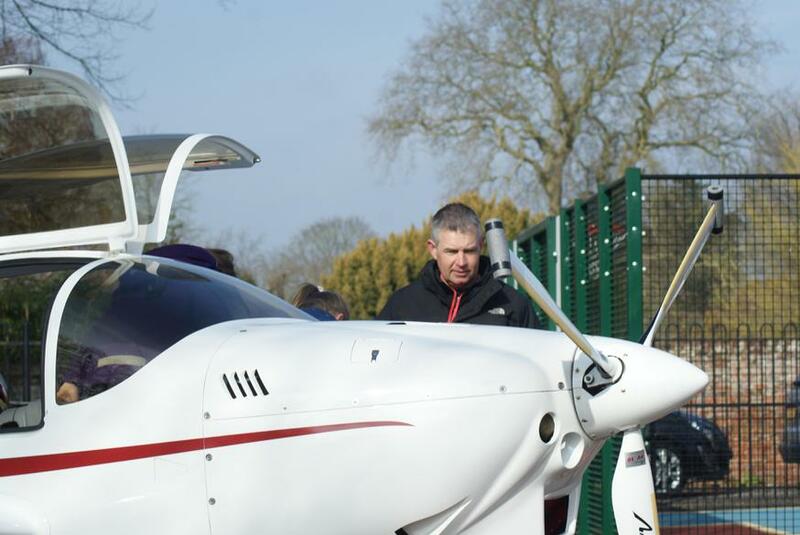 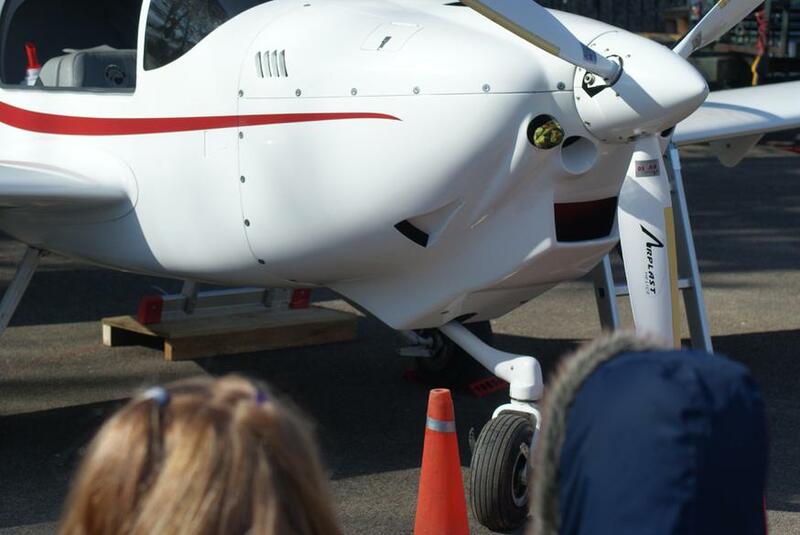 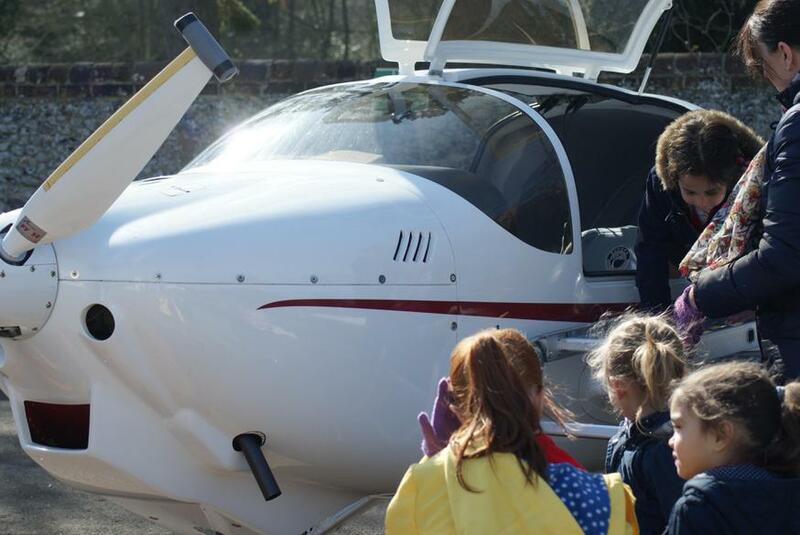 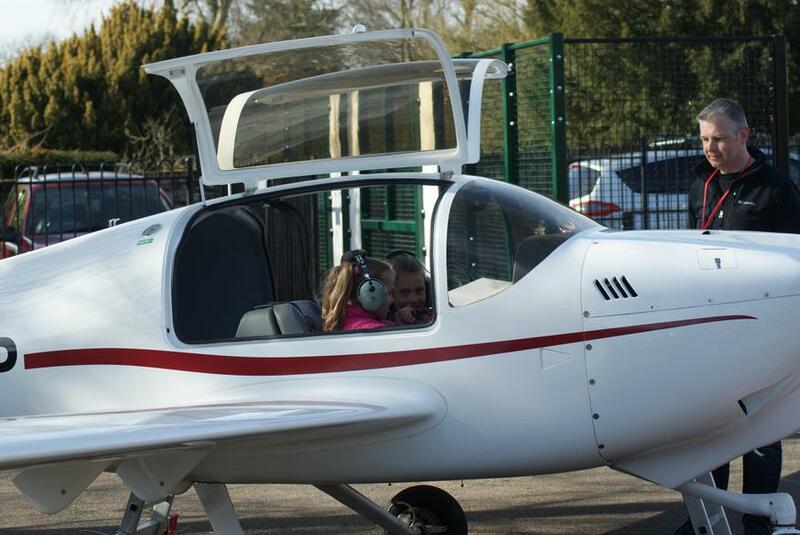 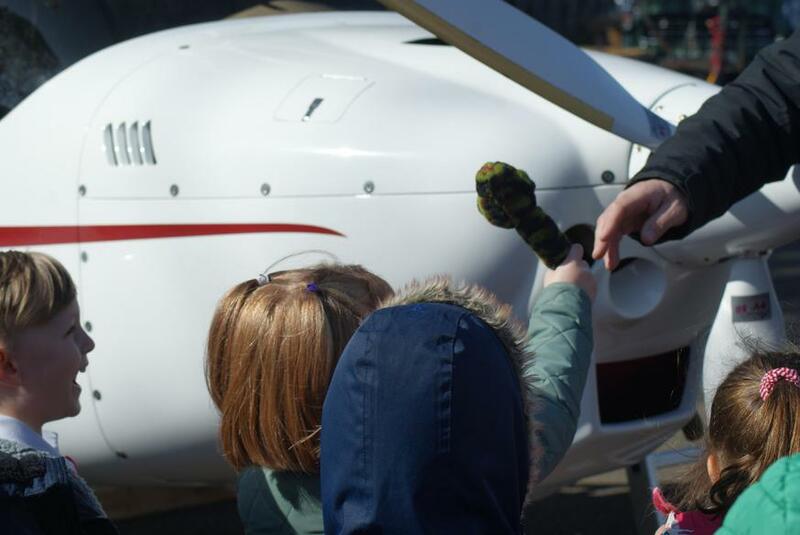 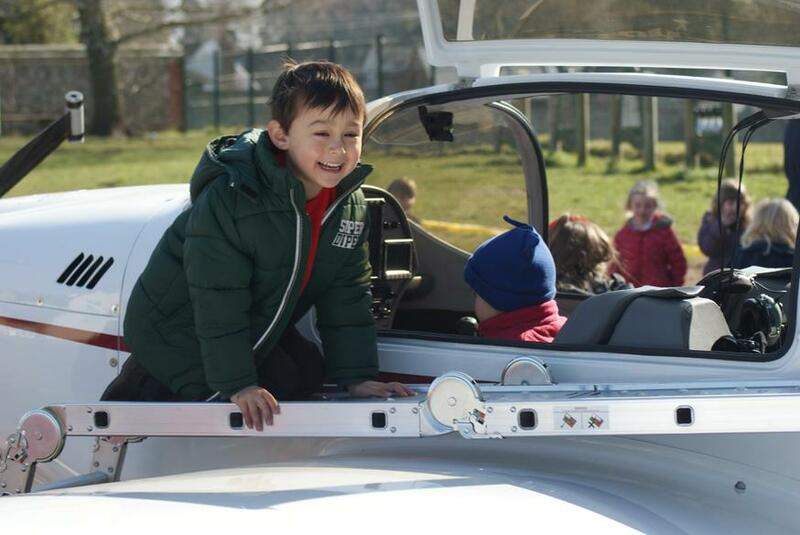 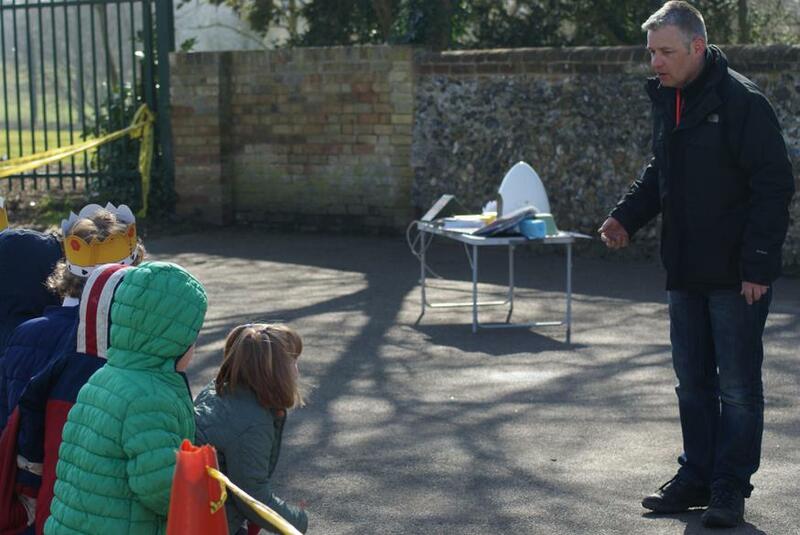 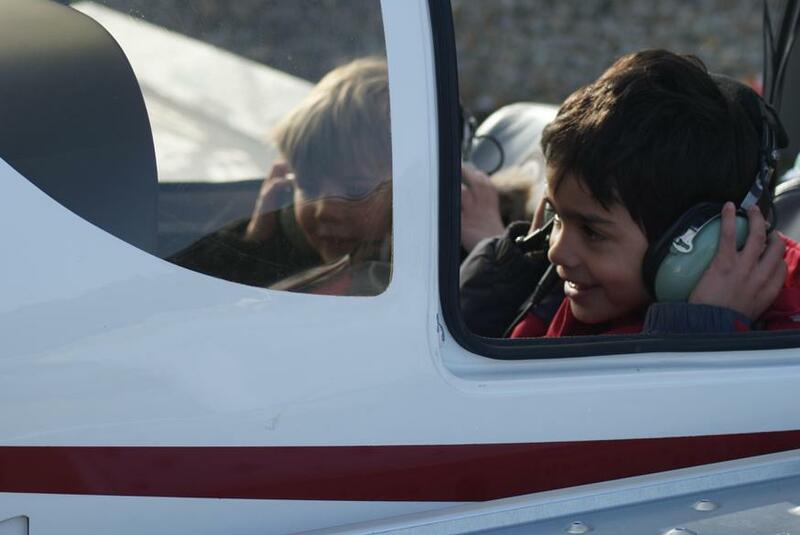 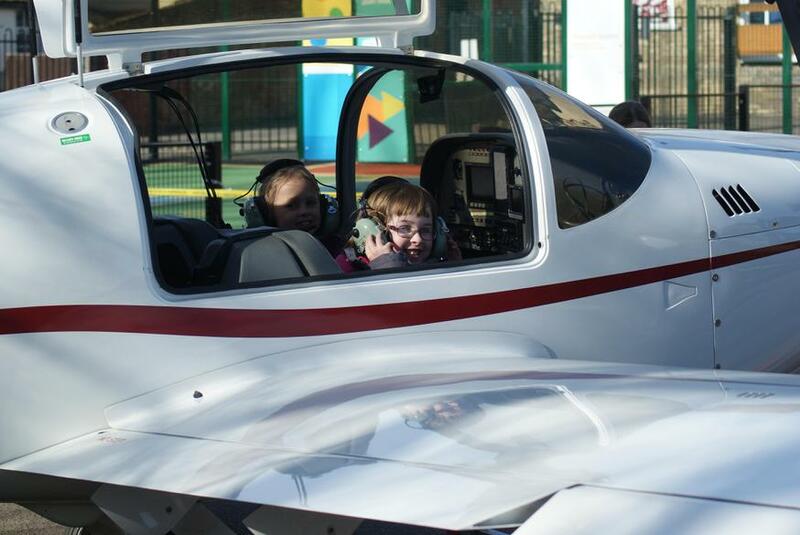 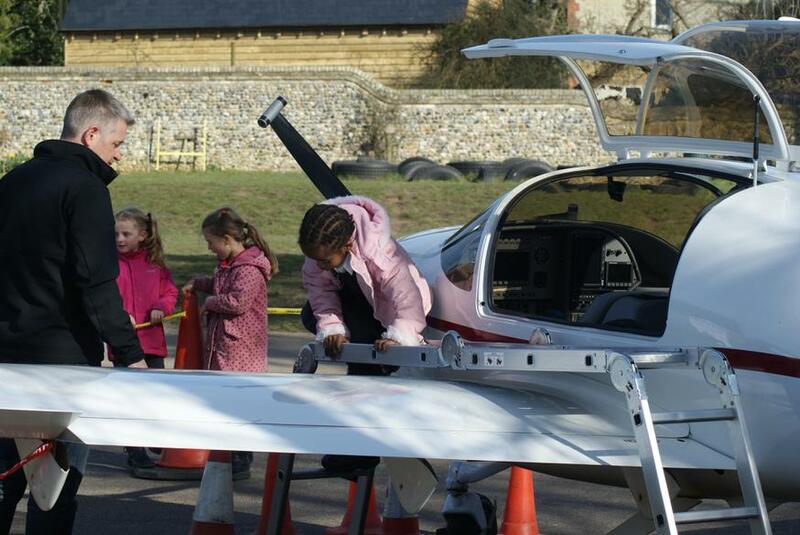 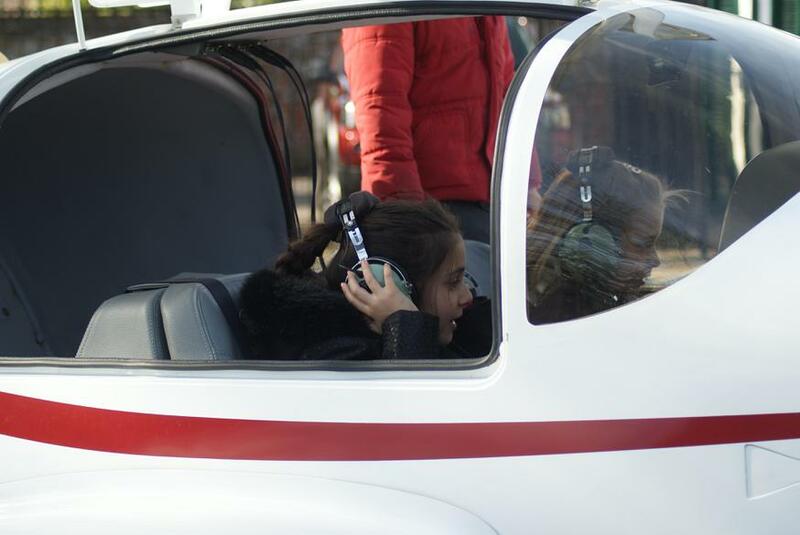 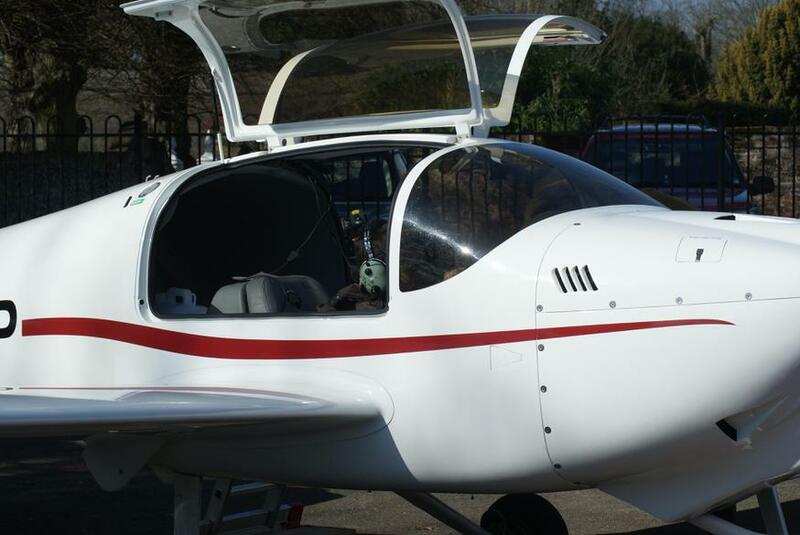 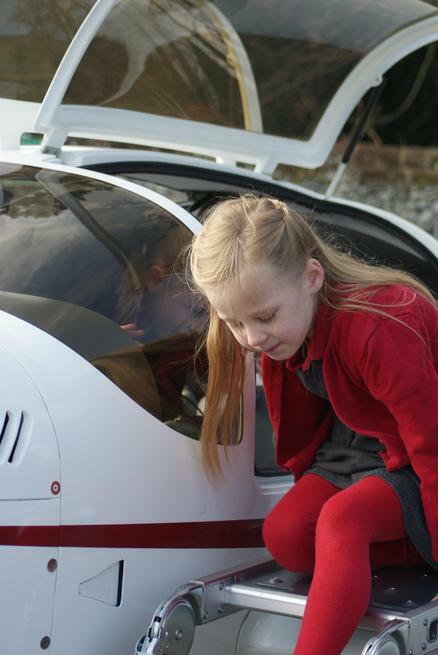 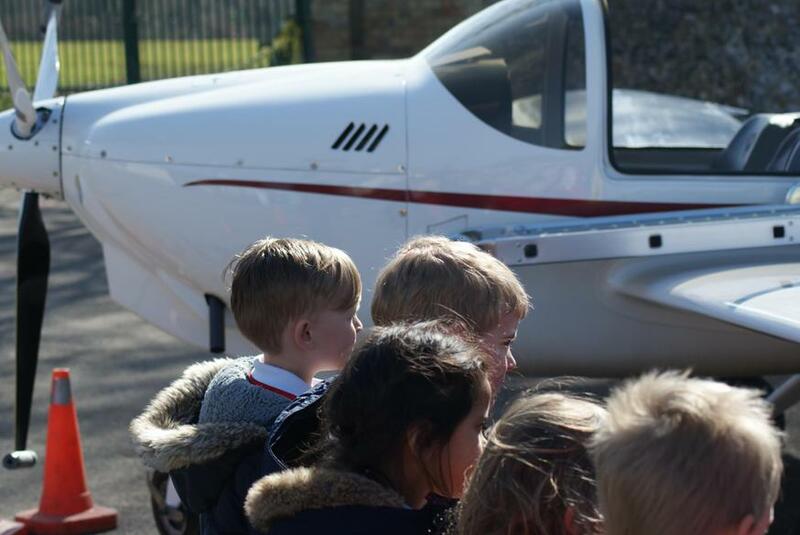 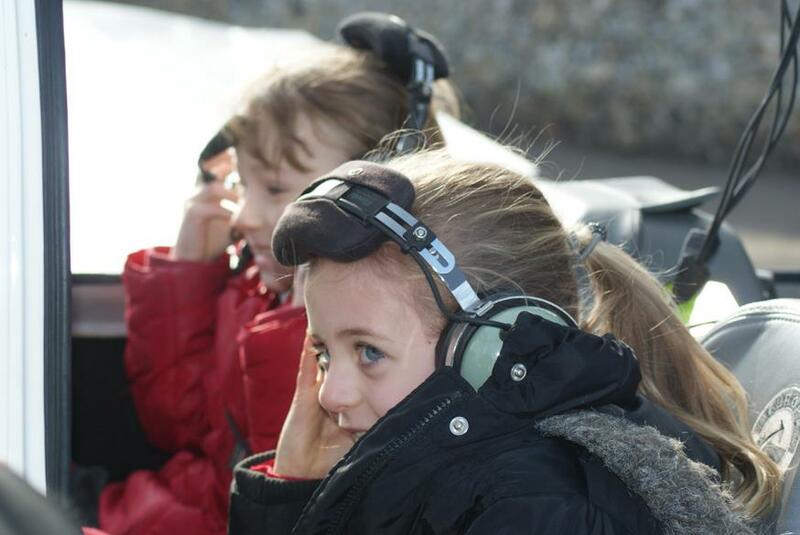 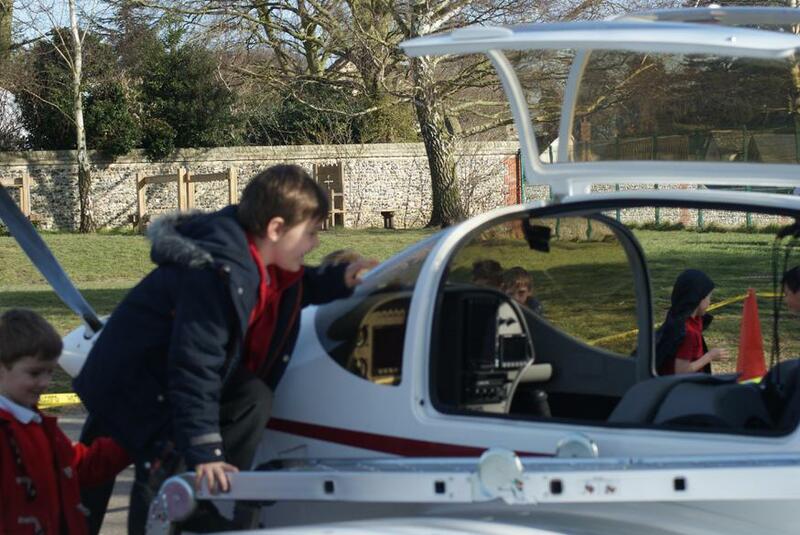 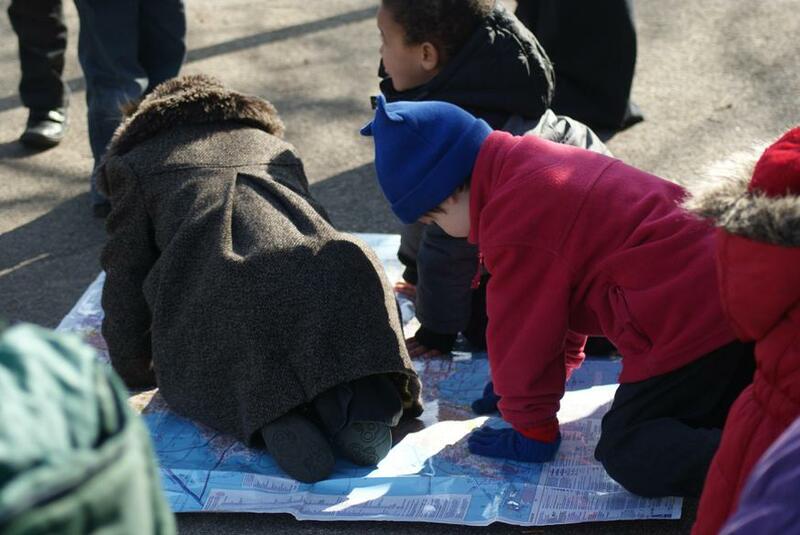 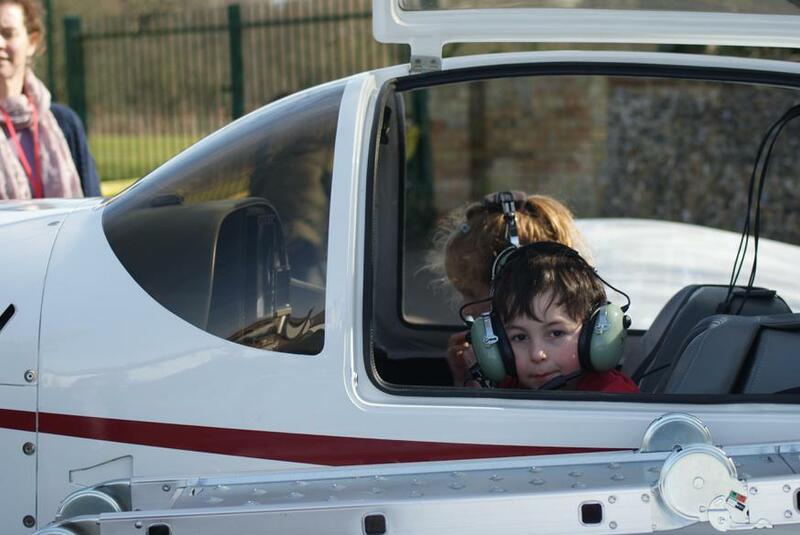 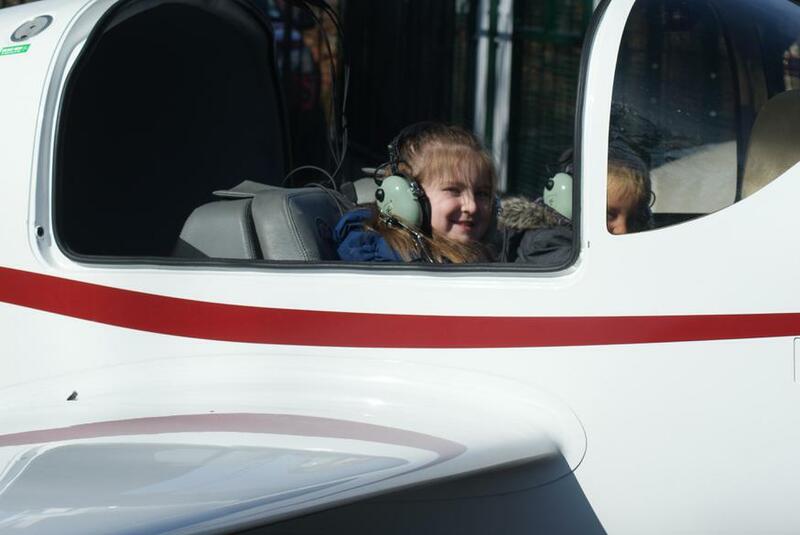 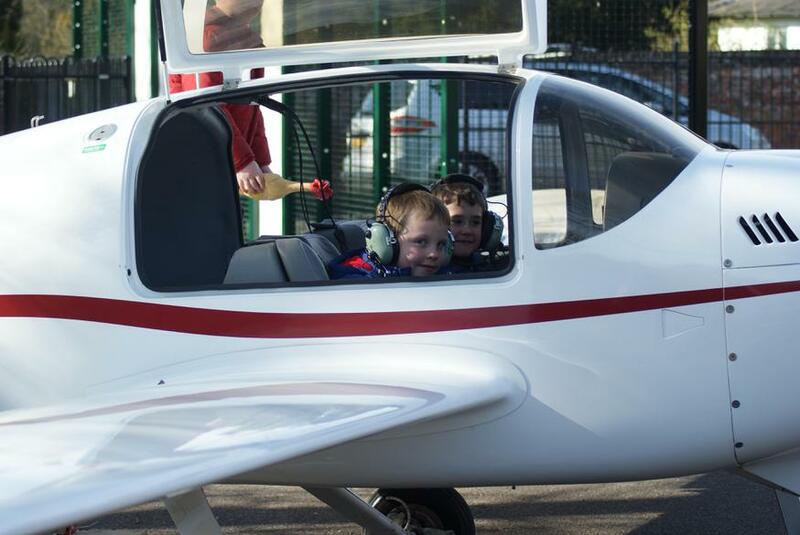 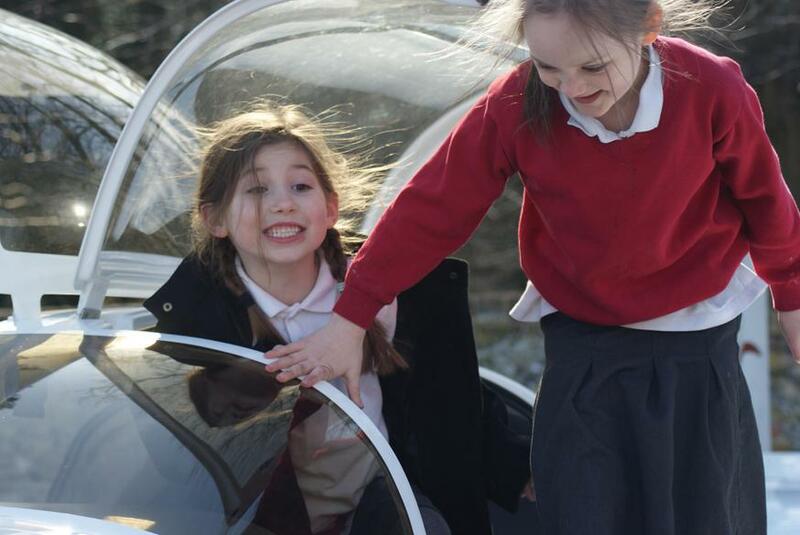 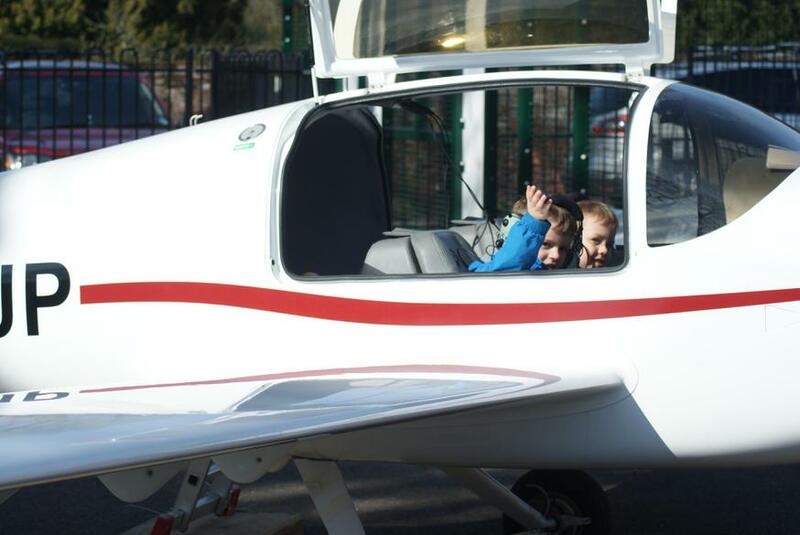 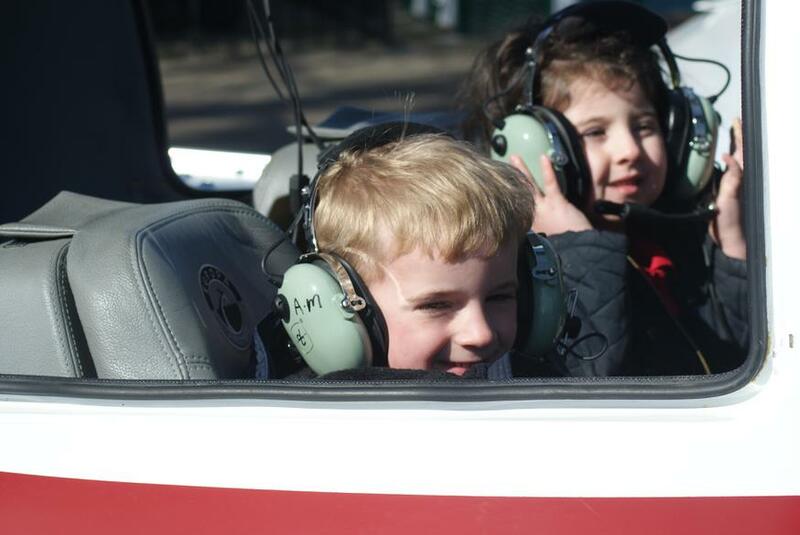 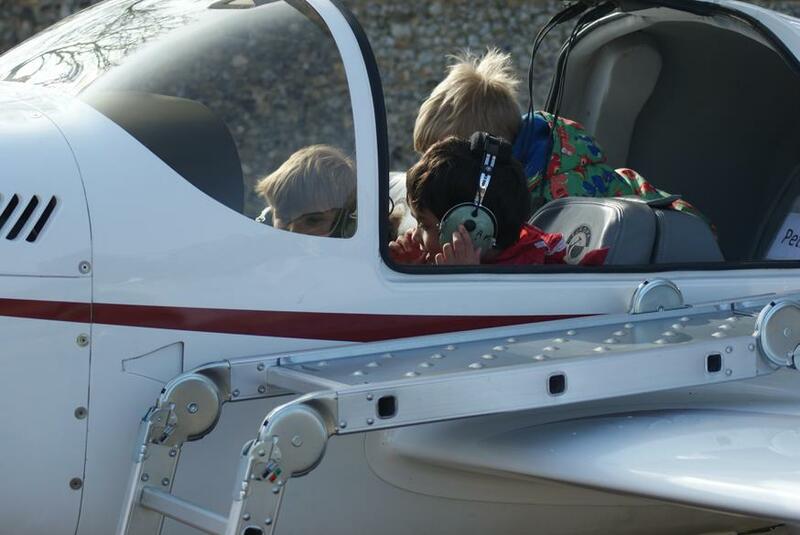 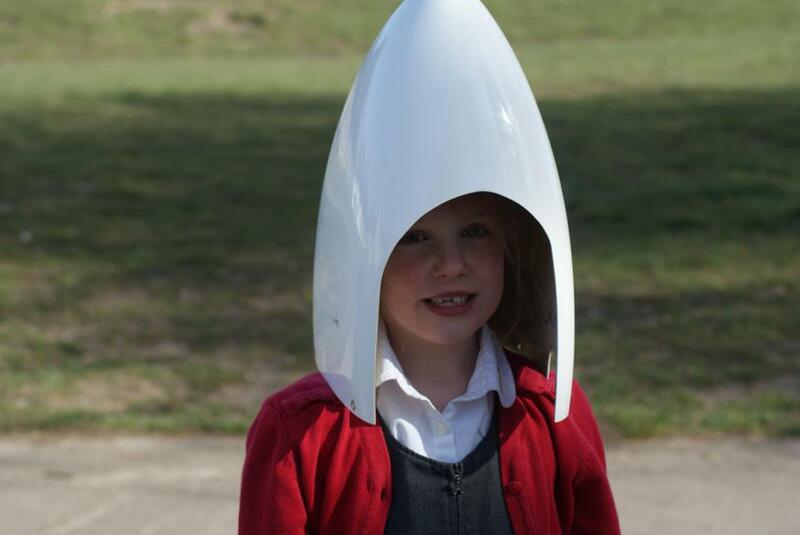 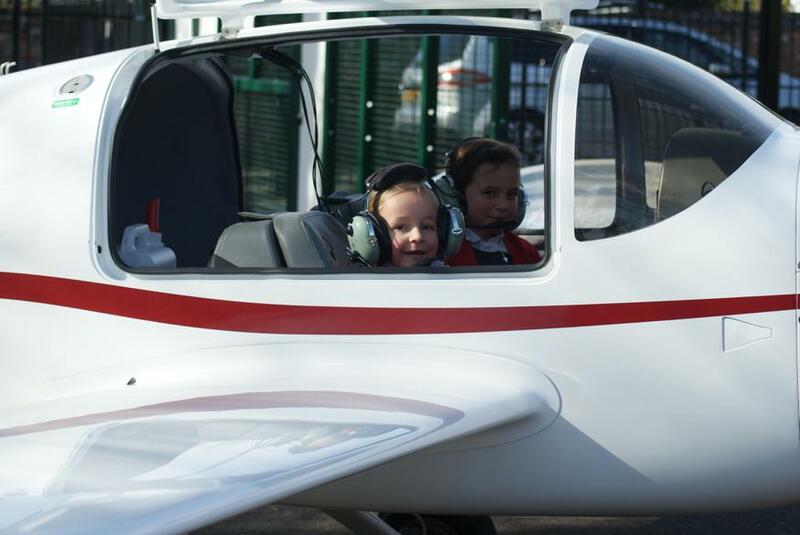 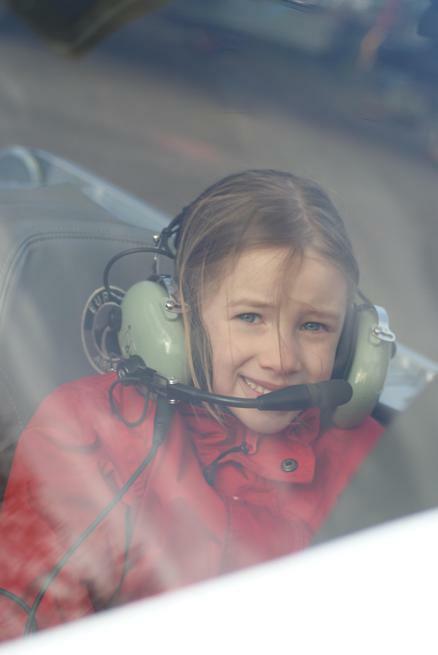 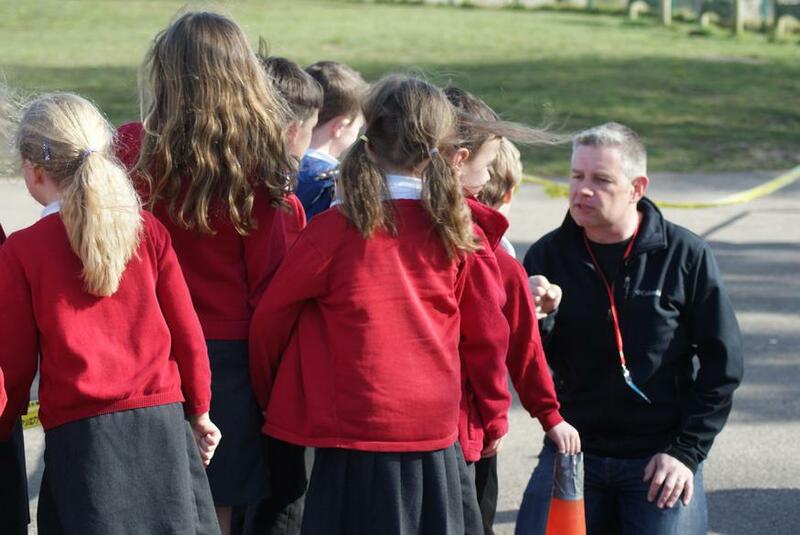 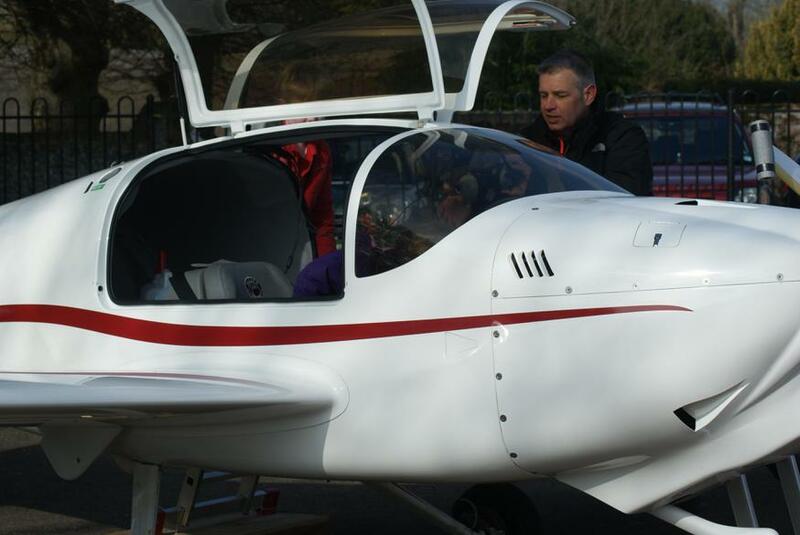 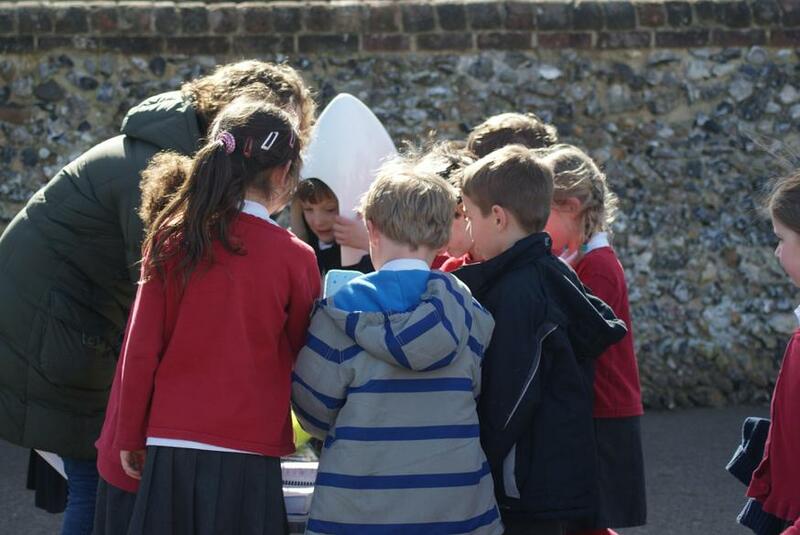 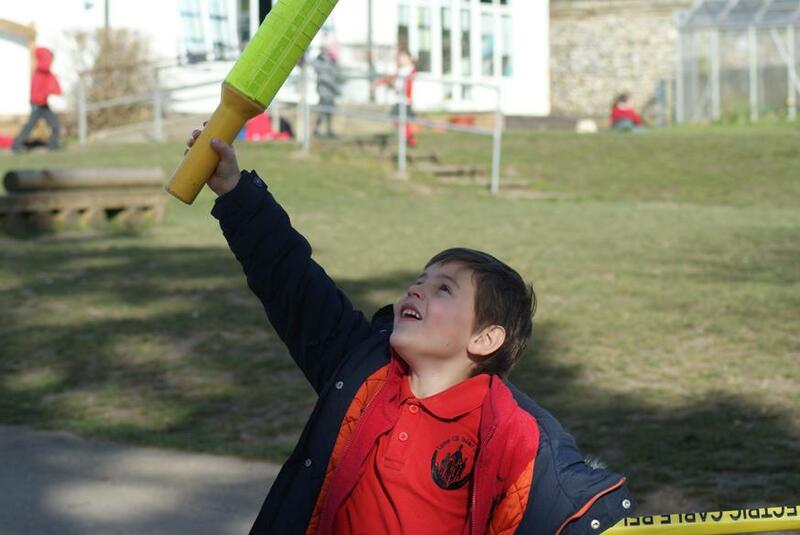 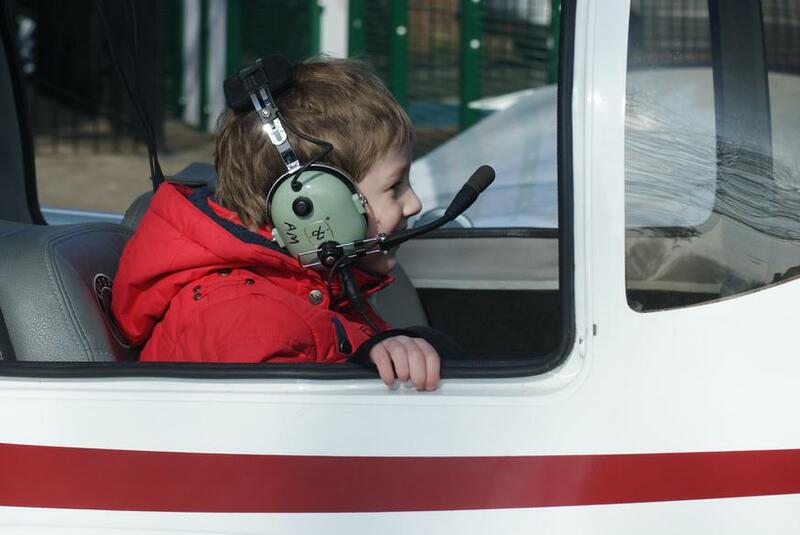 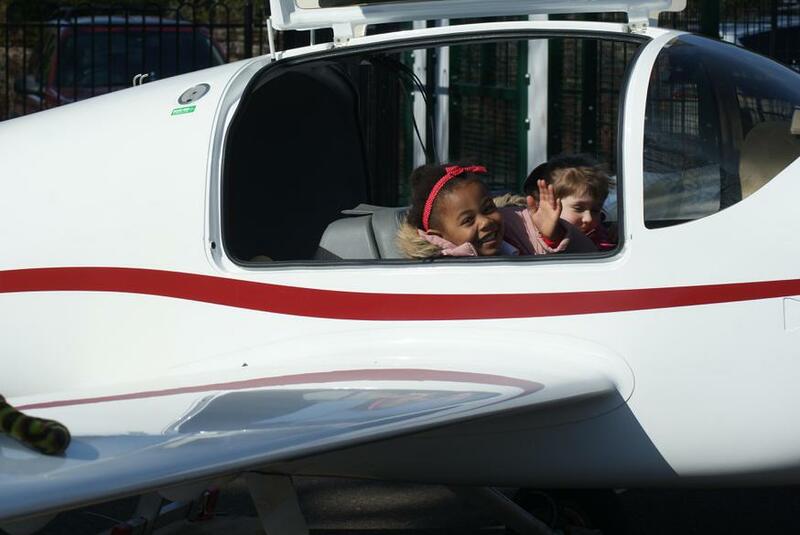 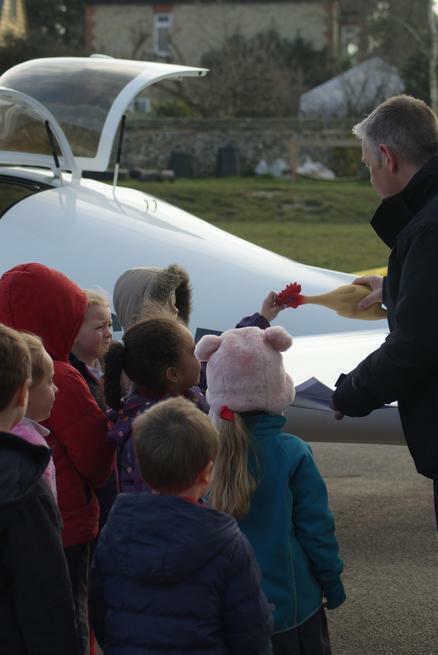 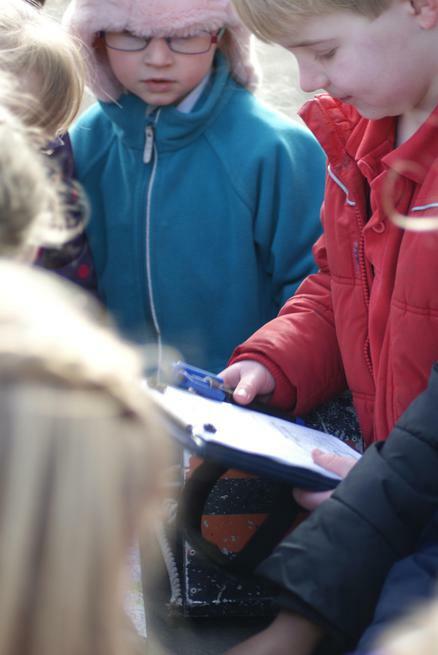 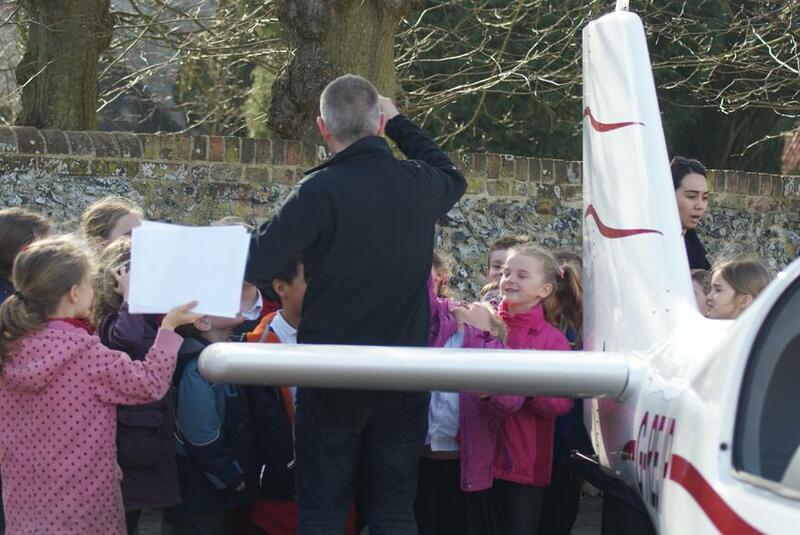 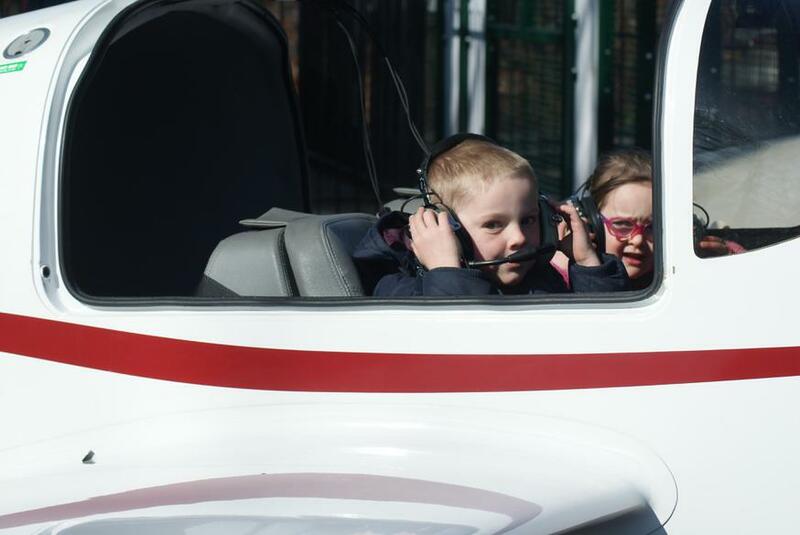 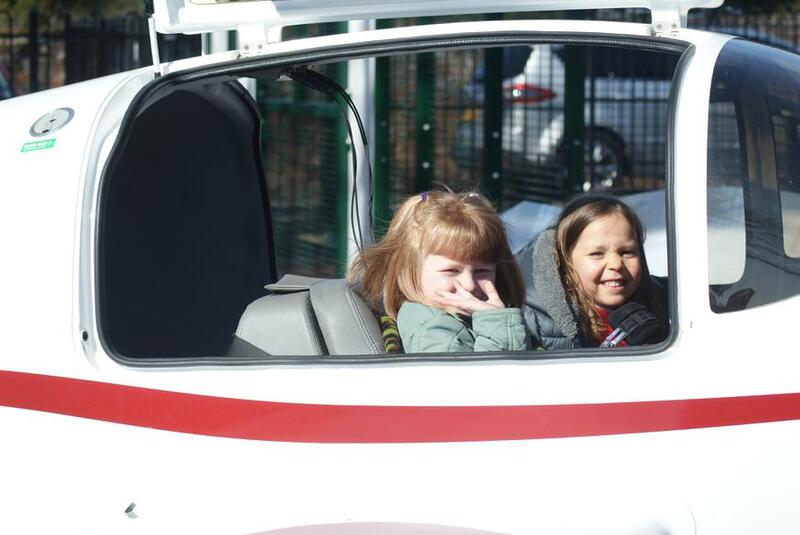 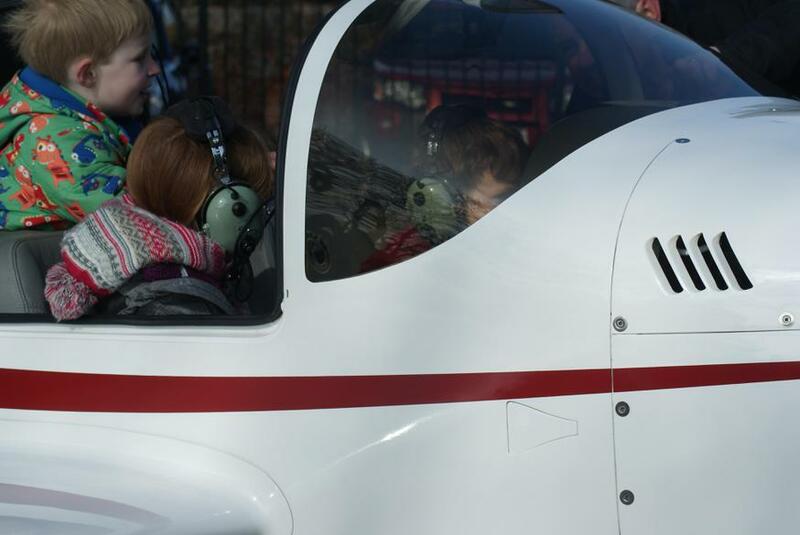 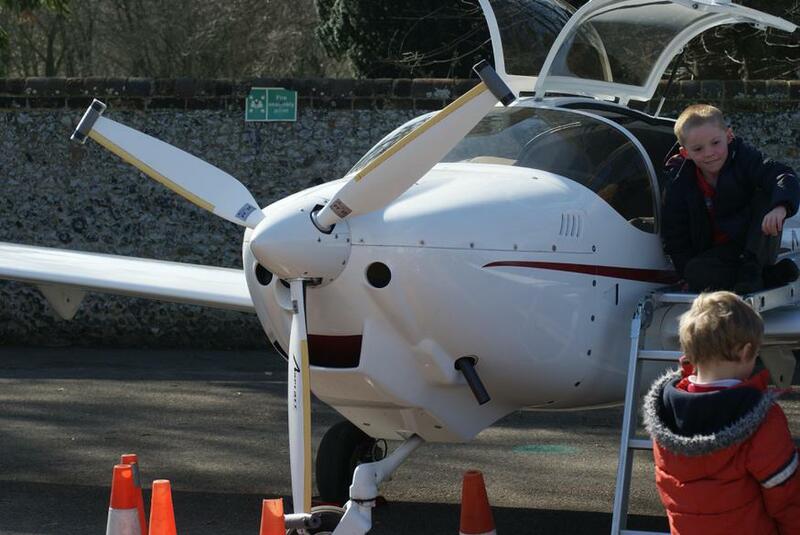 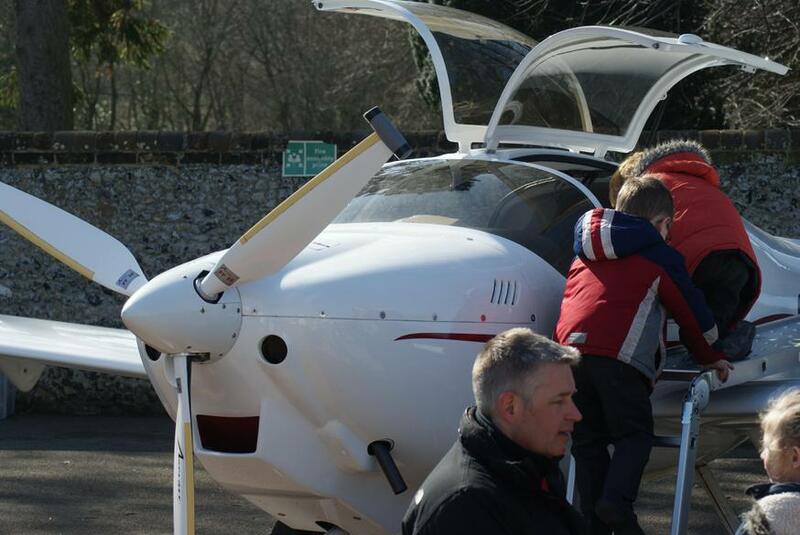 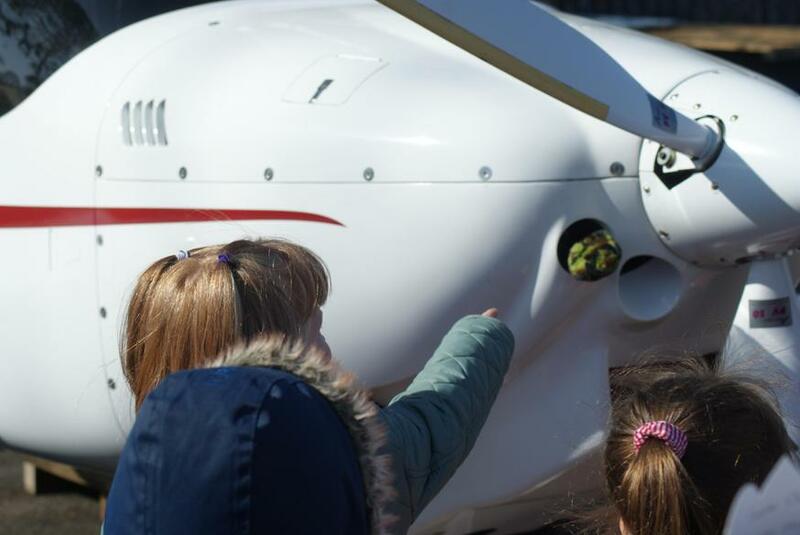 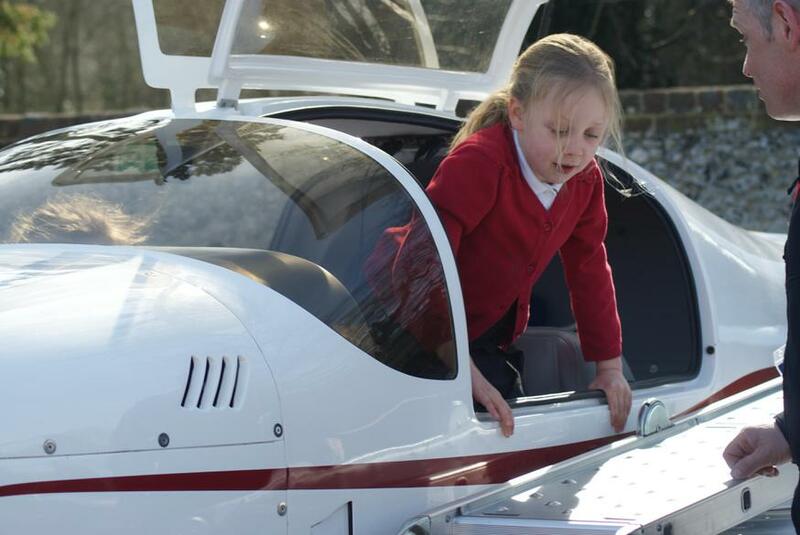 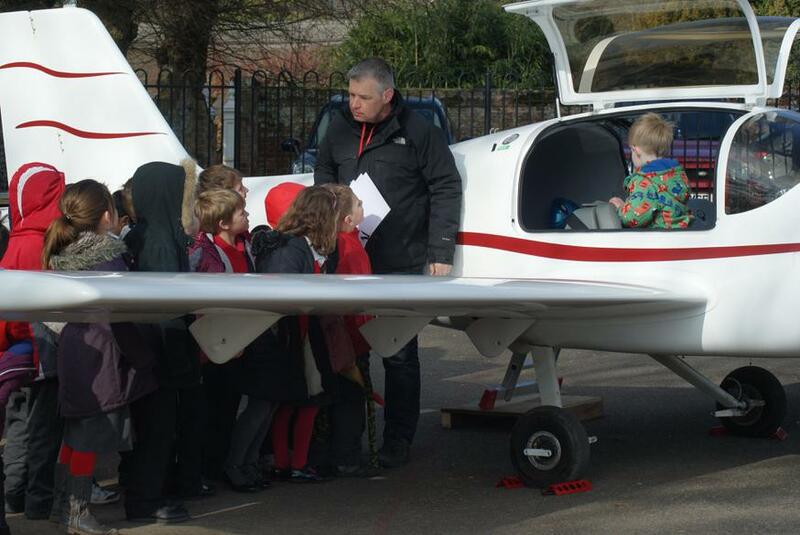 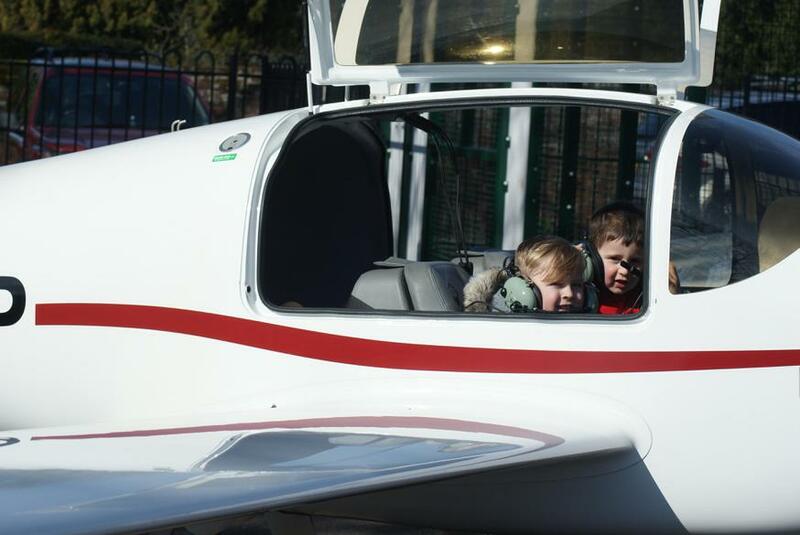 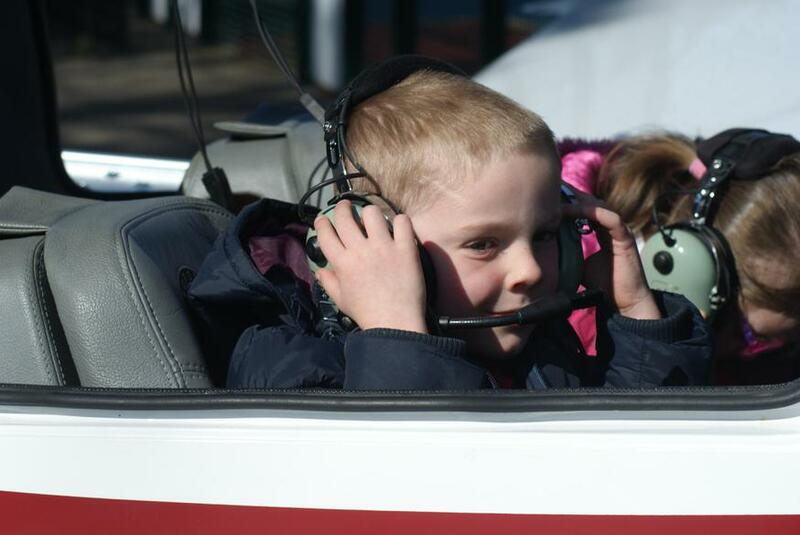 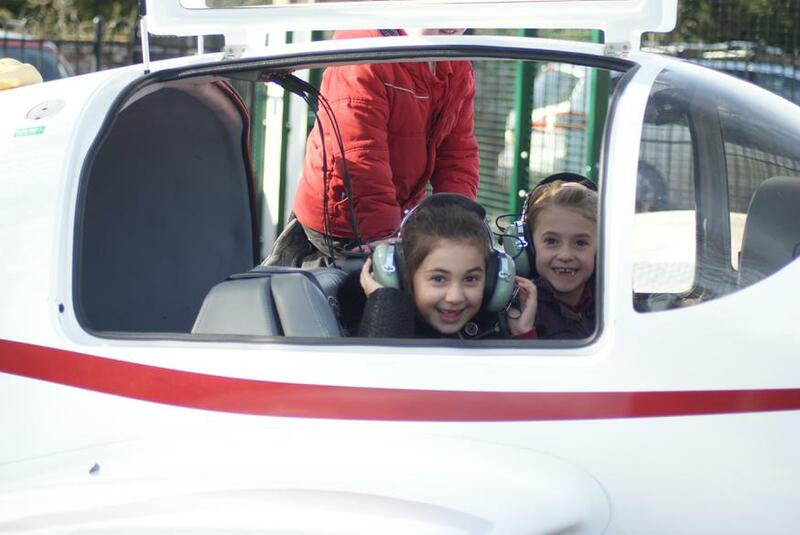 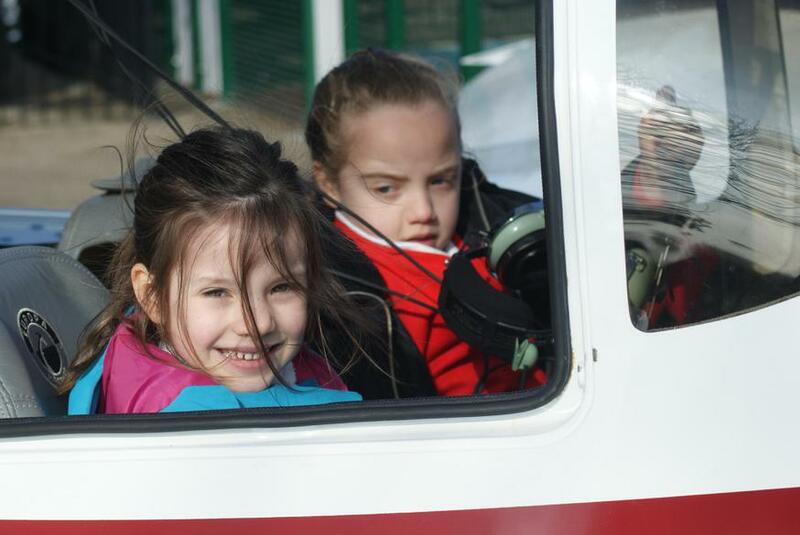 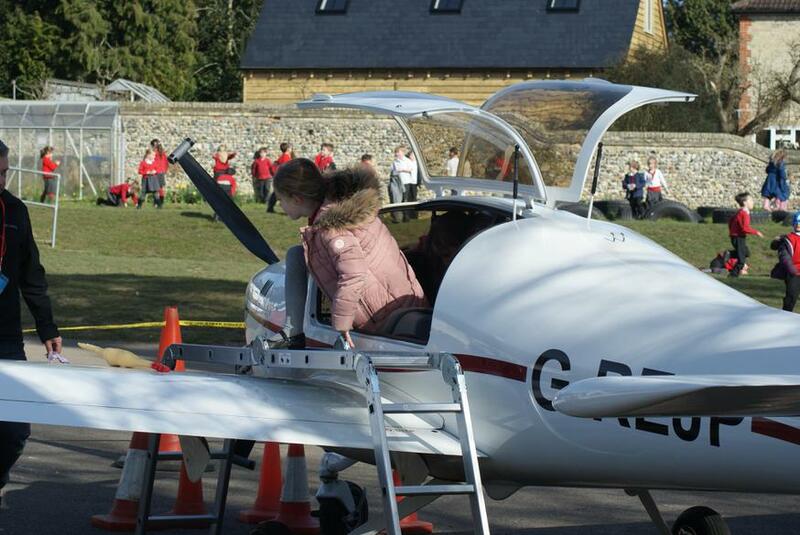 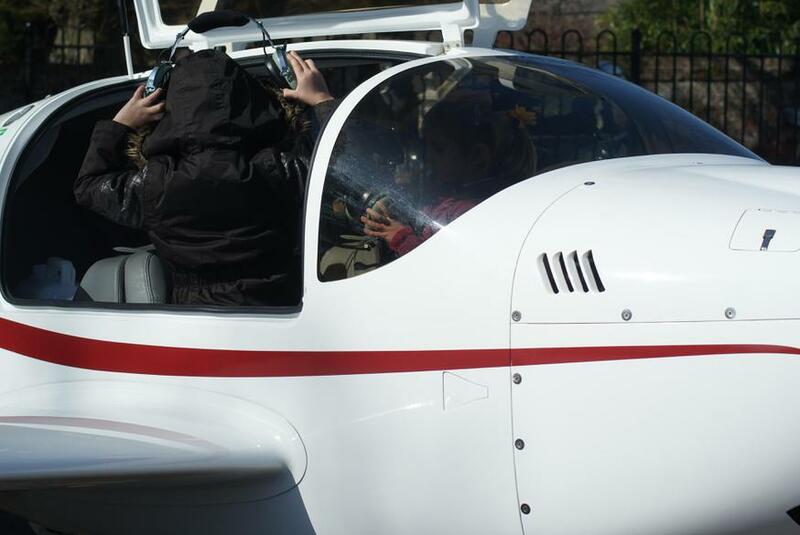 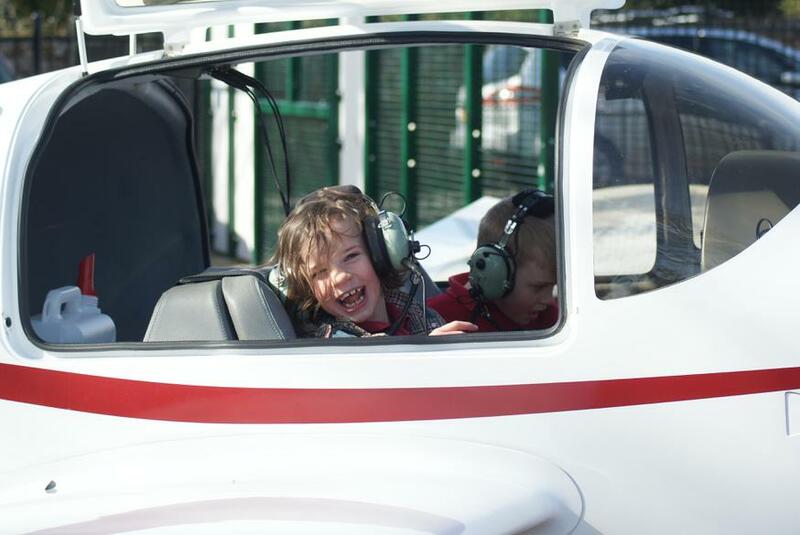 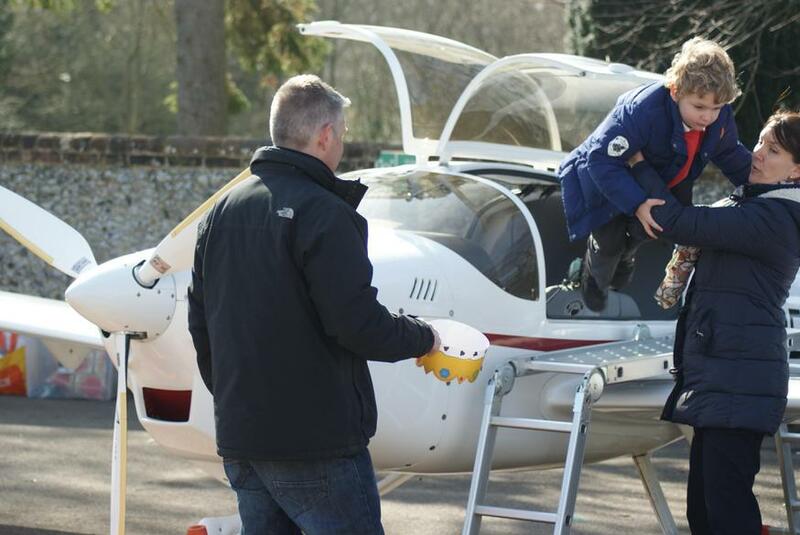 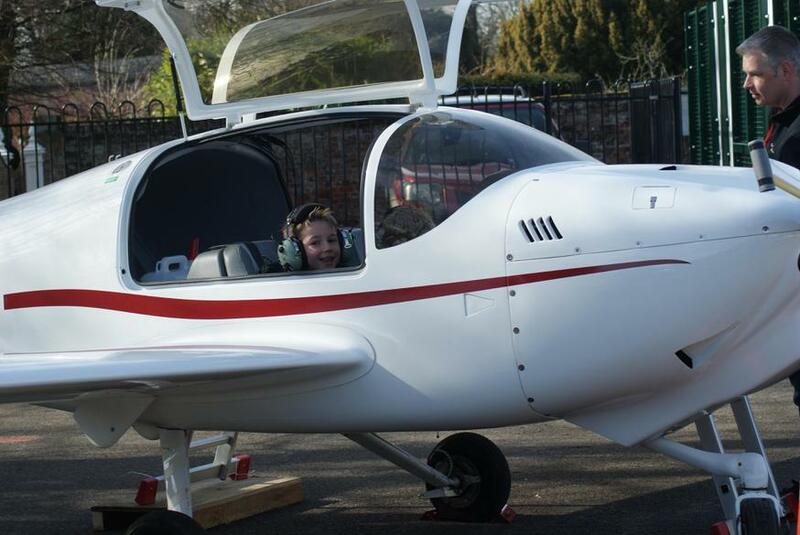 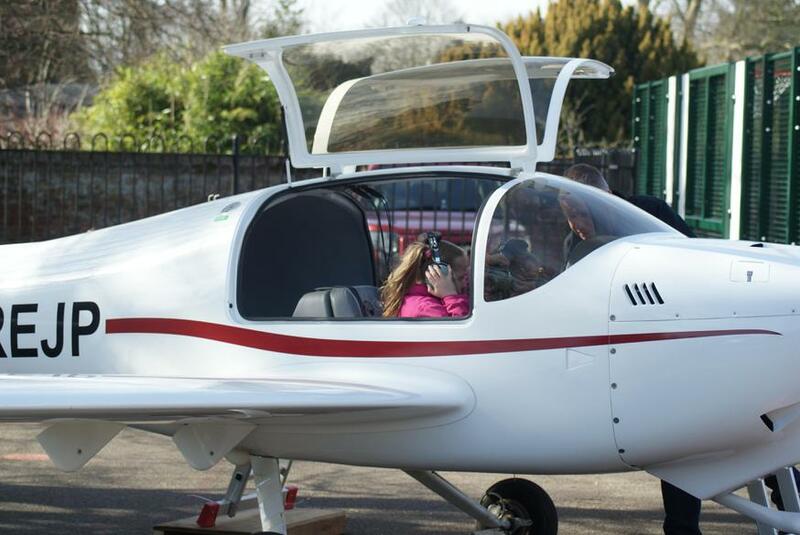 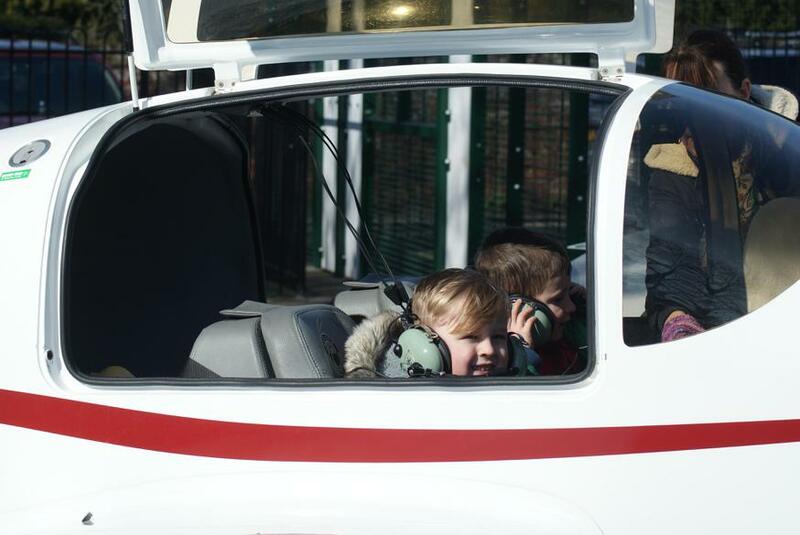 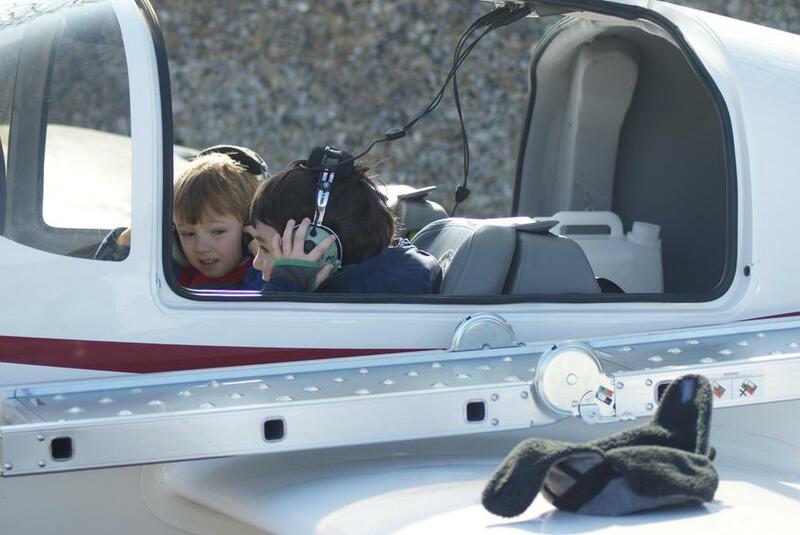 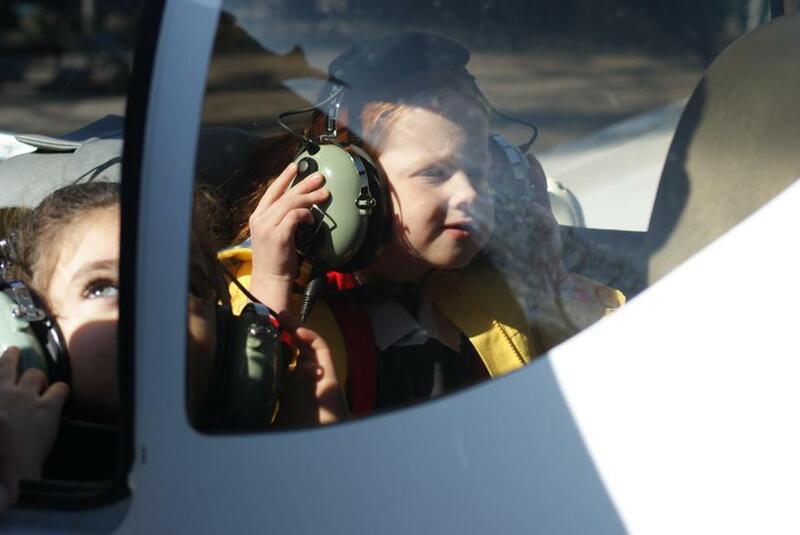 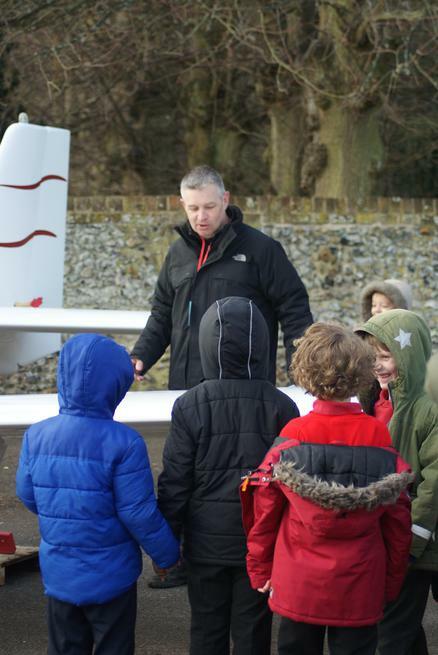 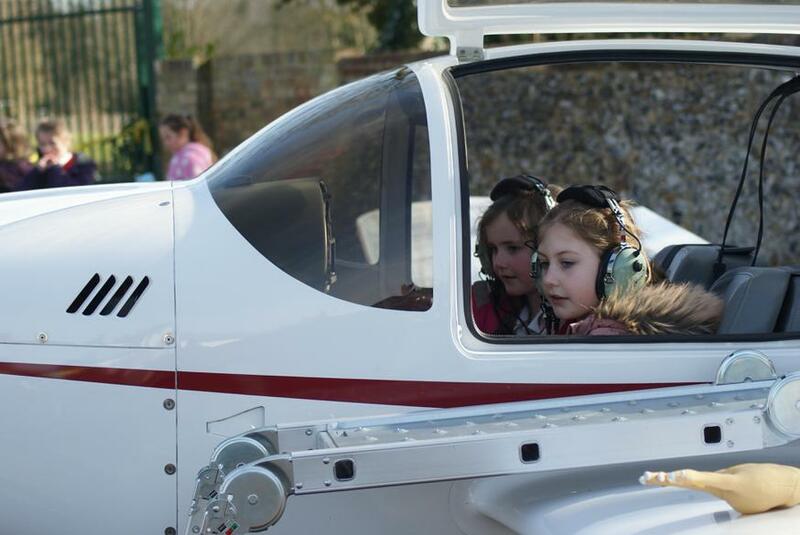 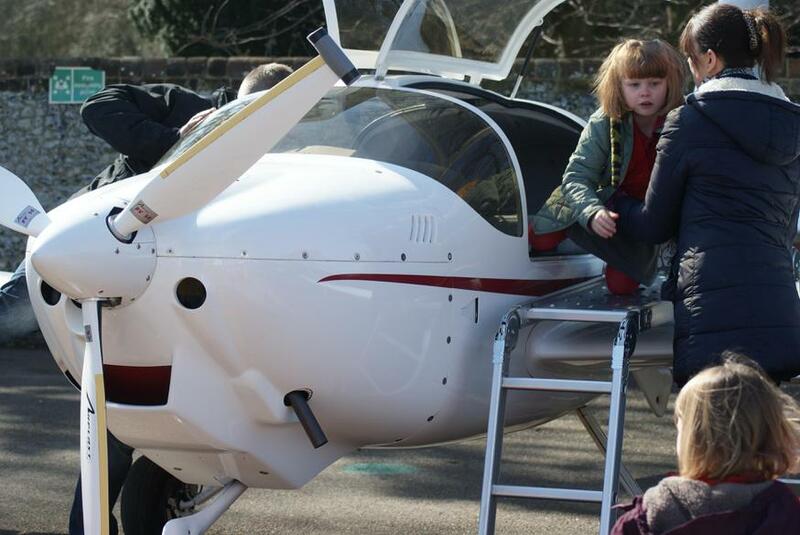 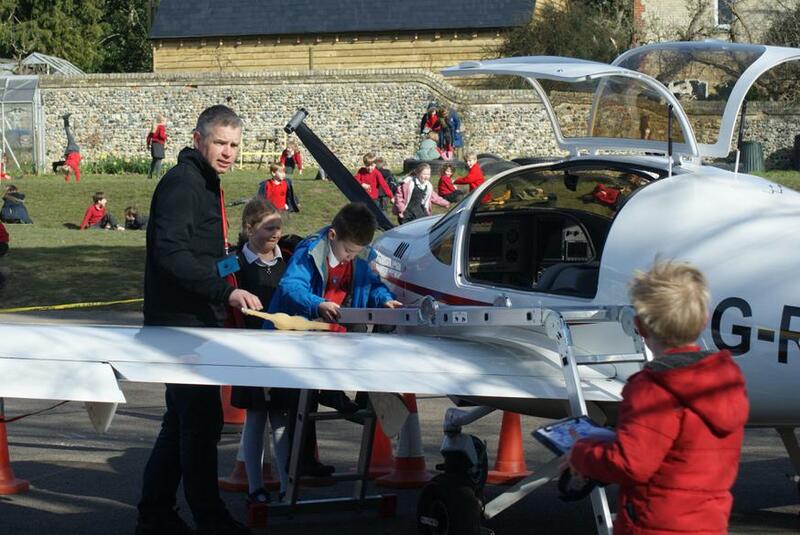 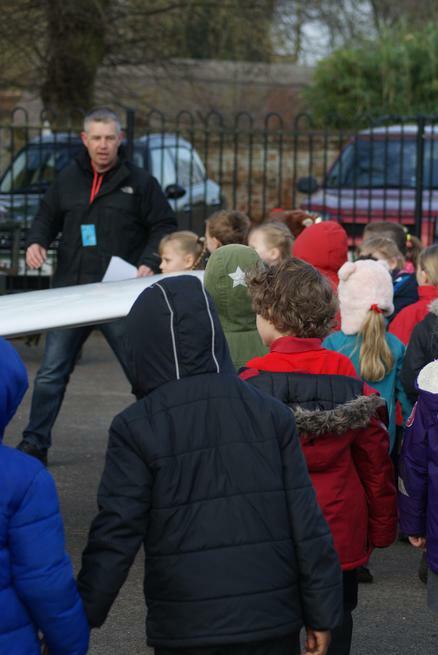 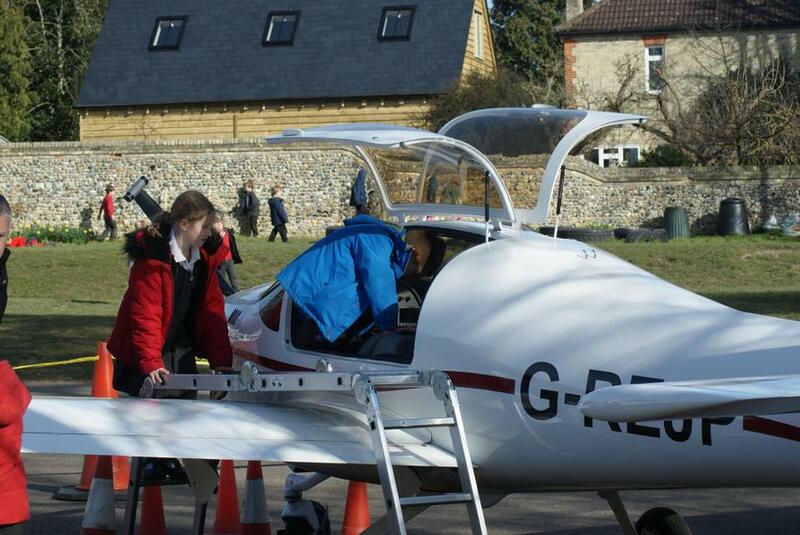 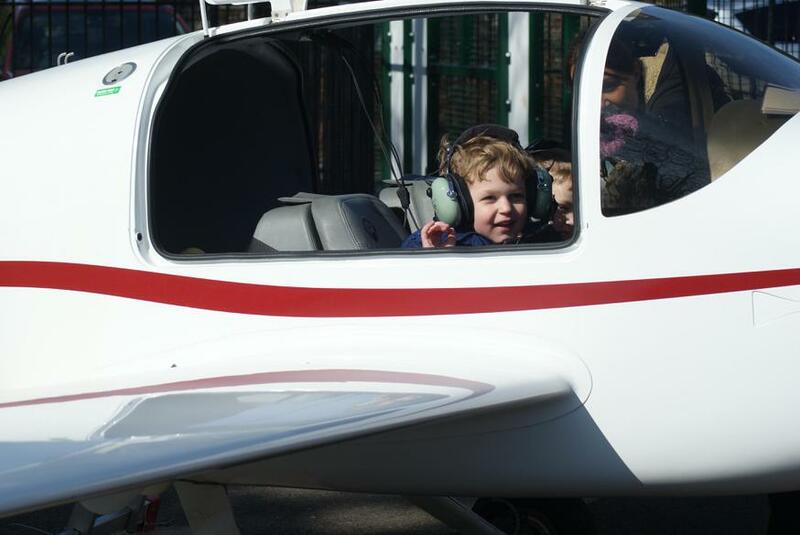 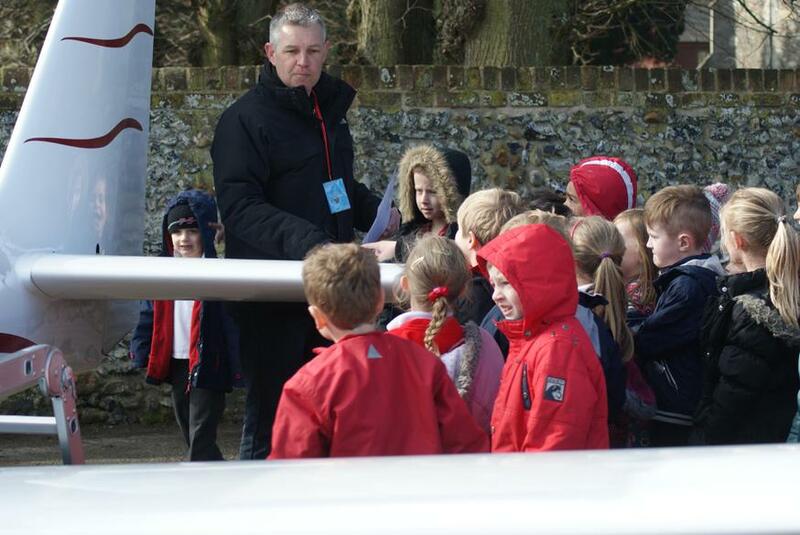 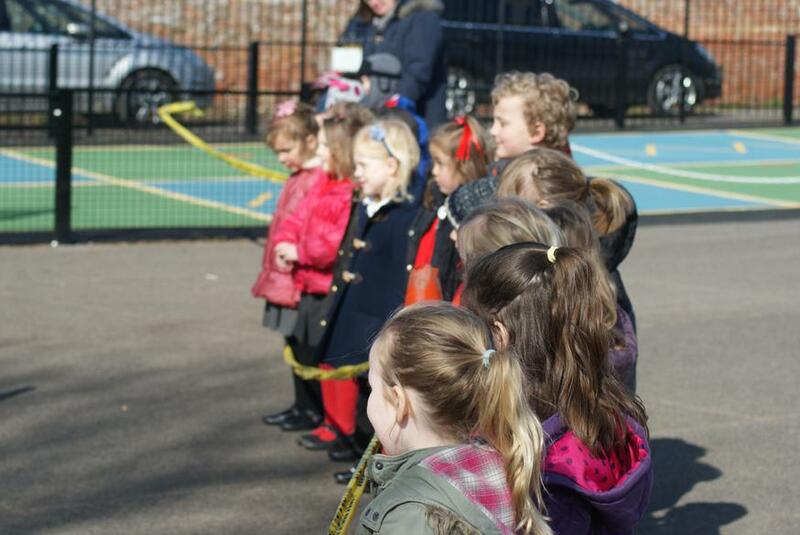 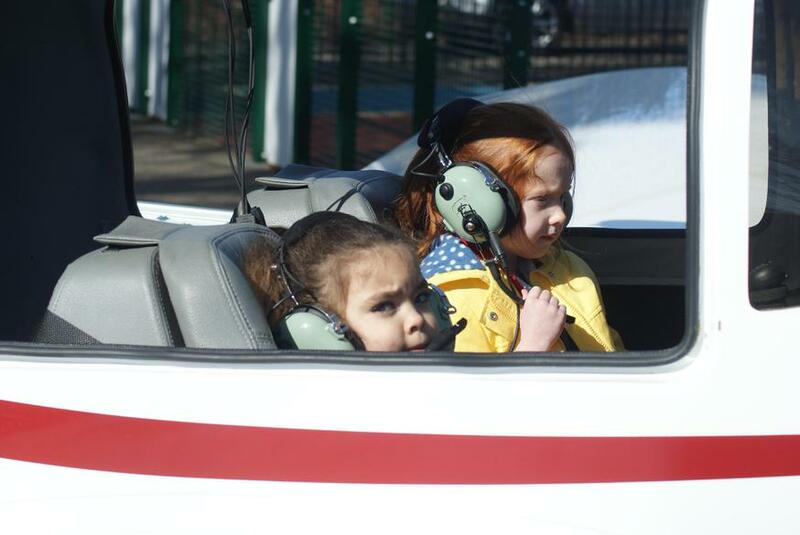 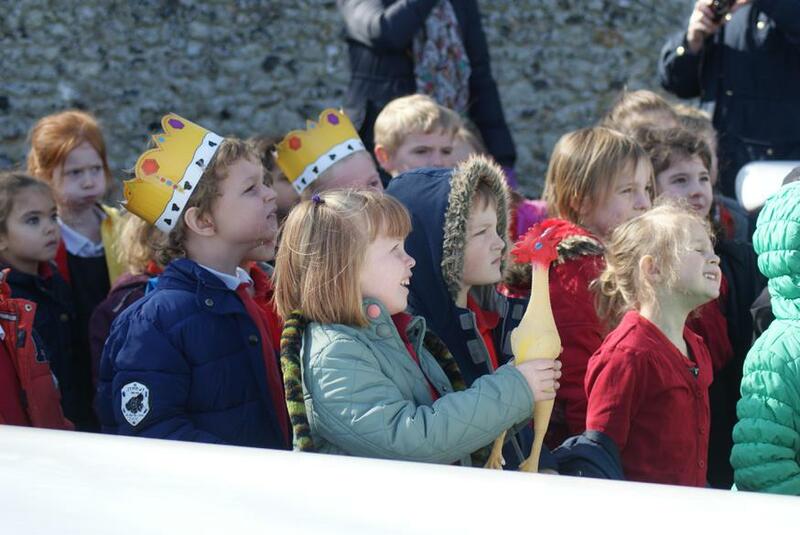 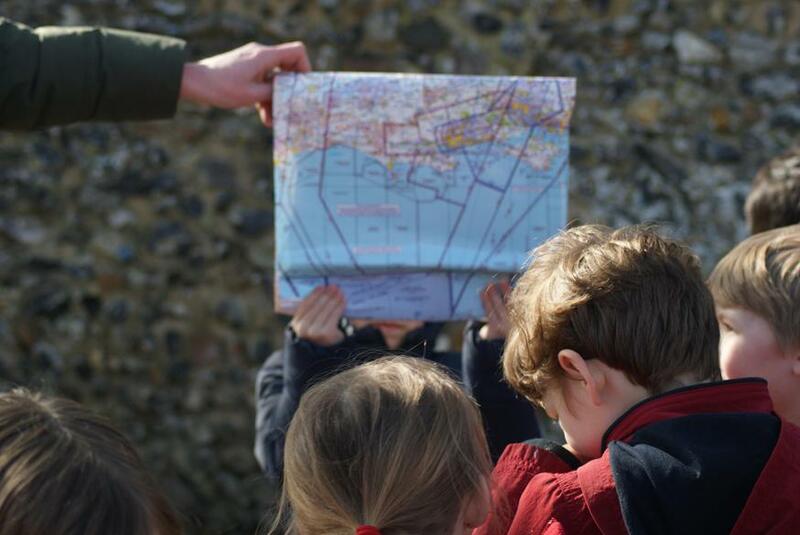 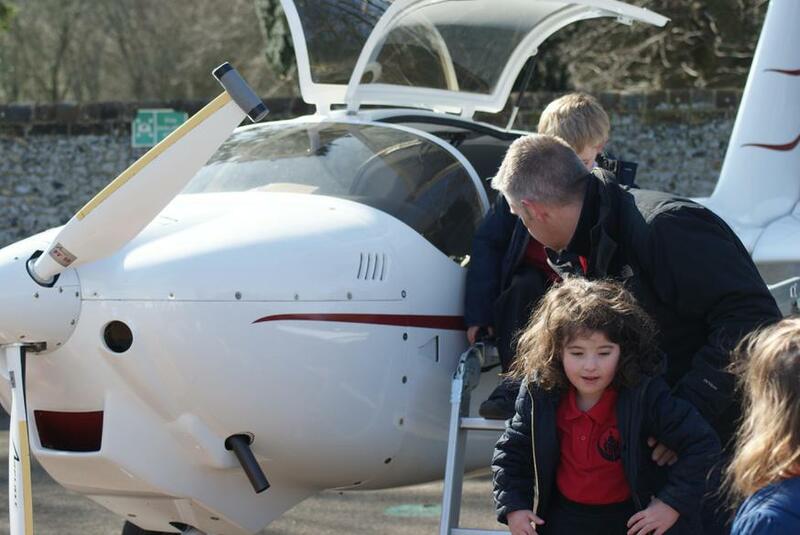 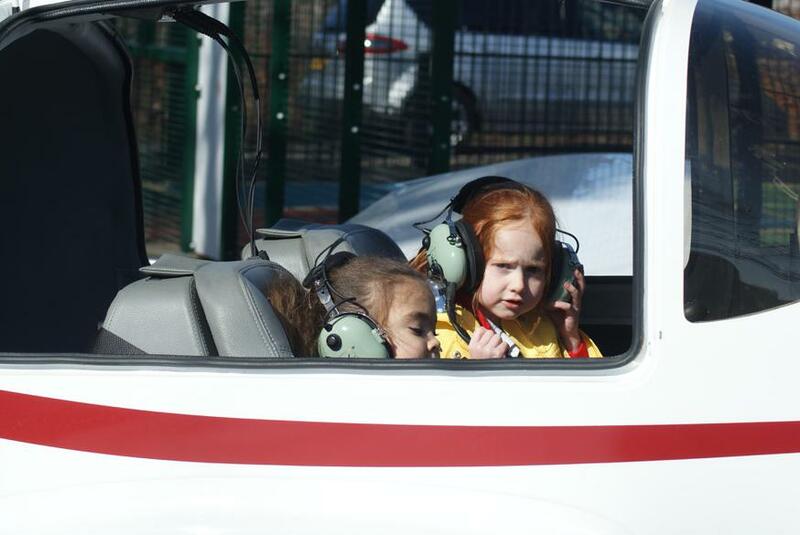 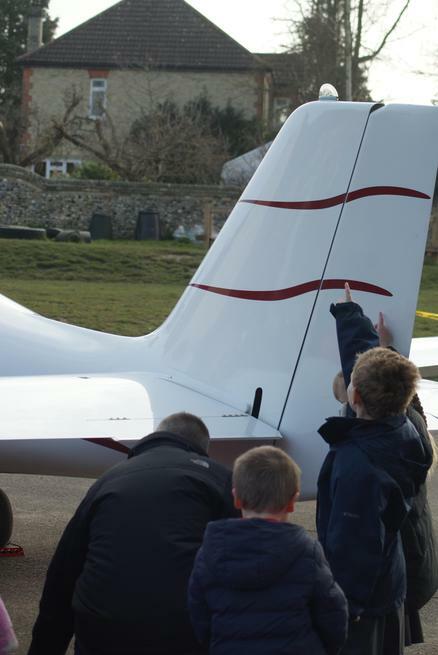 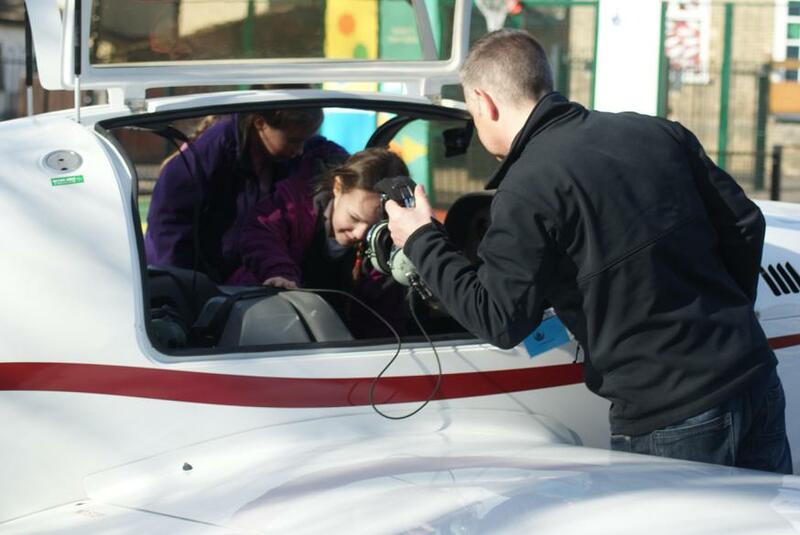 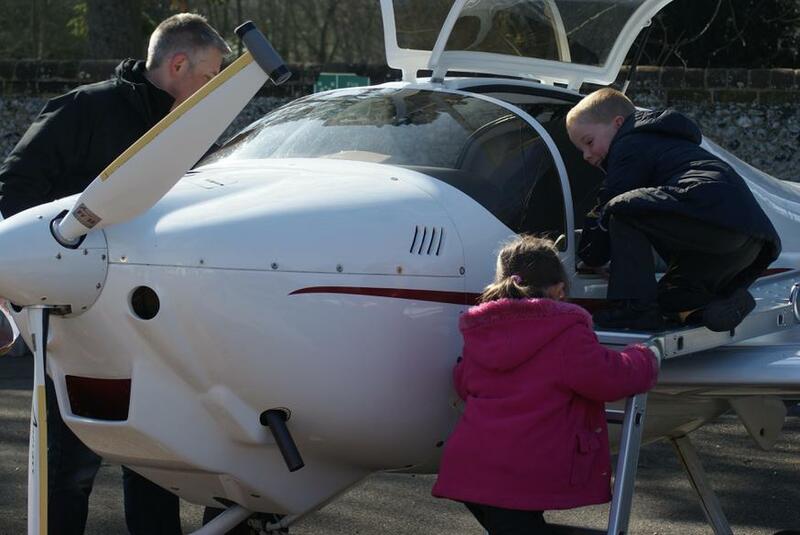 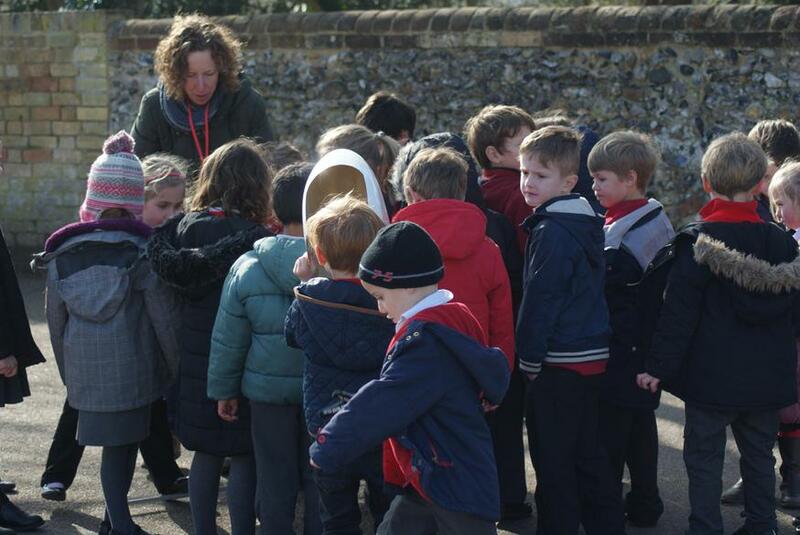 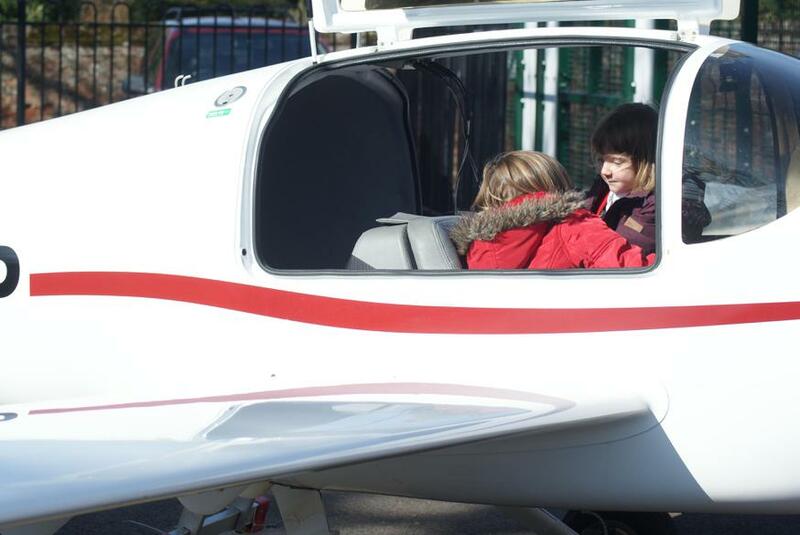 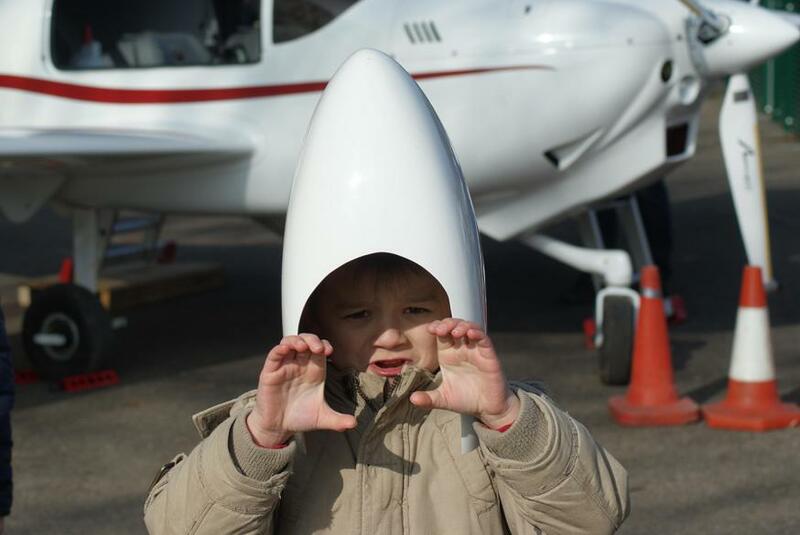 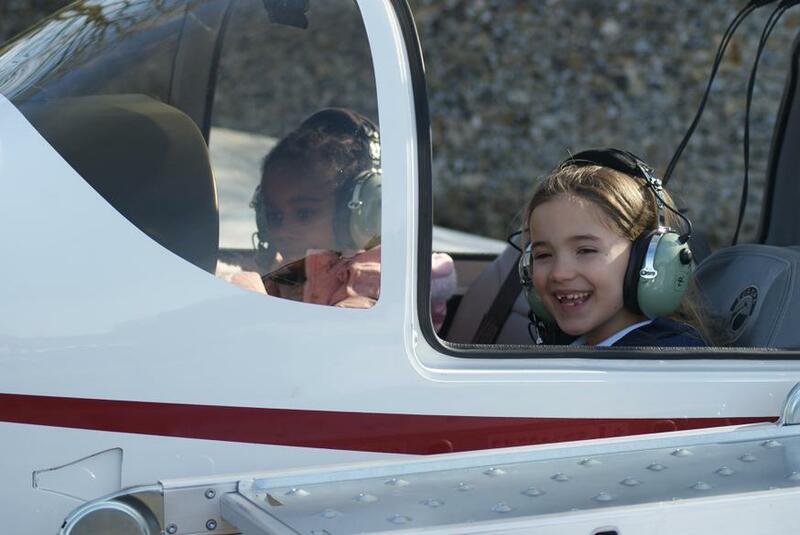 Imagine the faces of everyone this morning when we turned up to school and a plane was in situ on the playground! 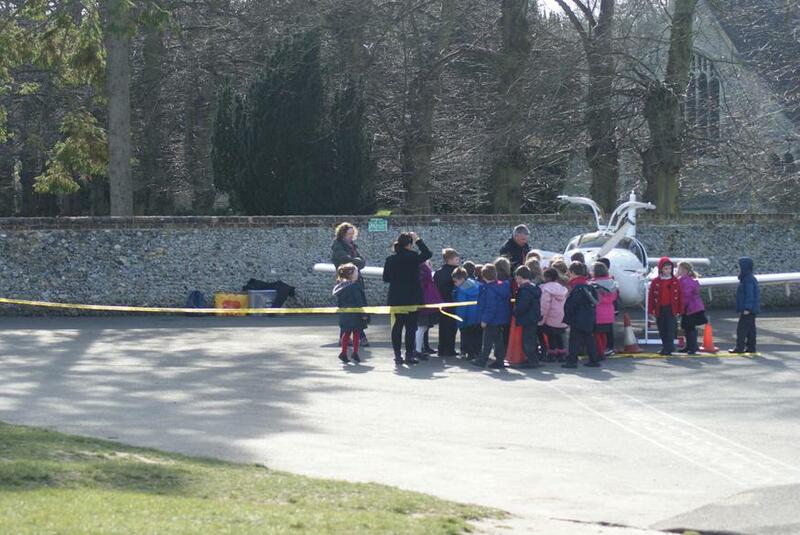 Apparently it was running low on fuel and landed on the meadow. 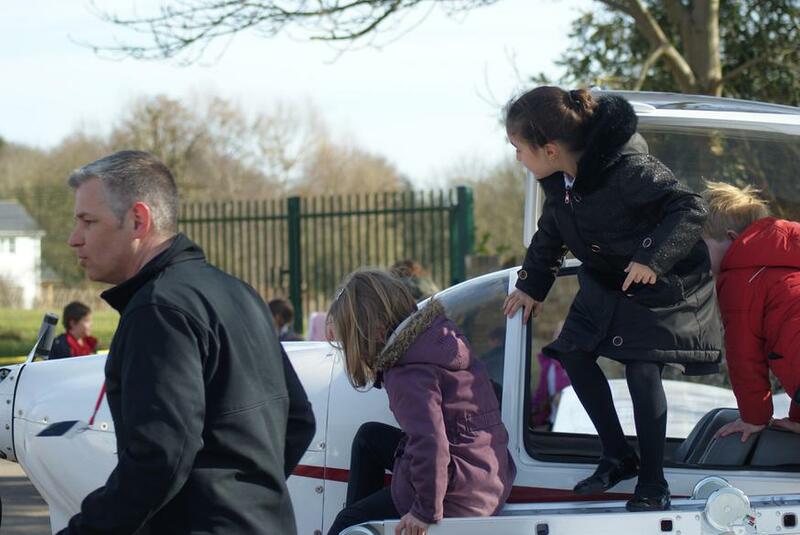 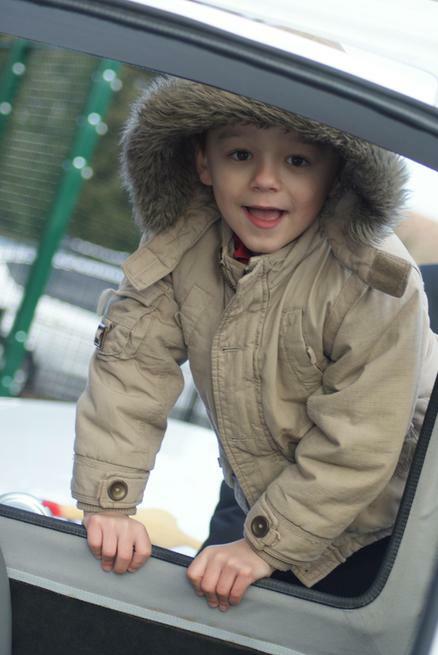 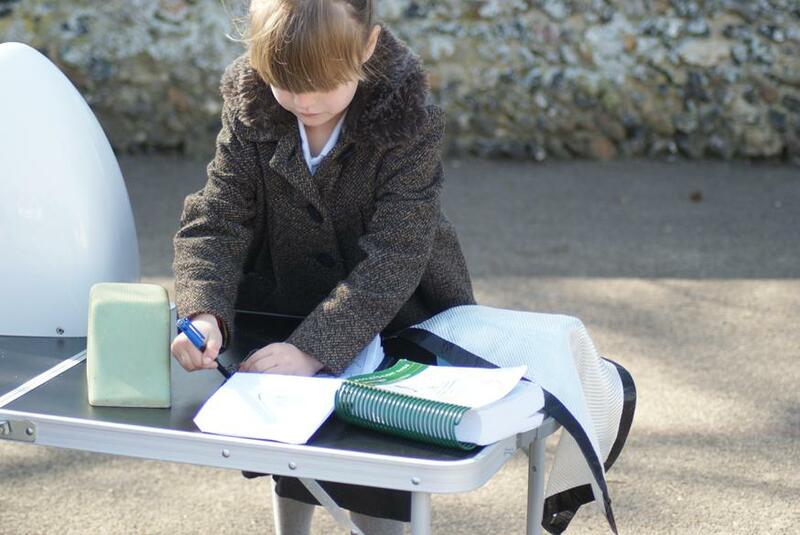 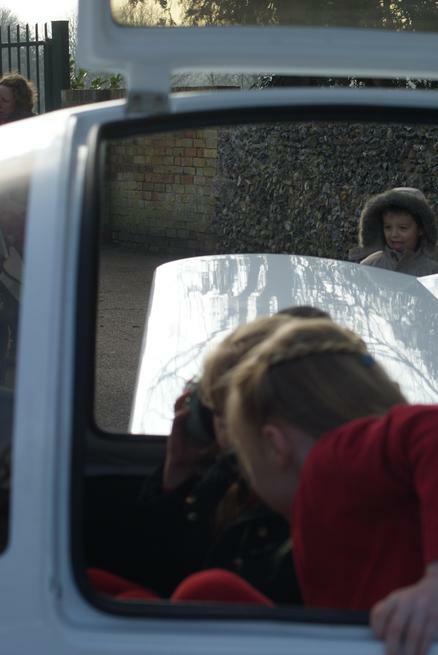 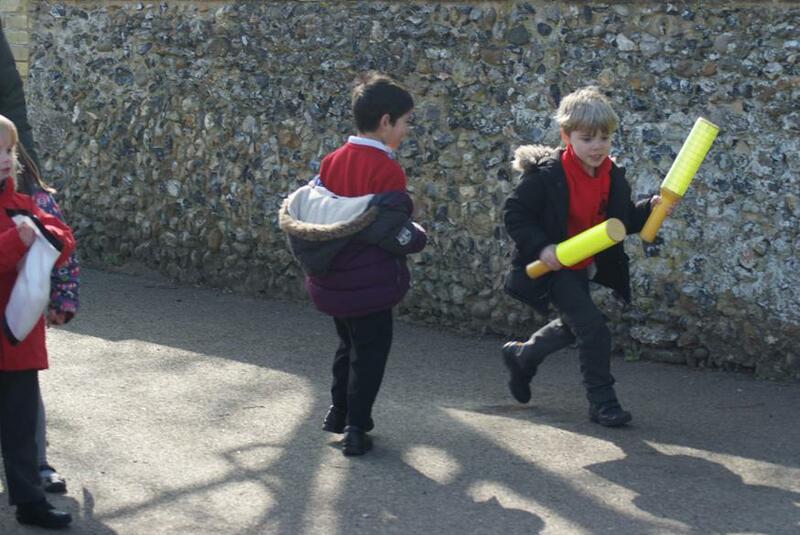 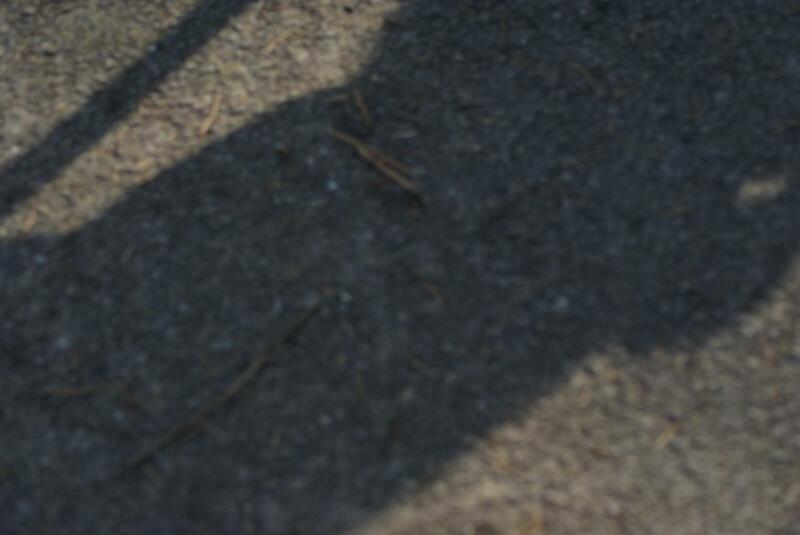 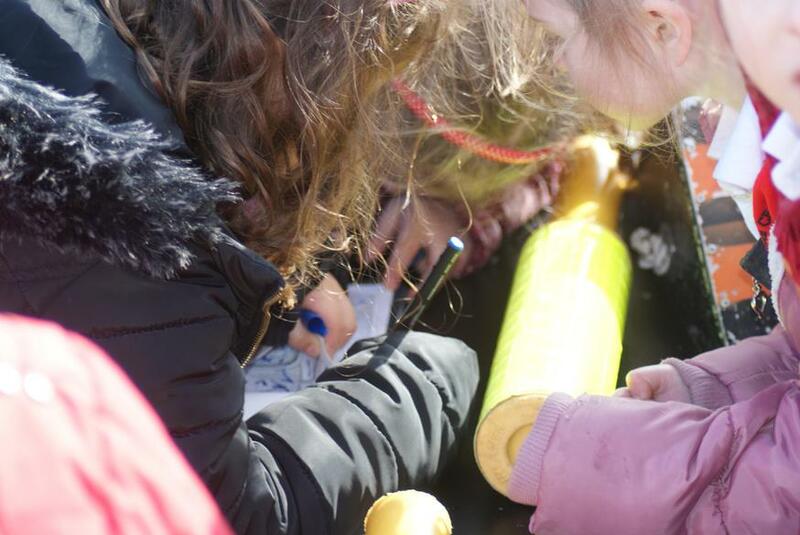 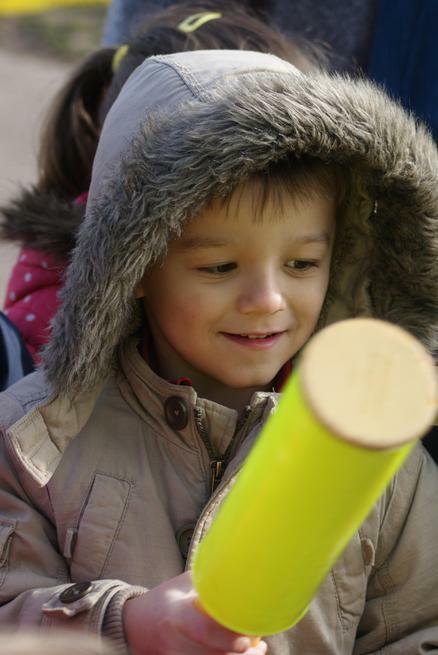 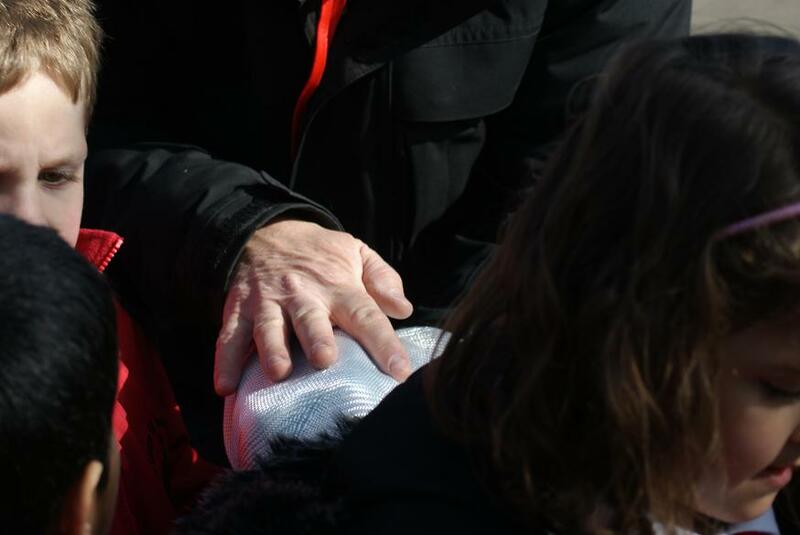 It was then wheeled on to our playground for safe keeping. 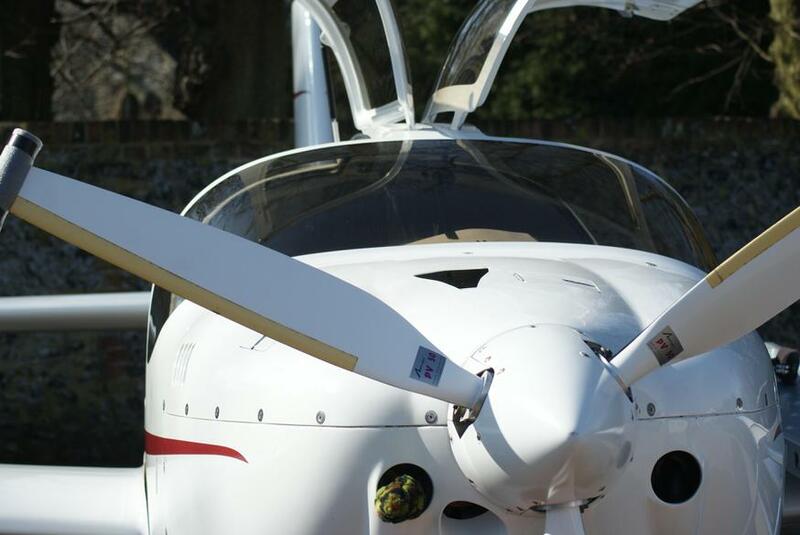 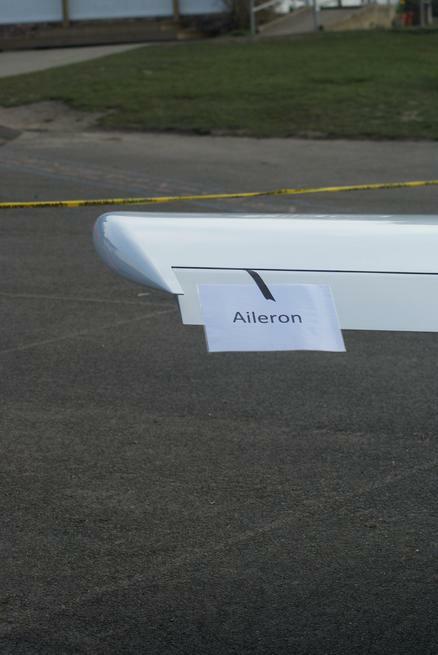 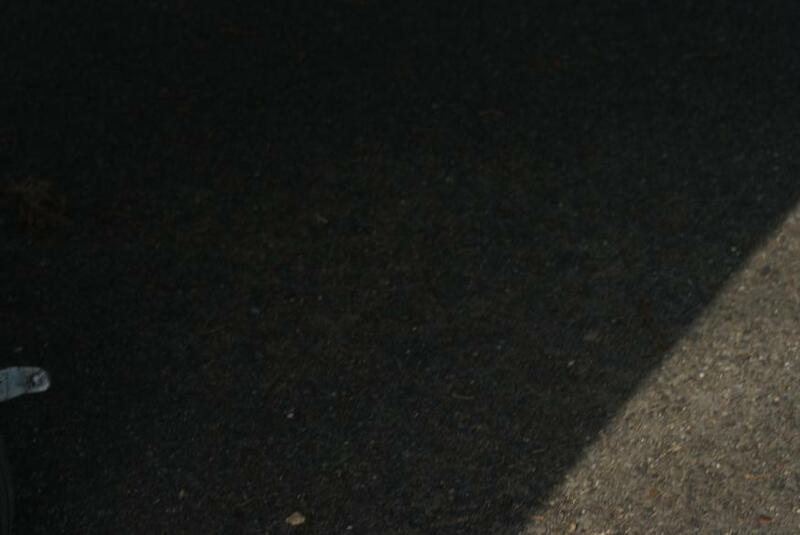 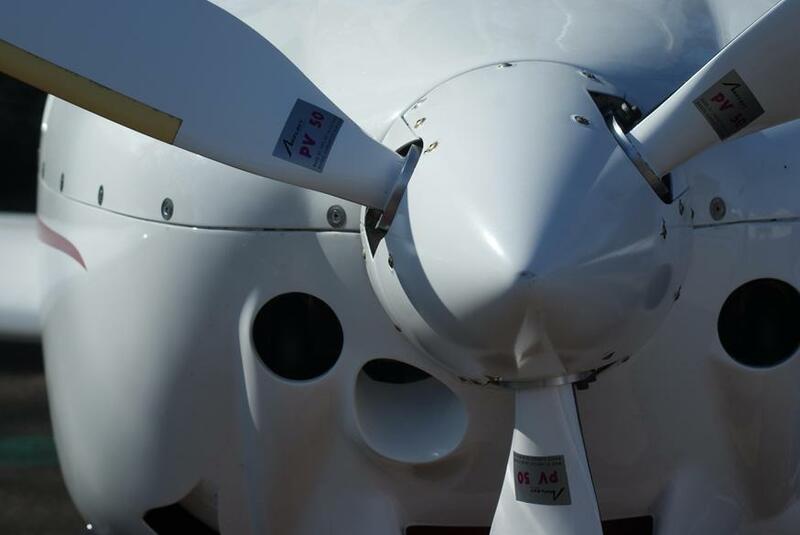 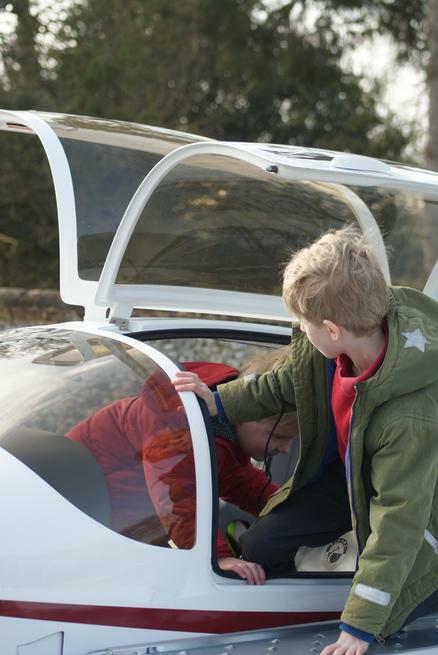 We took this opportunity to learn all about it from its owner Alan Milner. 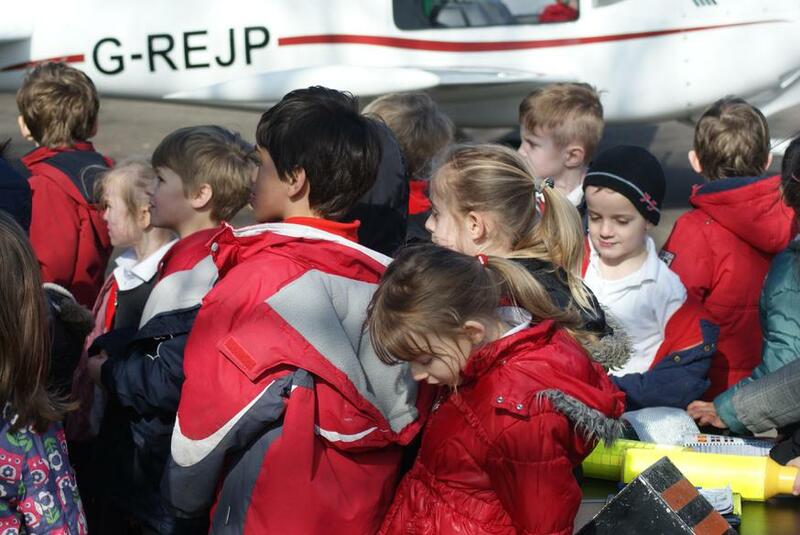 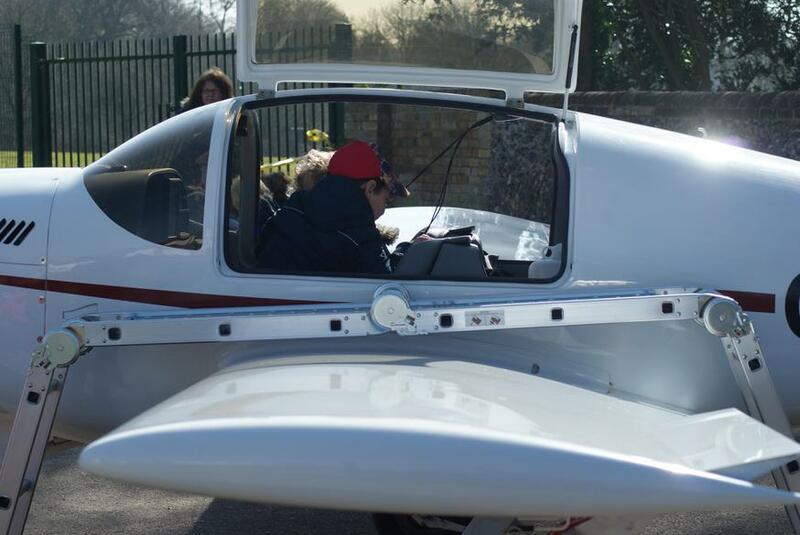 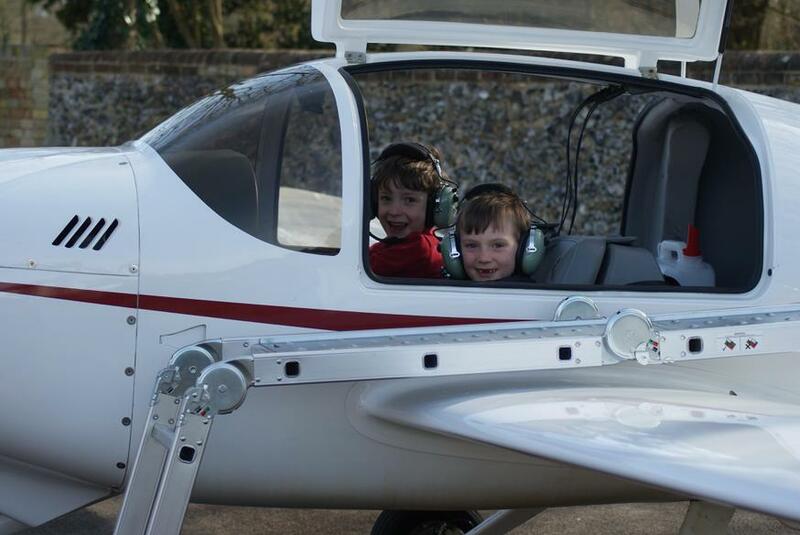 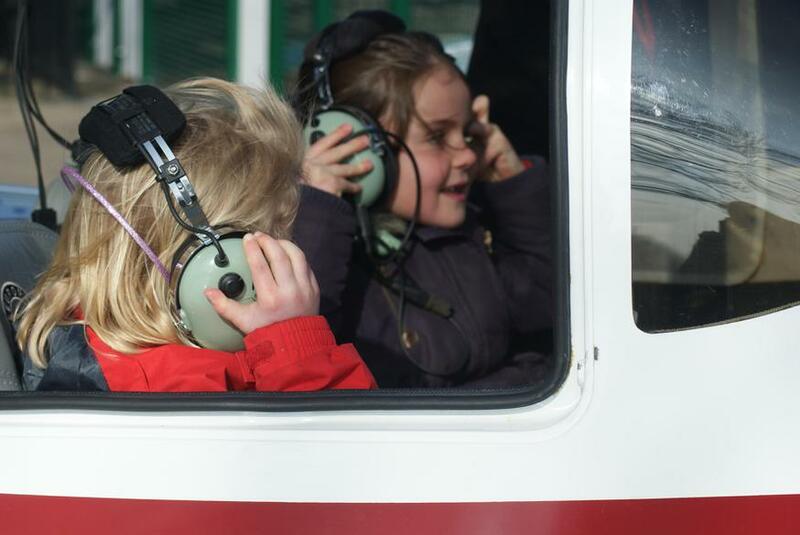 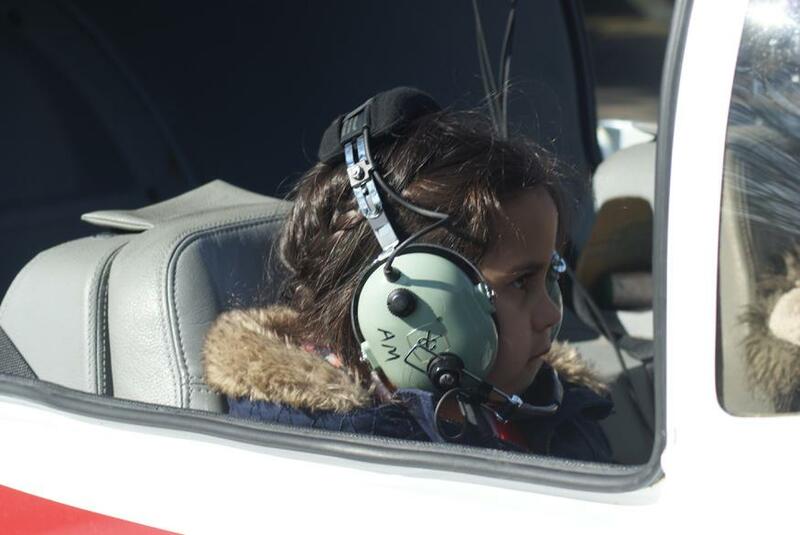 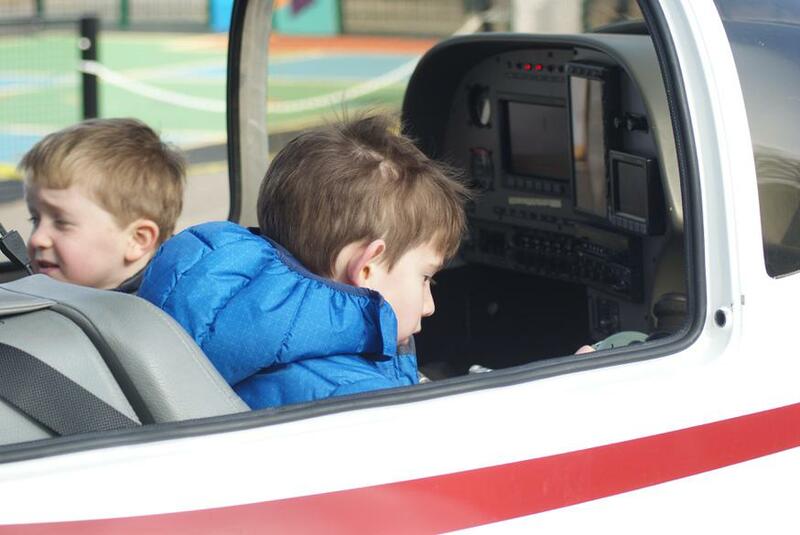 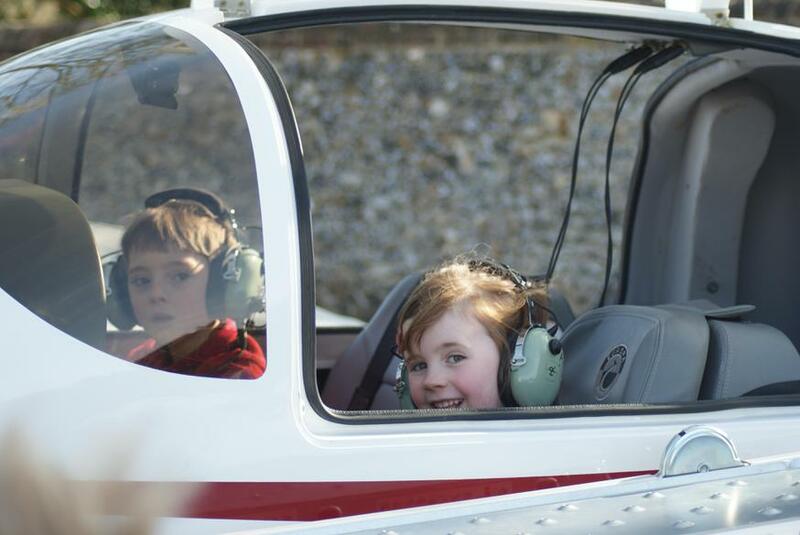 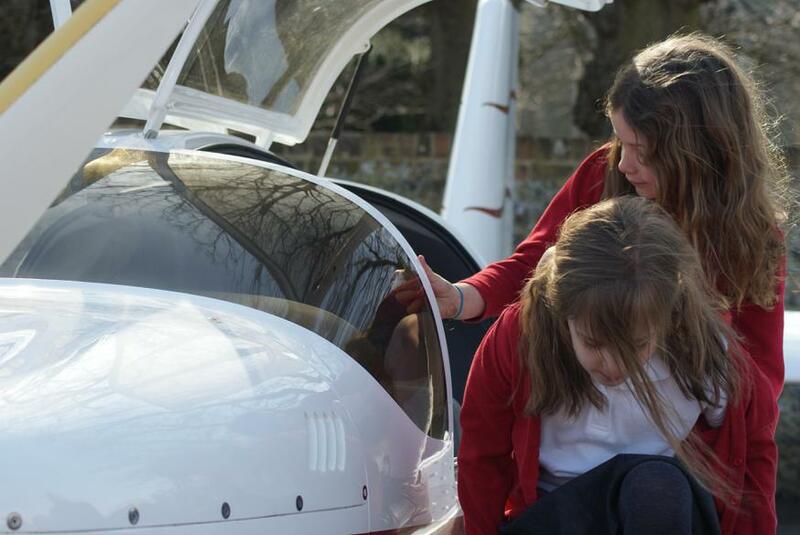 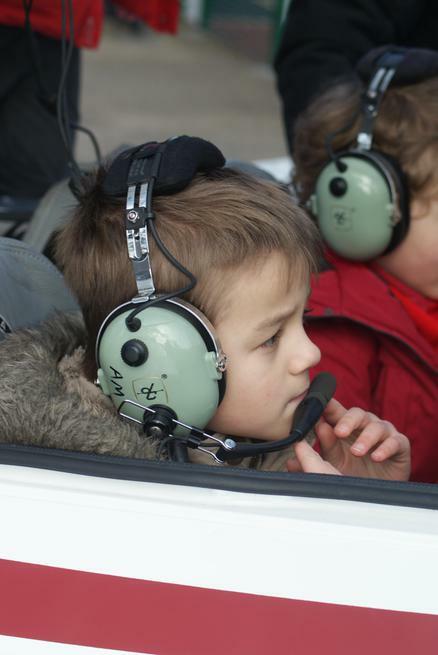 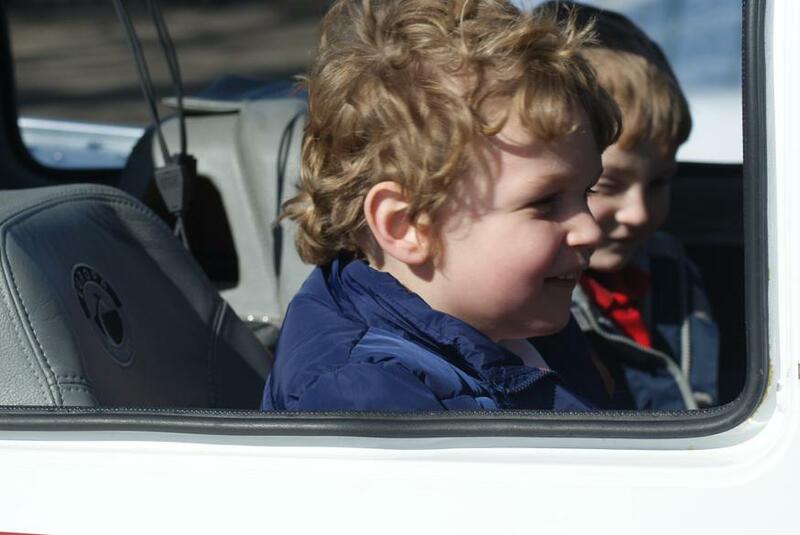 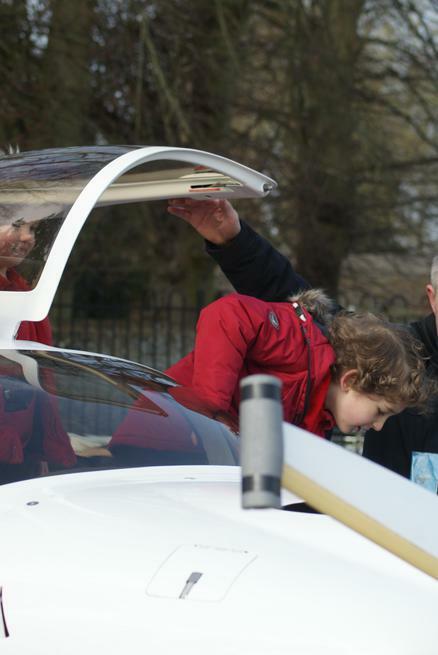 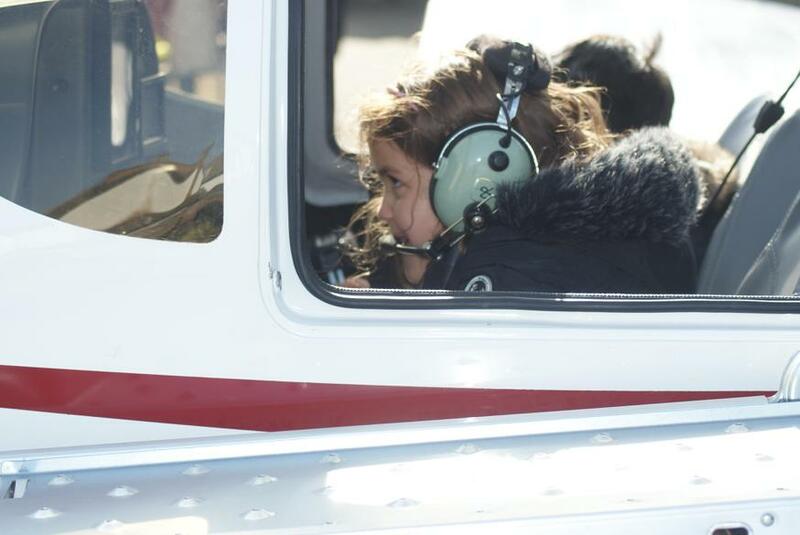 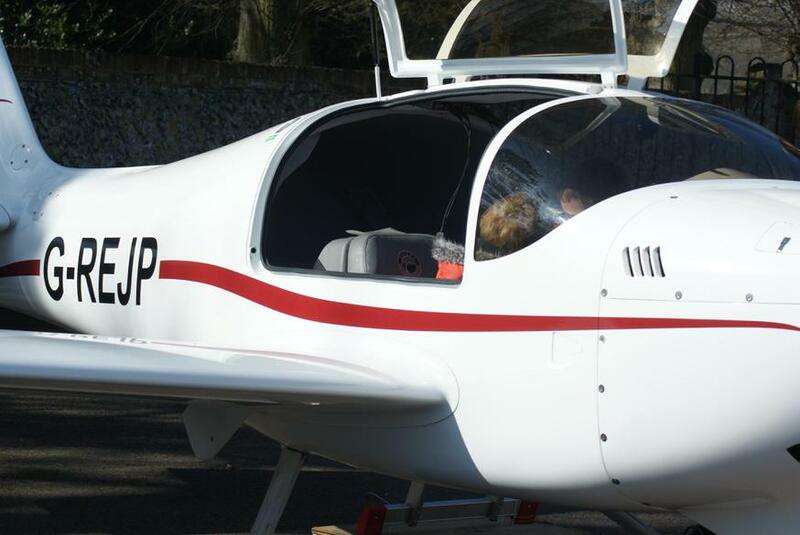 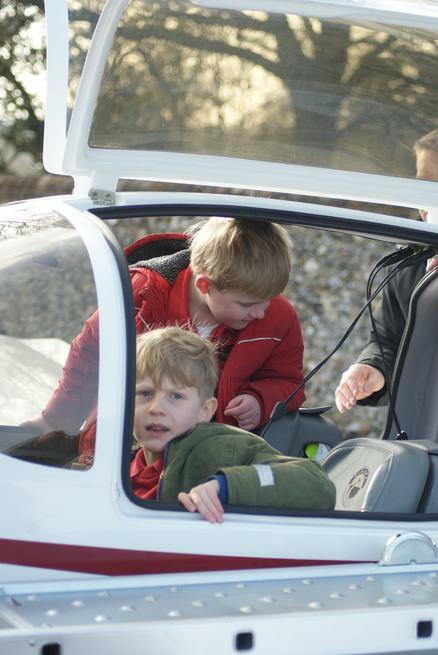 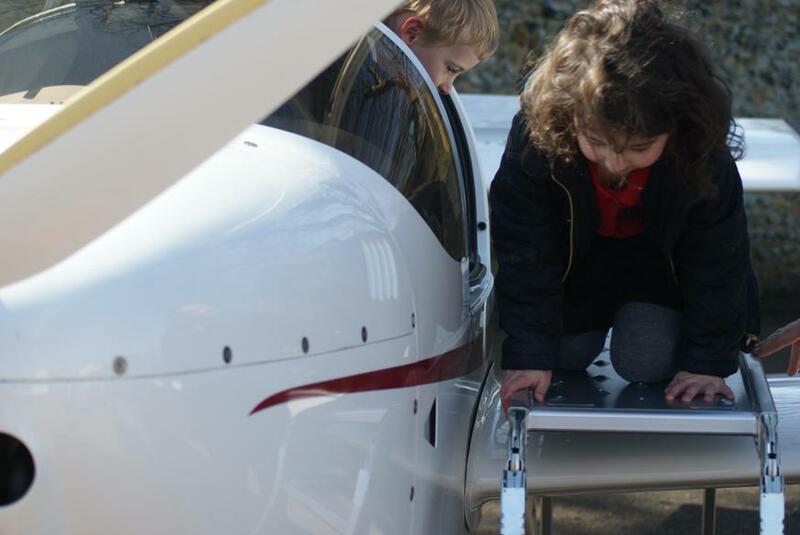 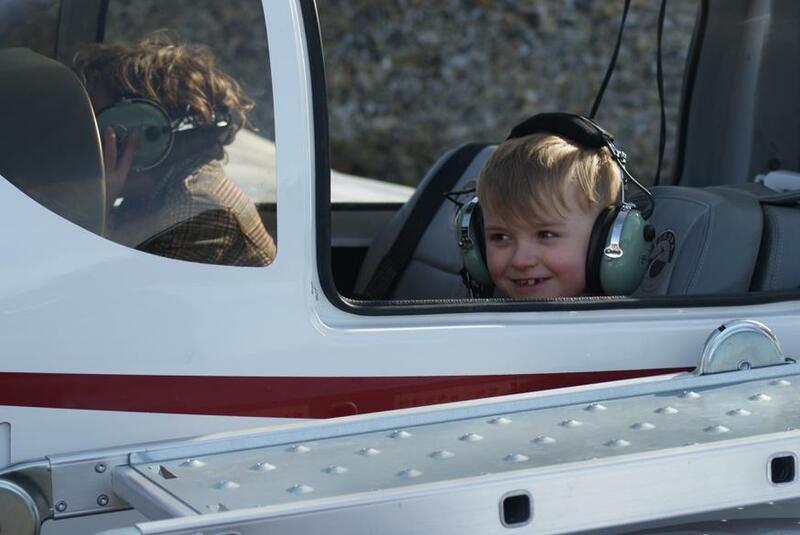 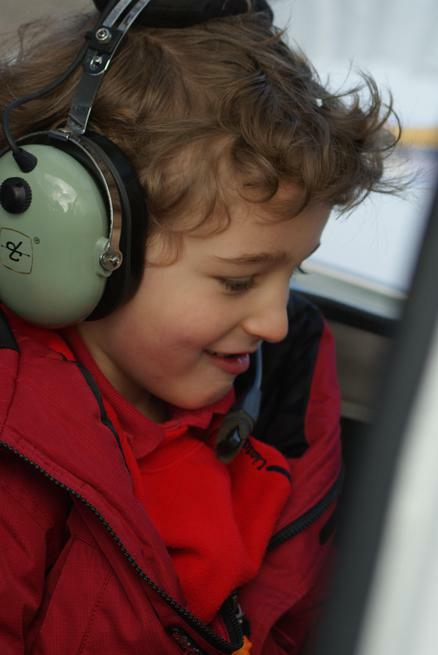 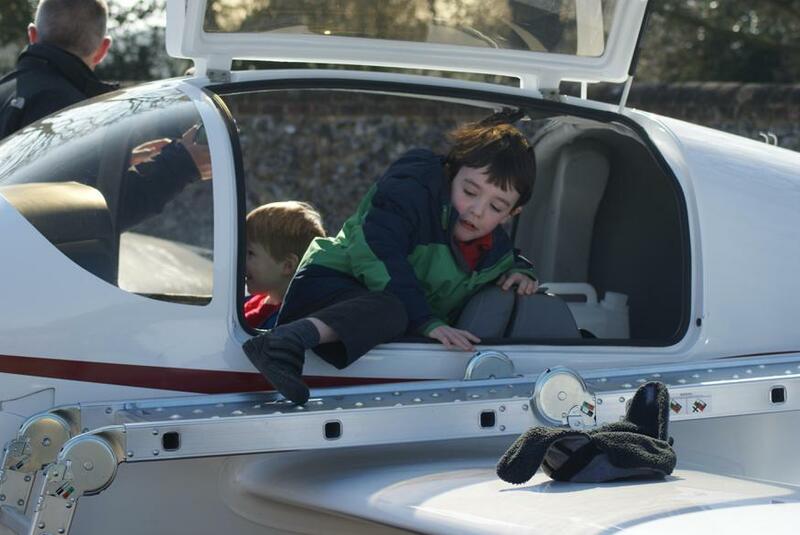 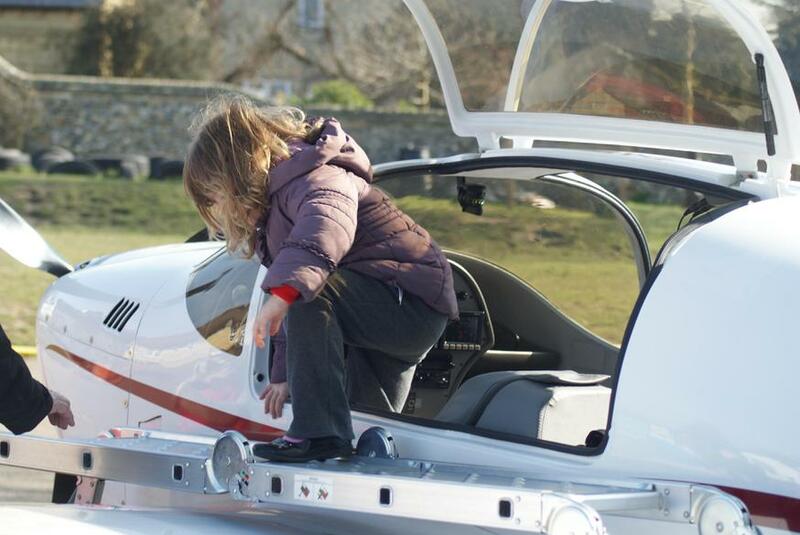 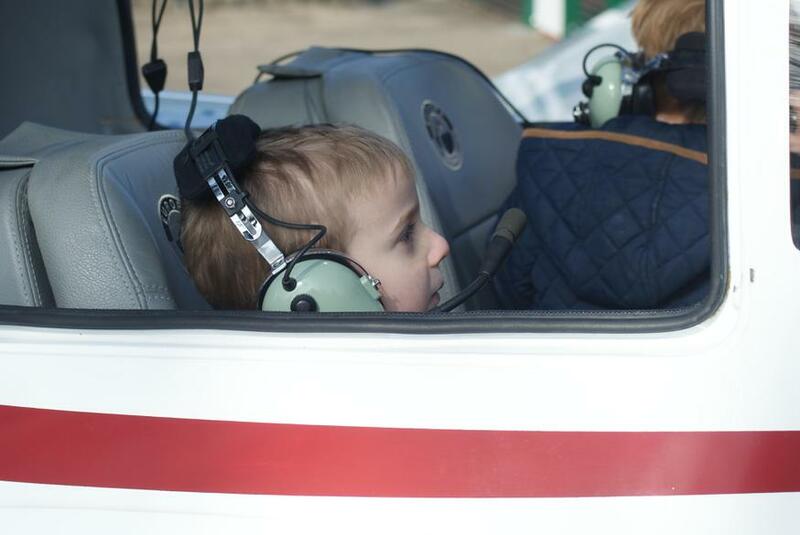 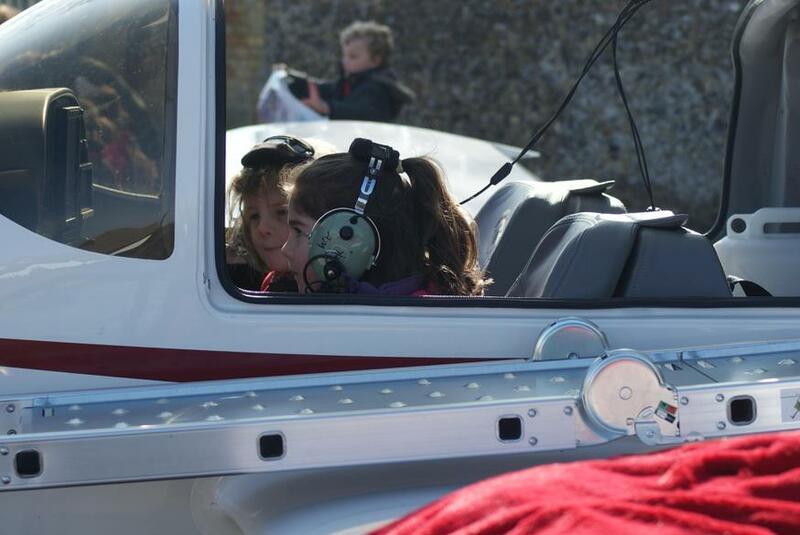 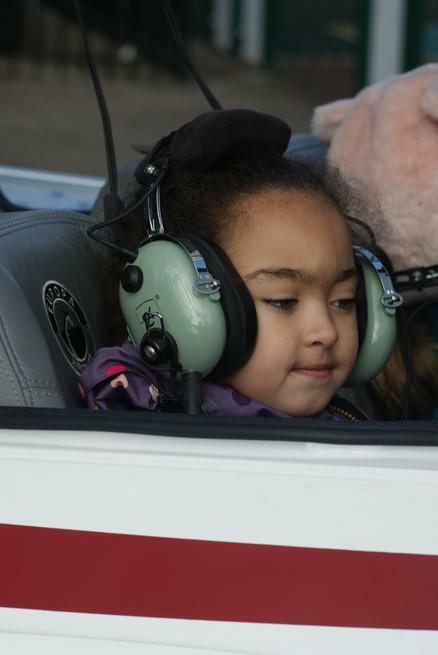 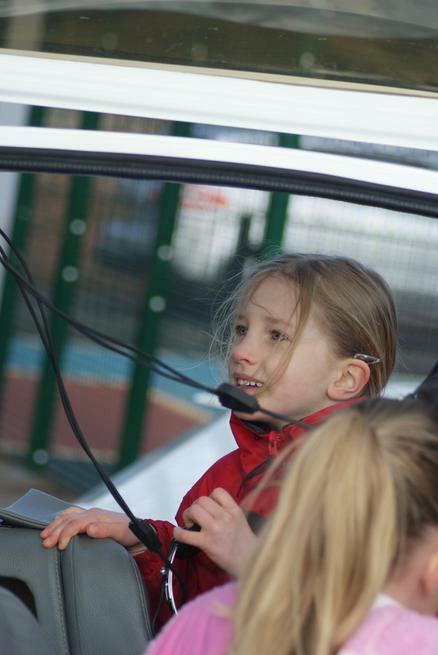 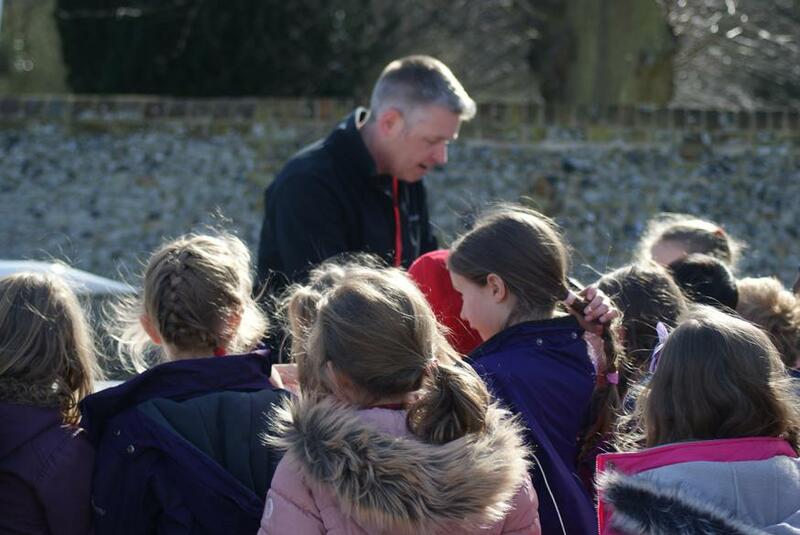 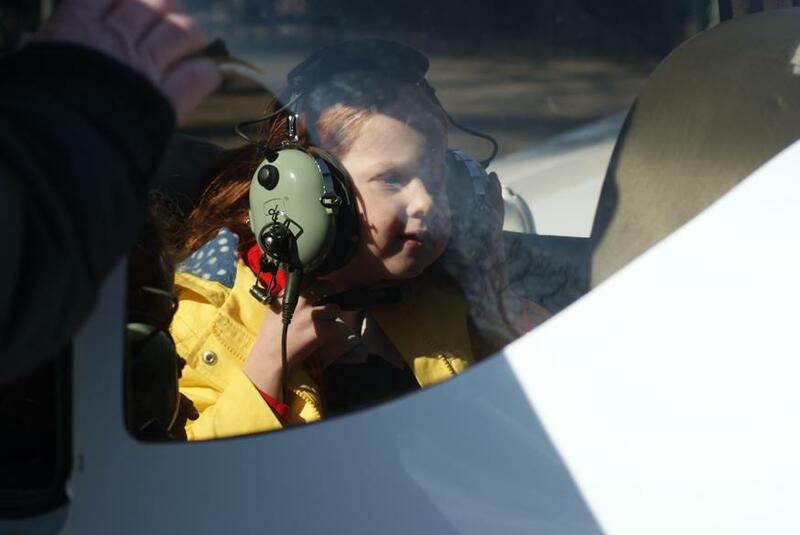 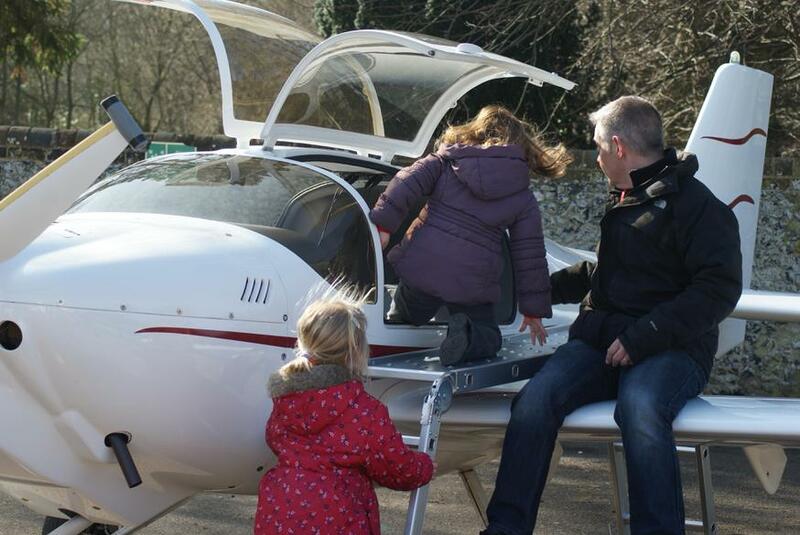 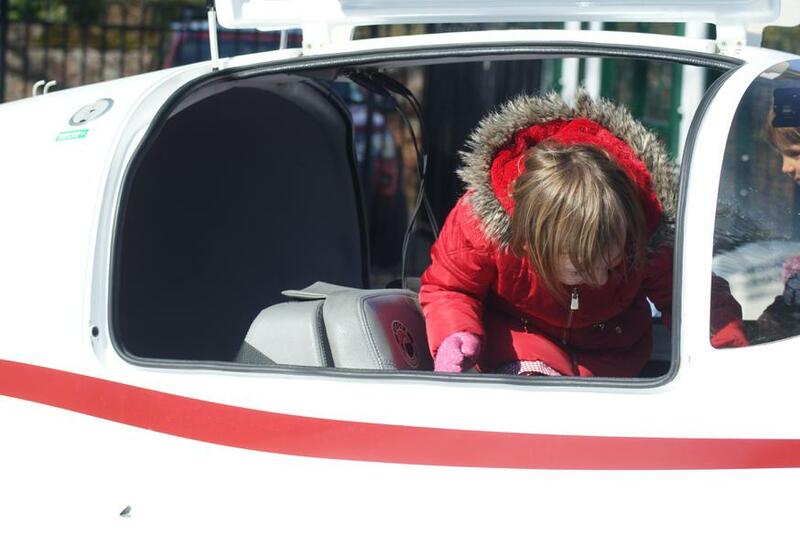 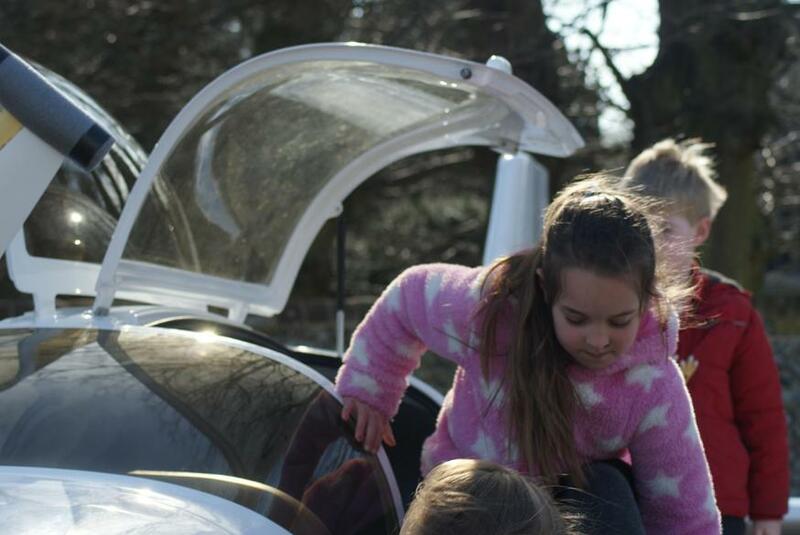 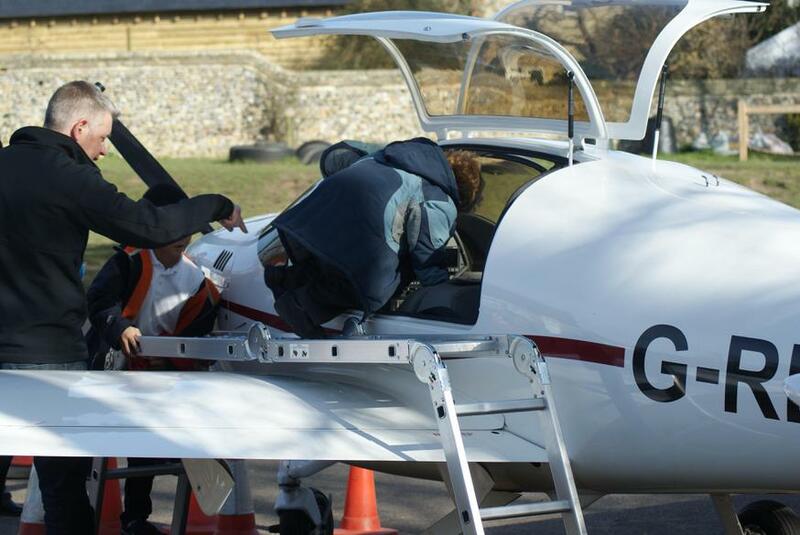 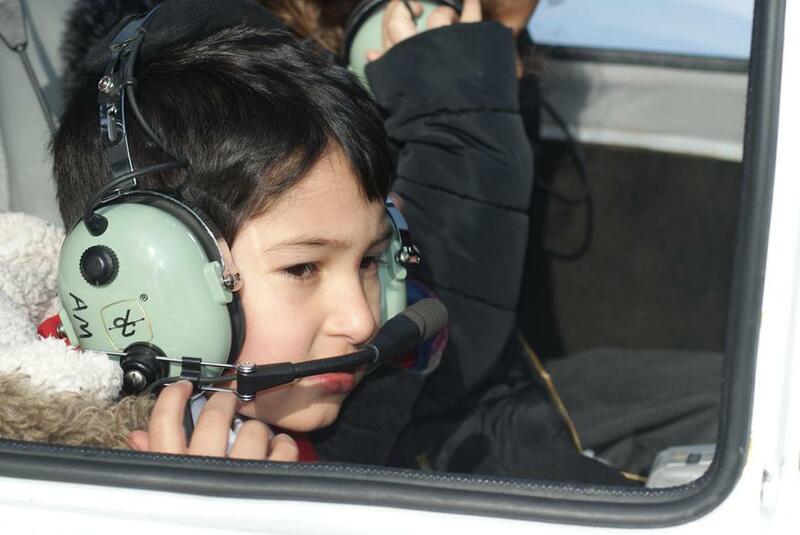 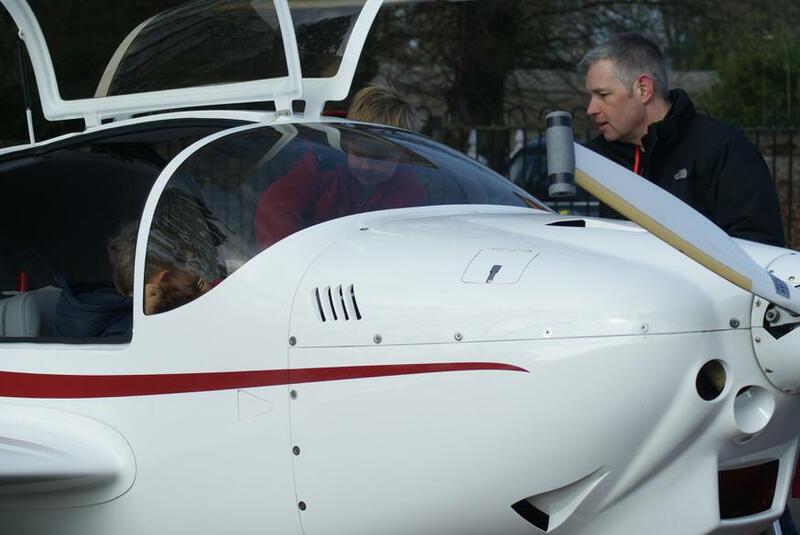 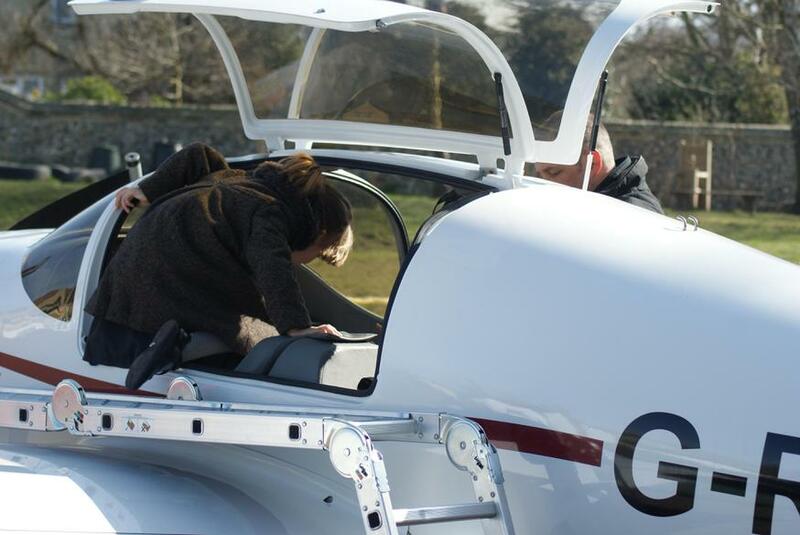 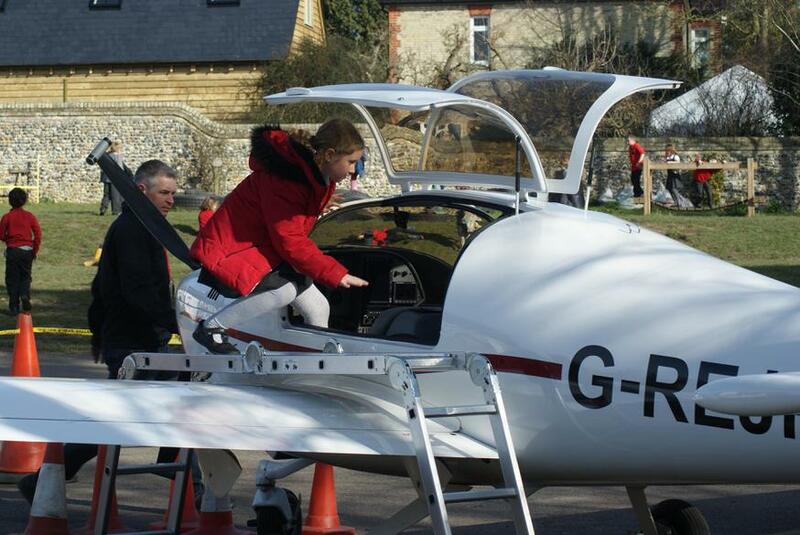 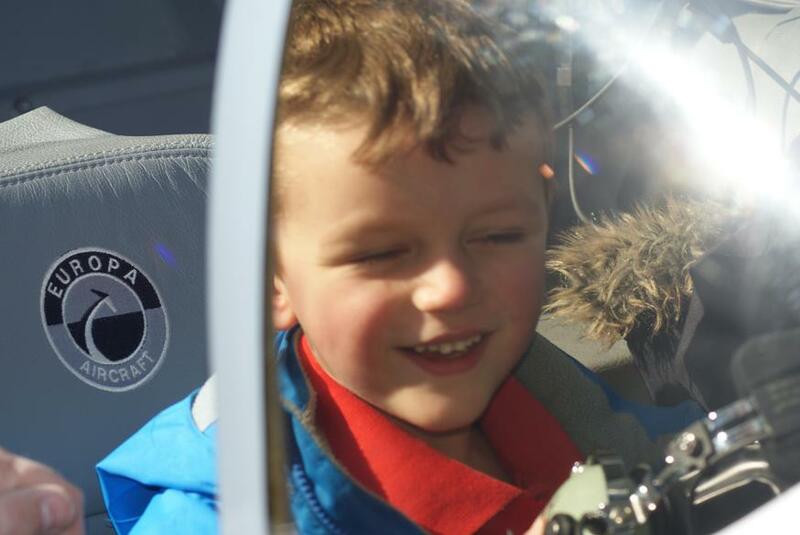 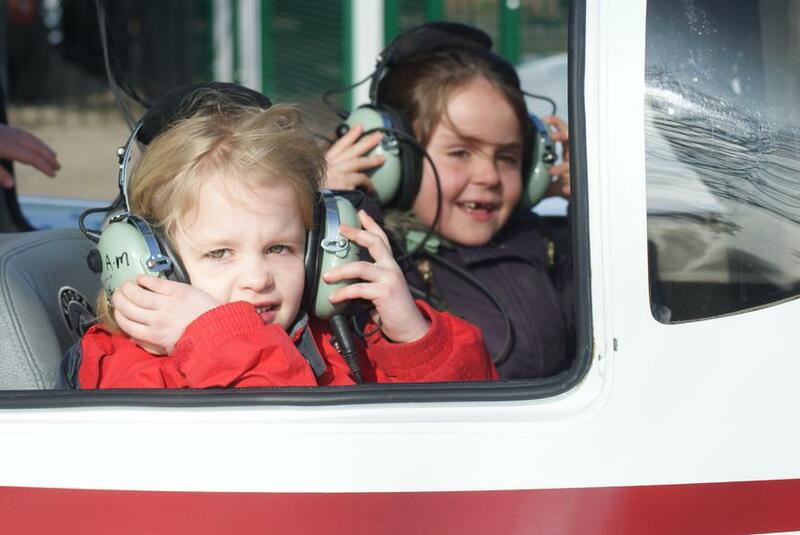 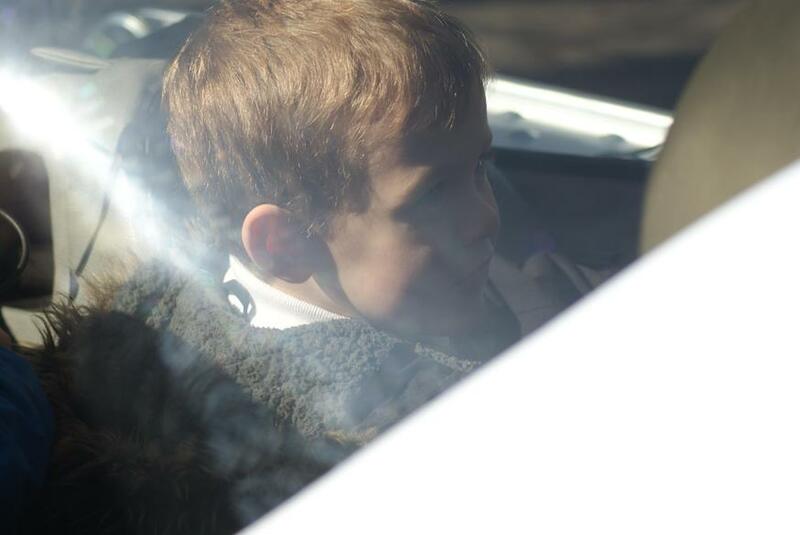 We learnt how to do the safety checks and even got to sit in it. 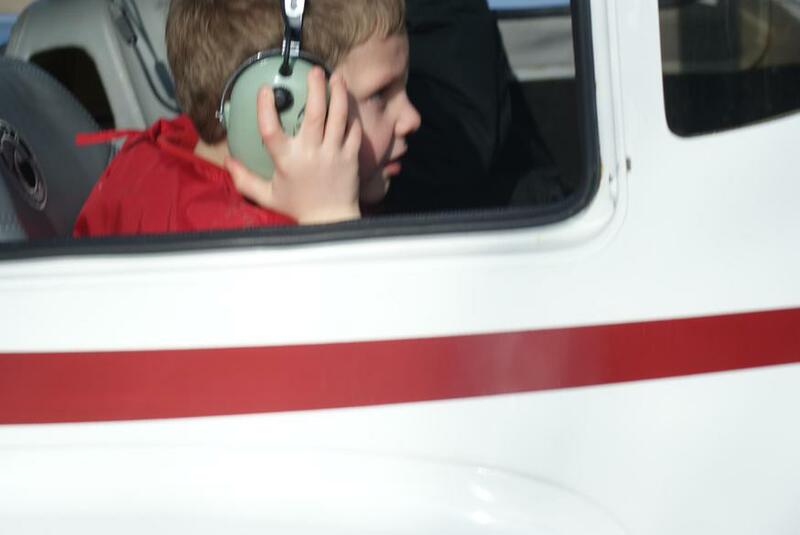 Over the headphones we heard some alien conversation too. 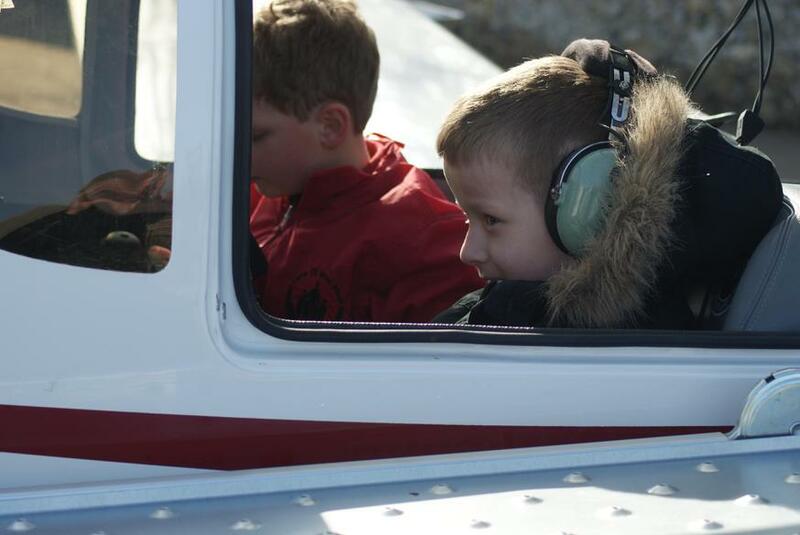 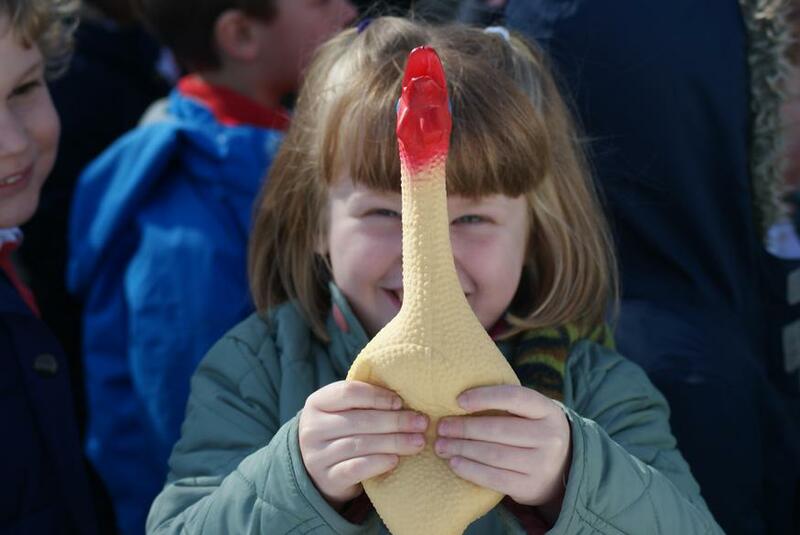 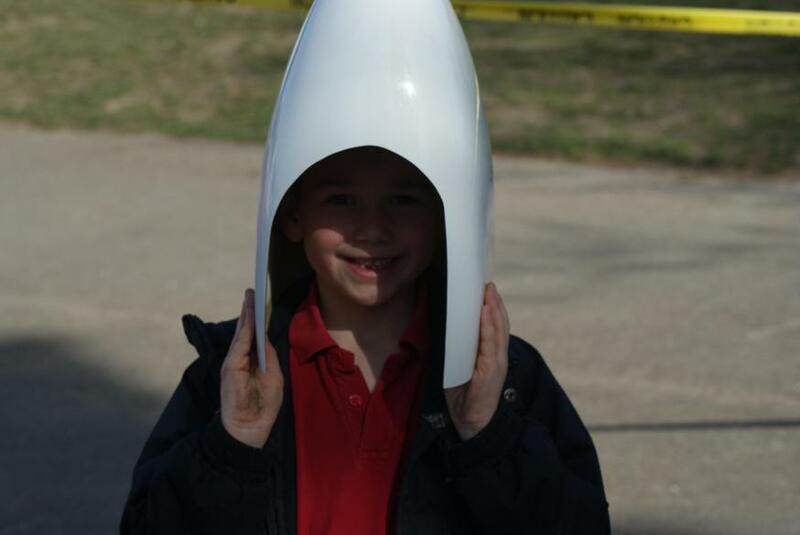 It was a great day and huge thanks to The Milner family for giving so much time and effort to this learning experience. 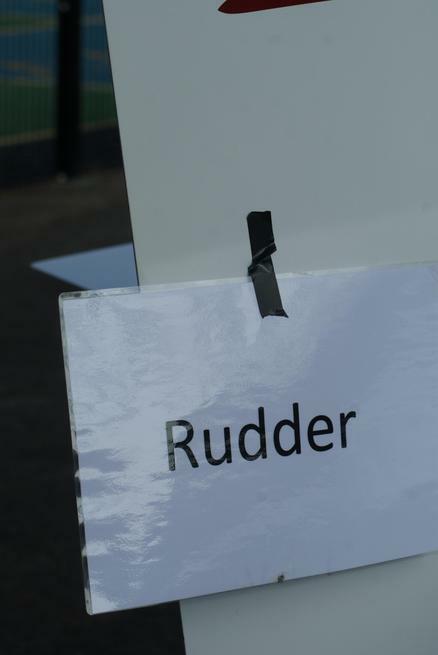 It will be remembered for many years to come.